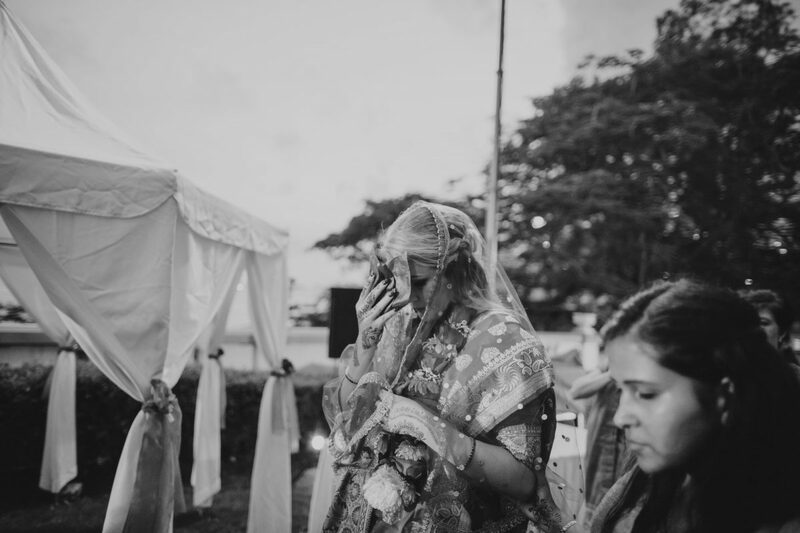 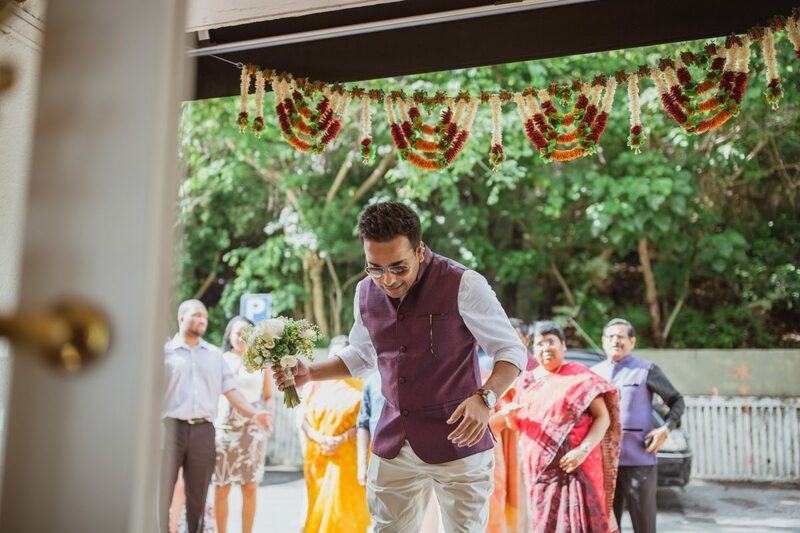 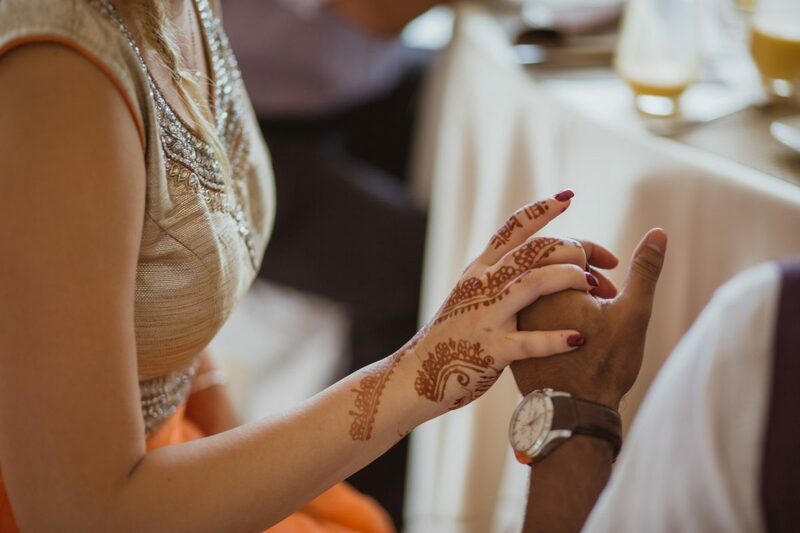 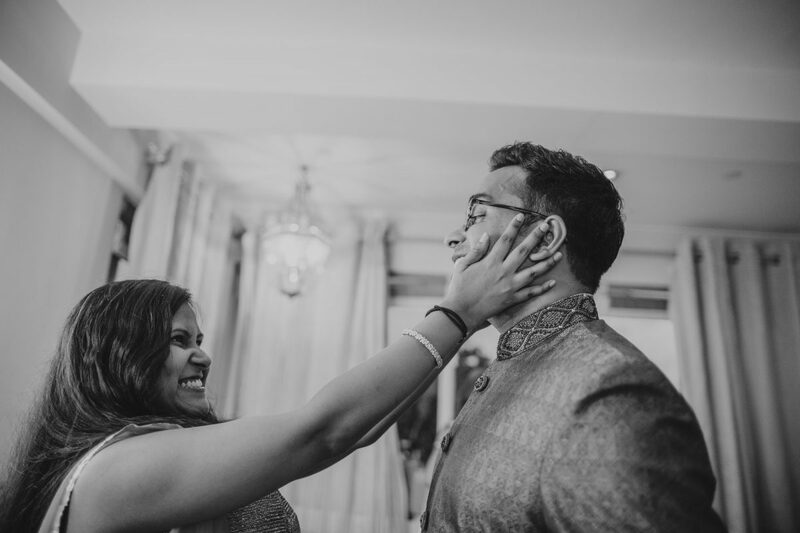 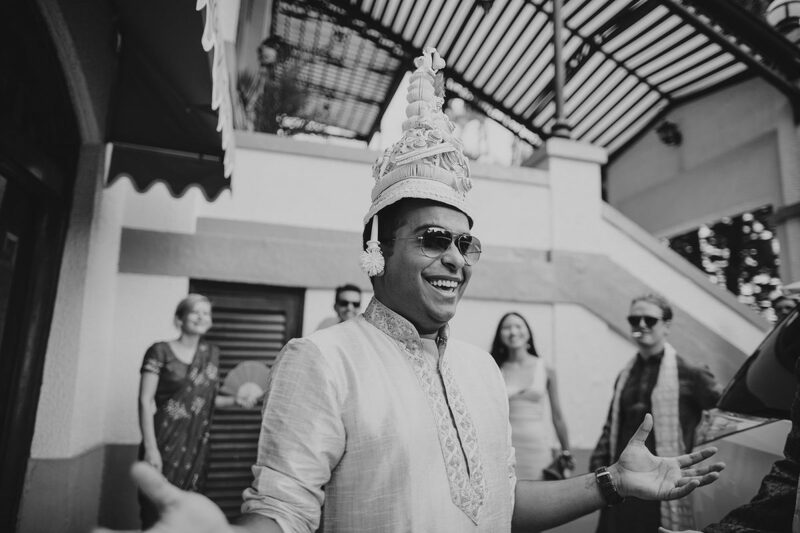 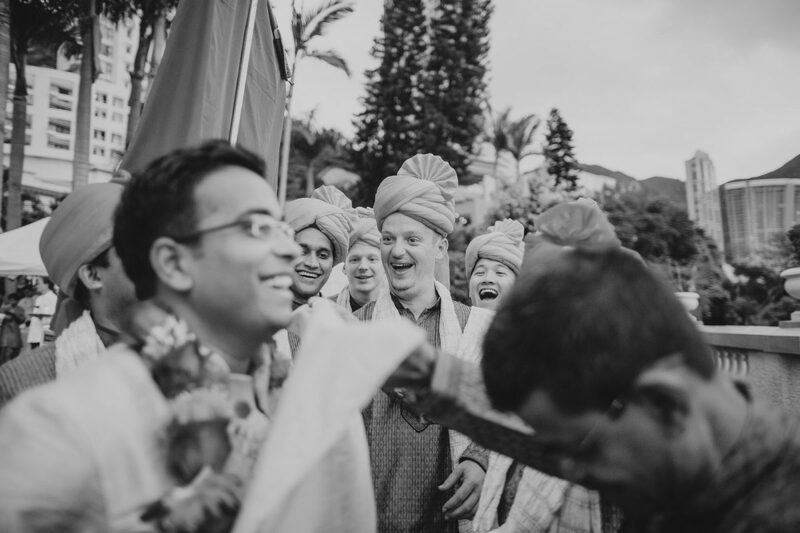 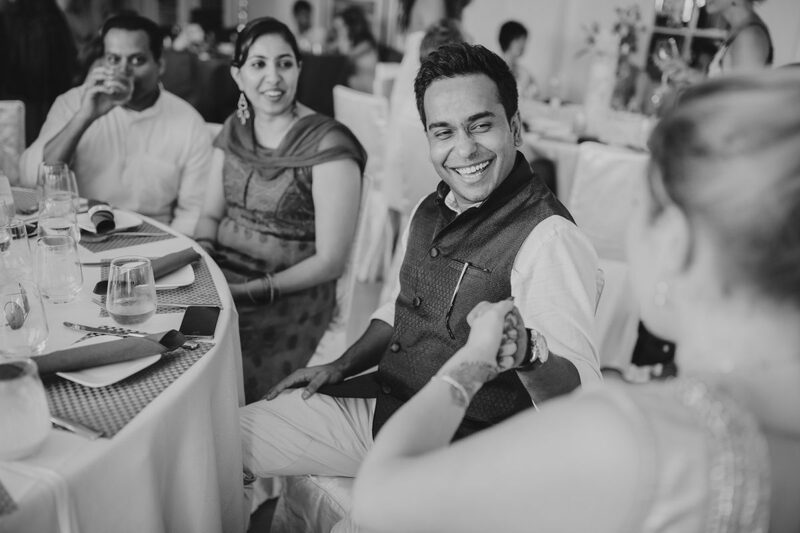 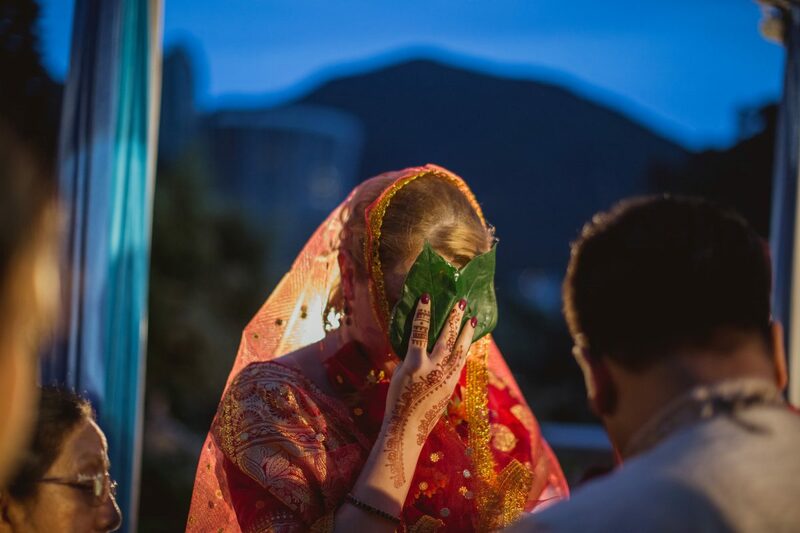 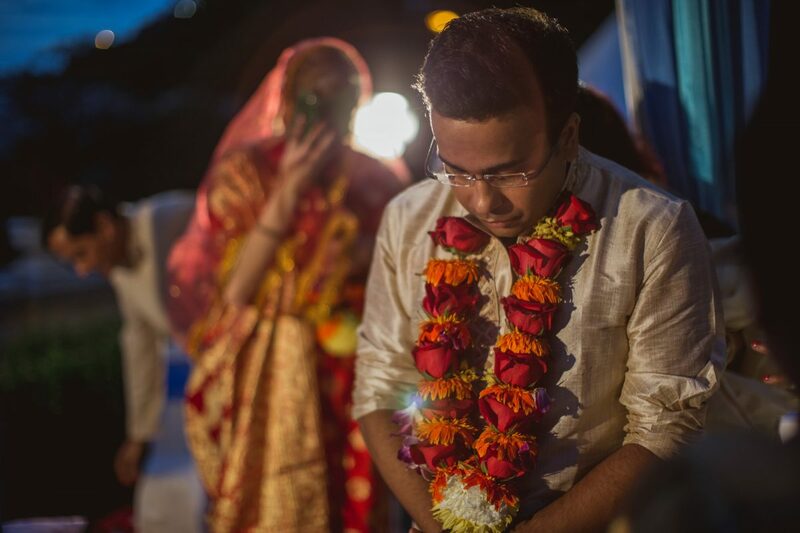 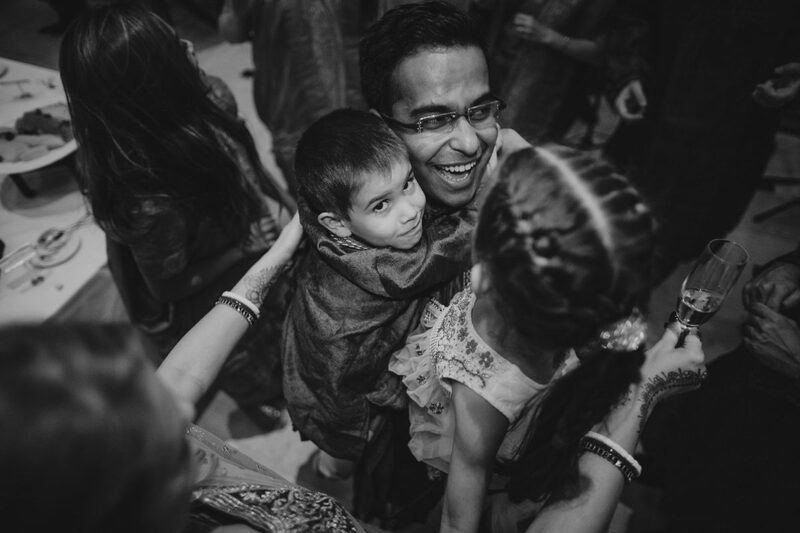 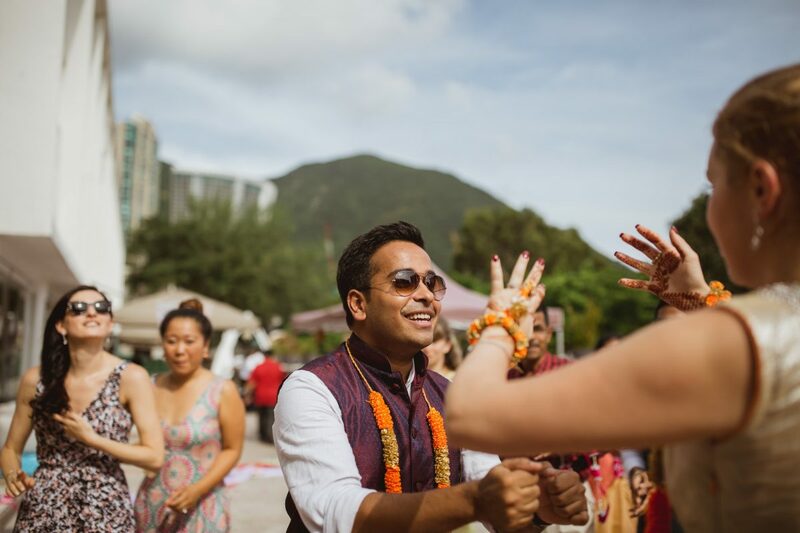 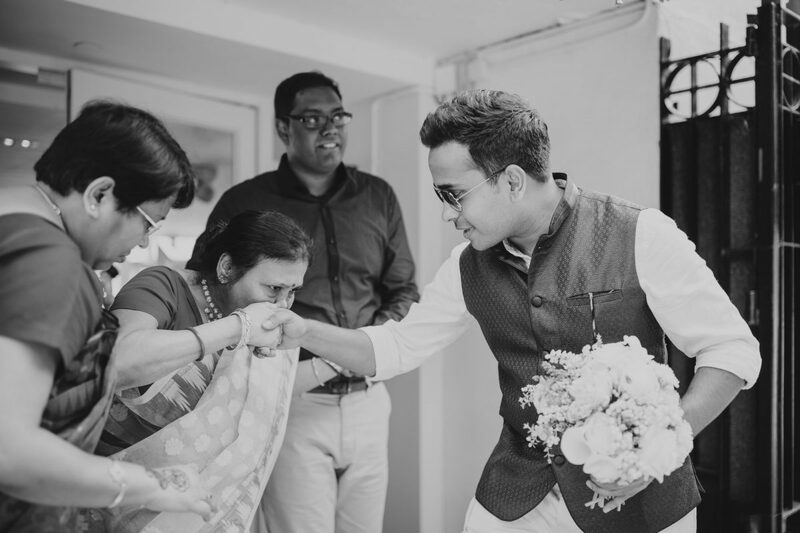 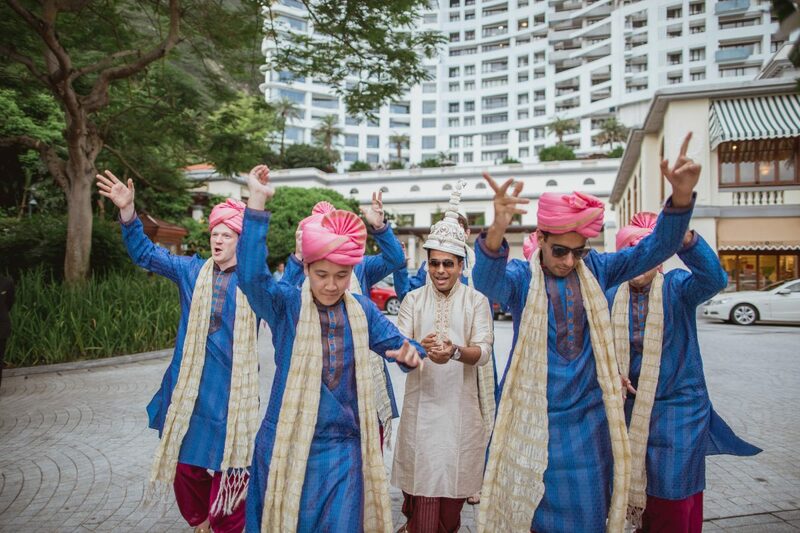 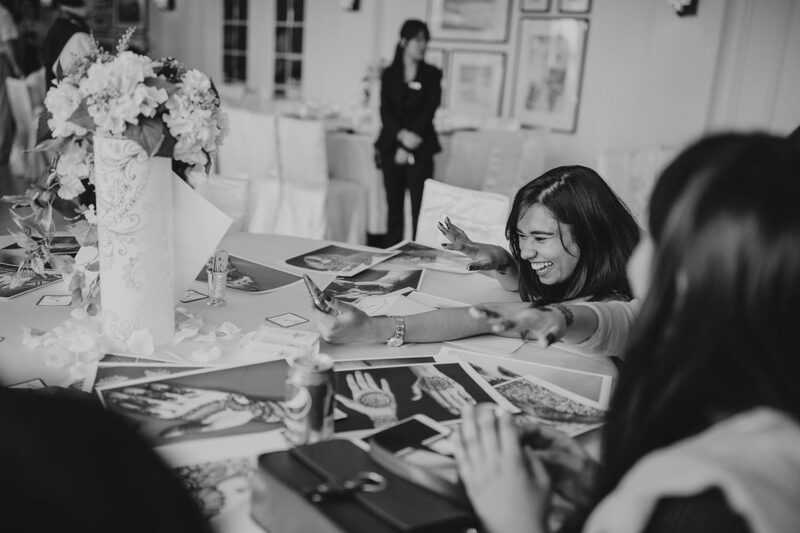 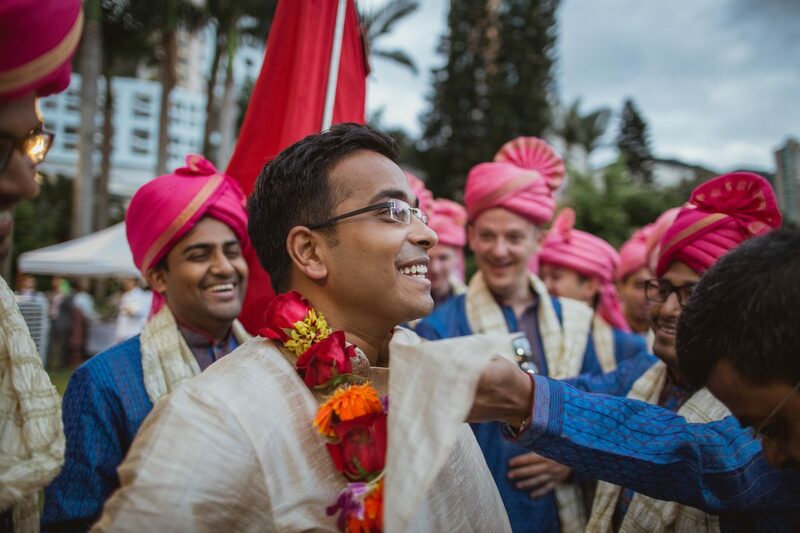 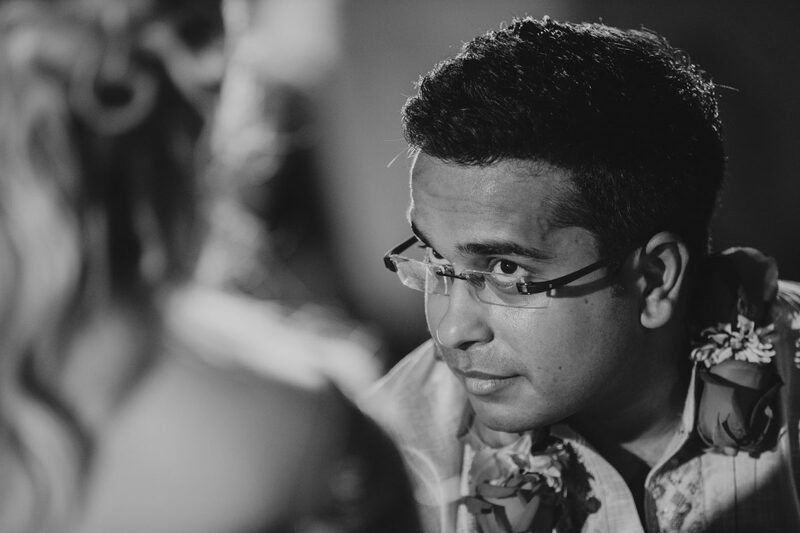 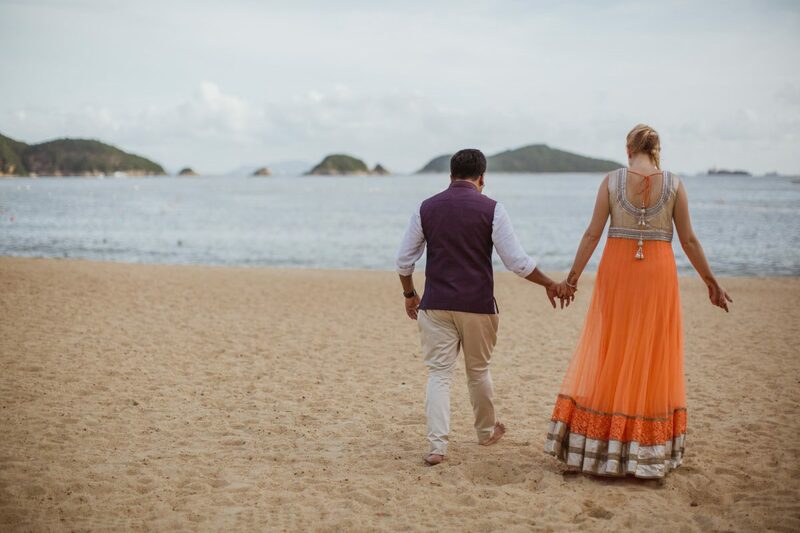 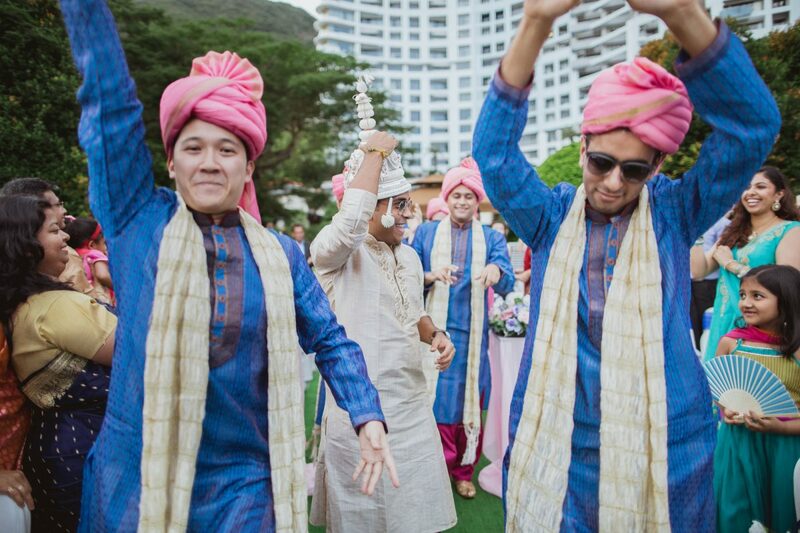 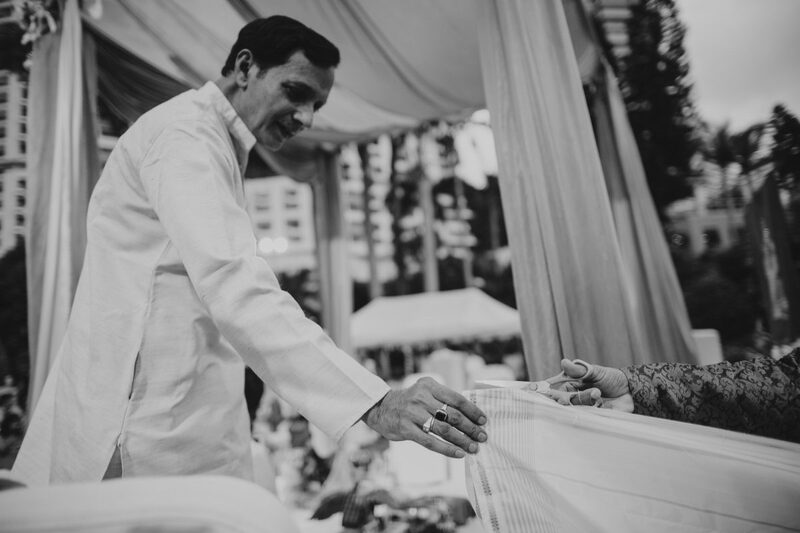 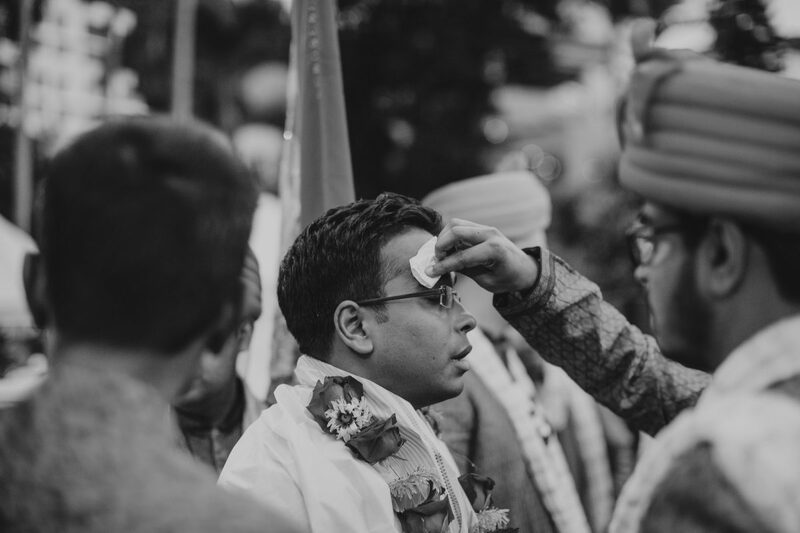 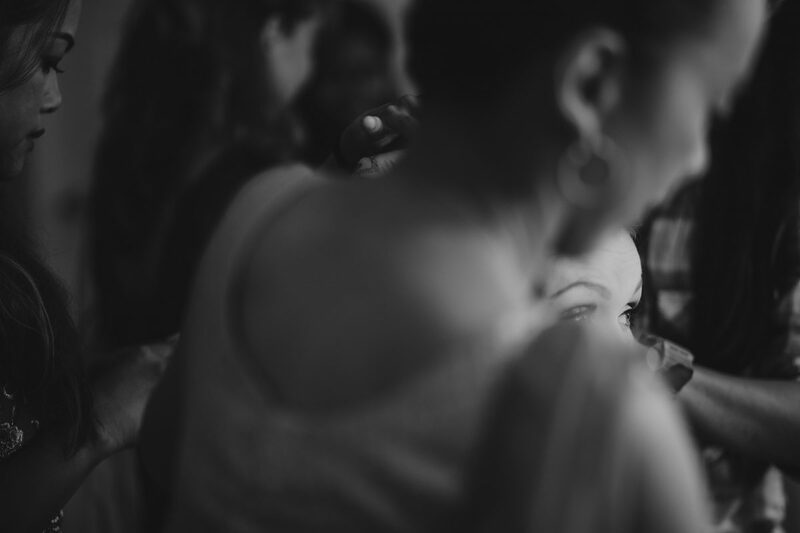 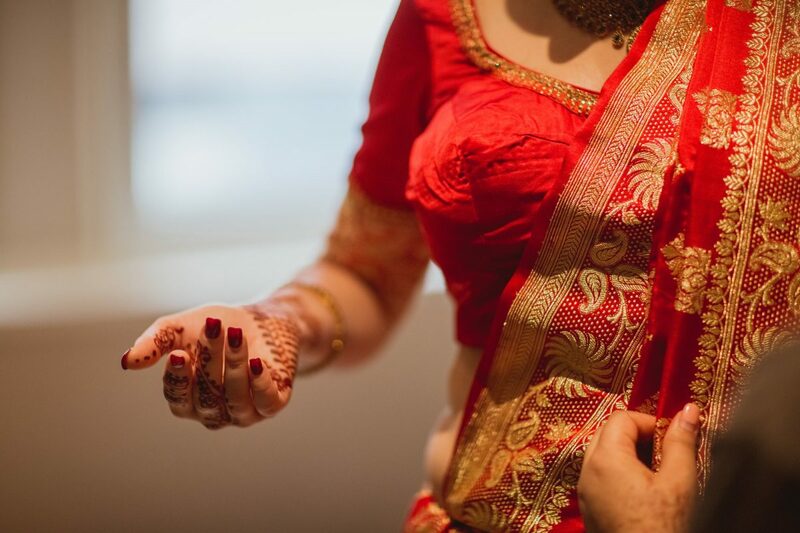 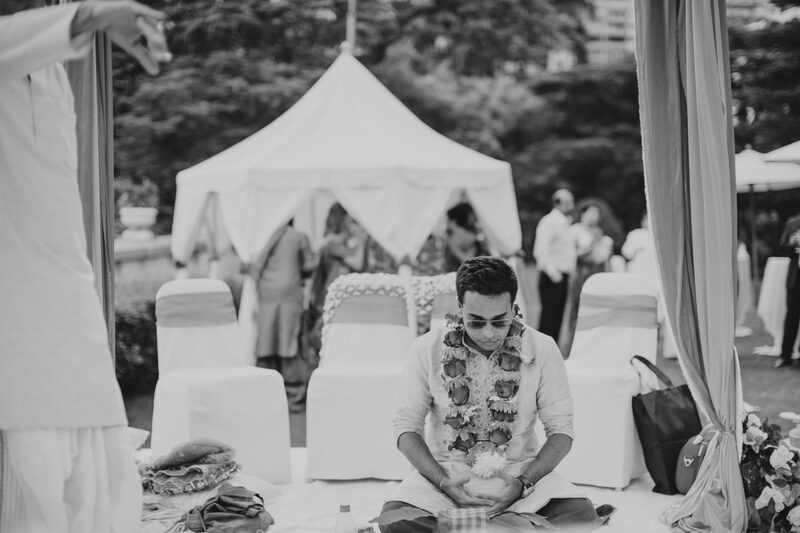 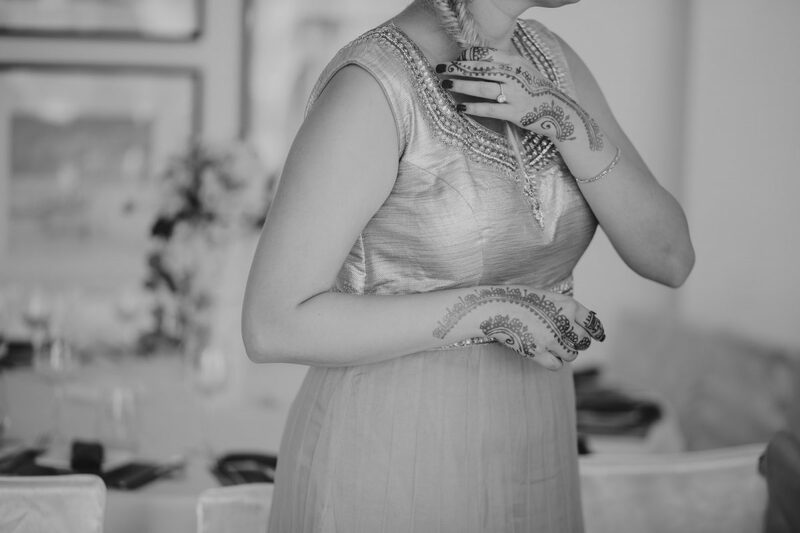 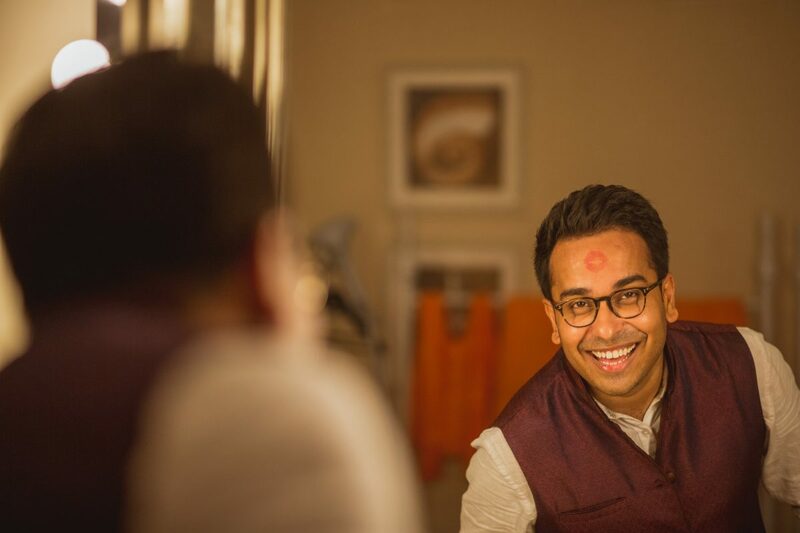 This was my first time as an Indian wedding photographer Hong Kong and it was an amazing experience. 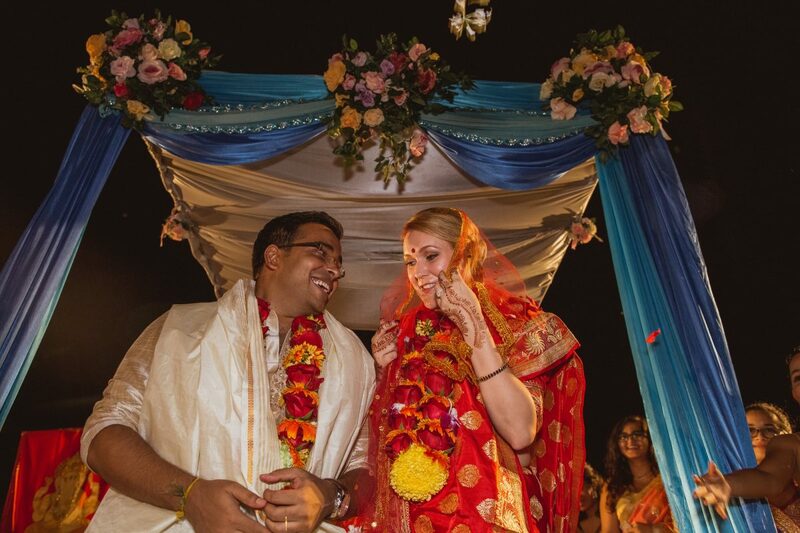 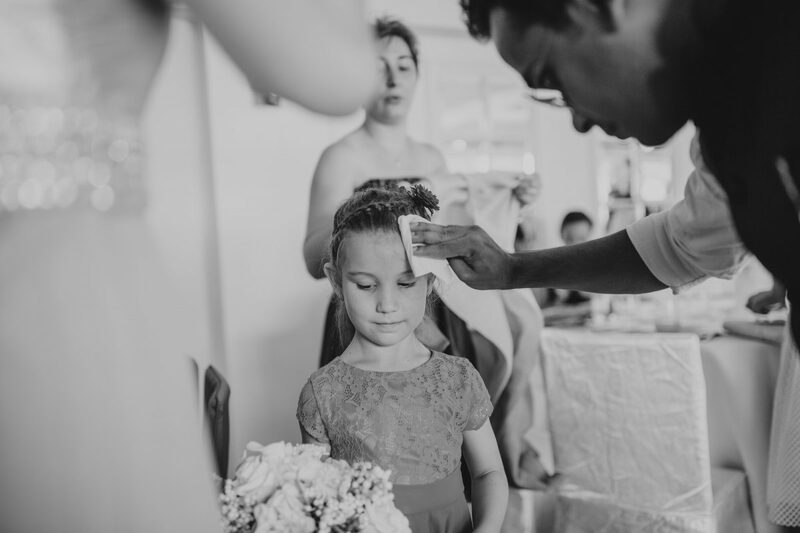 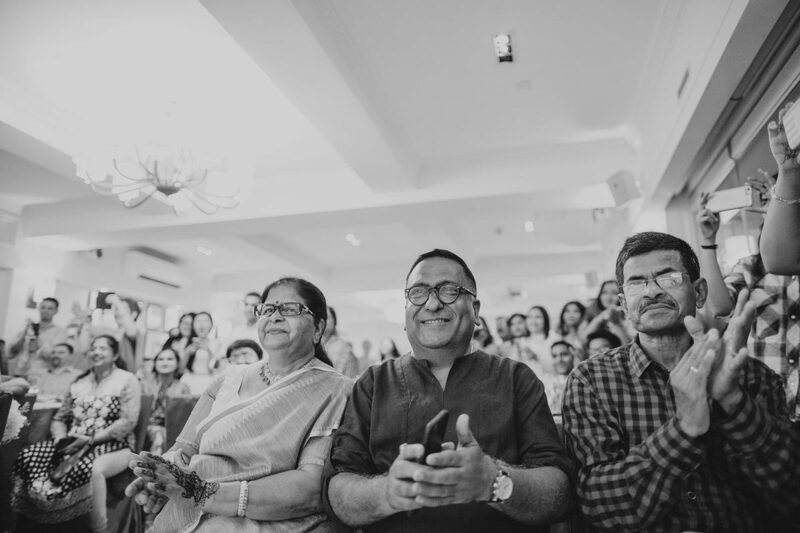 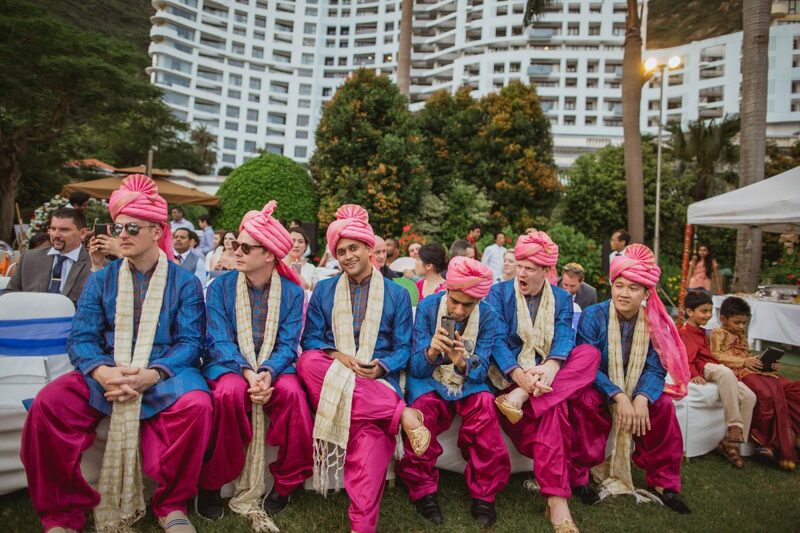 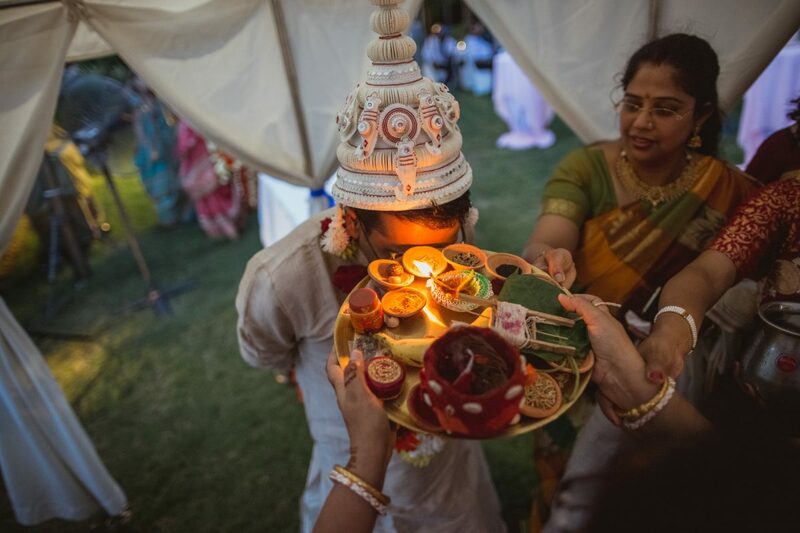 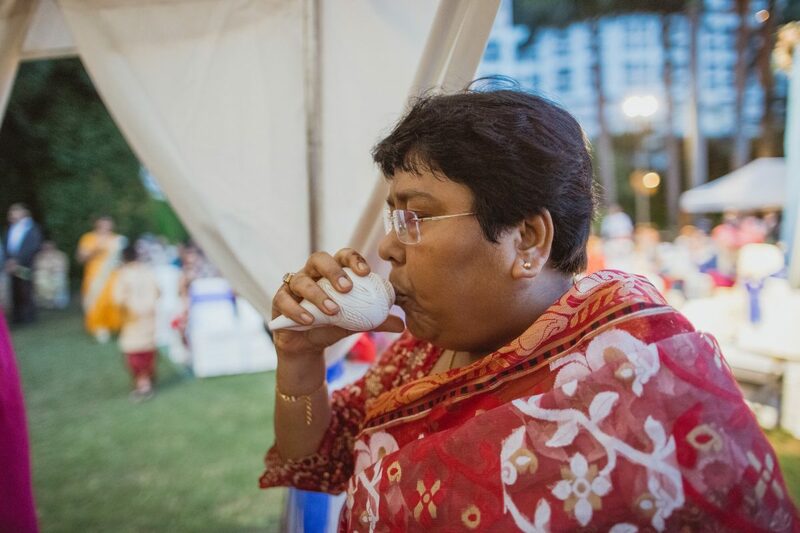 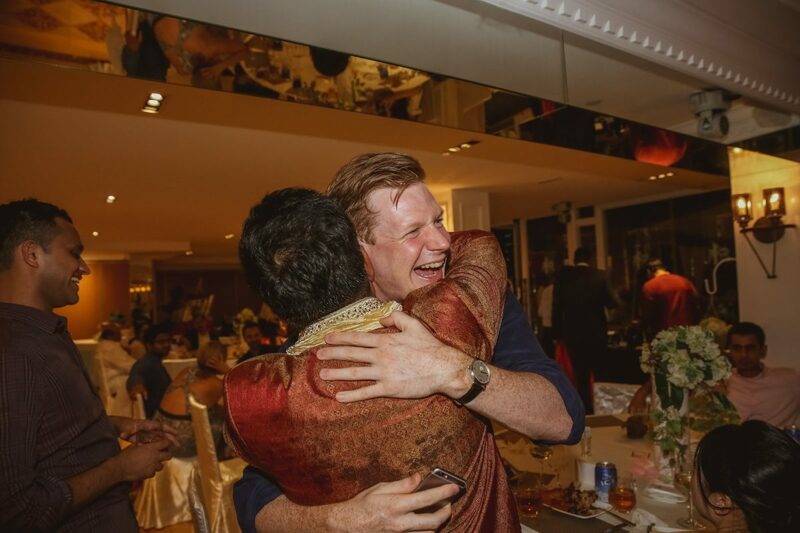 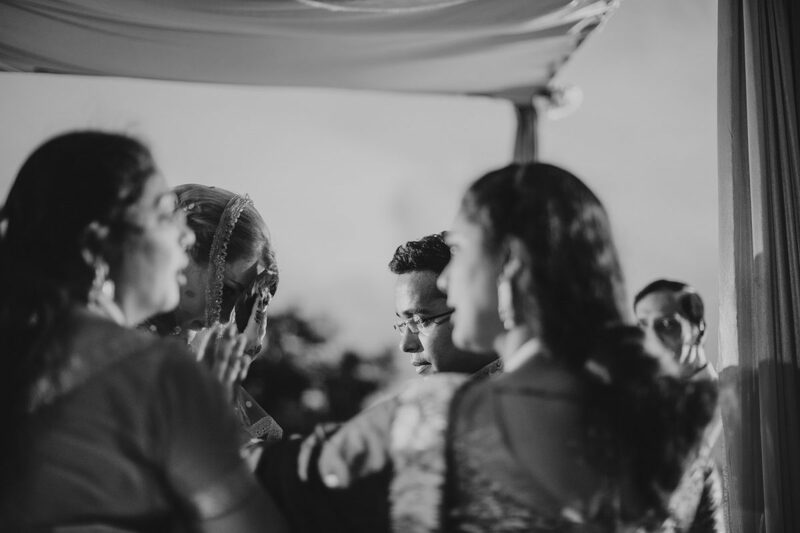 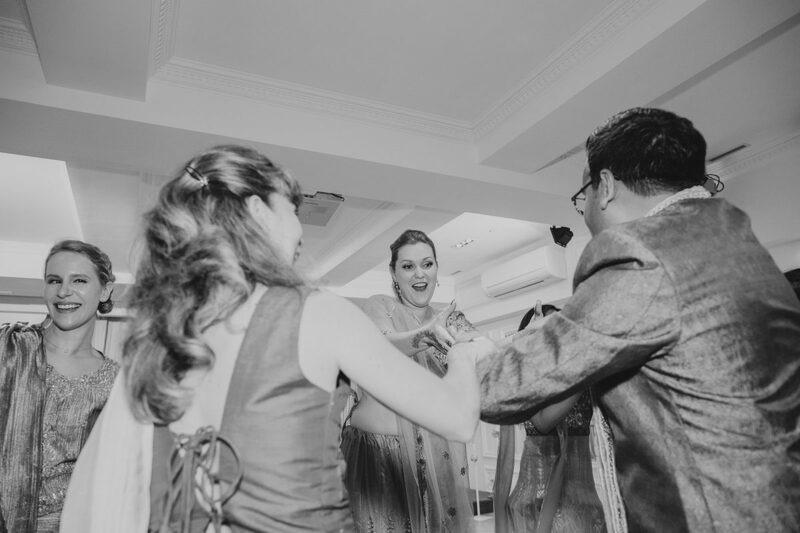 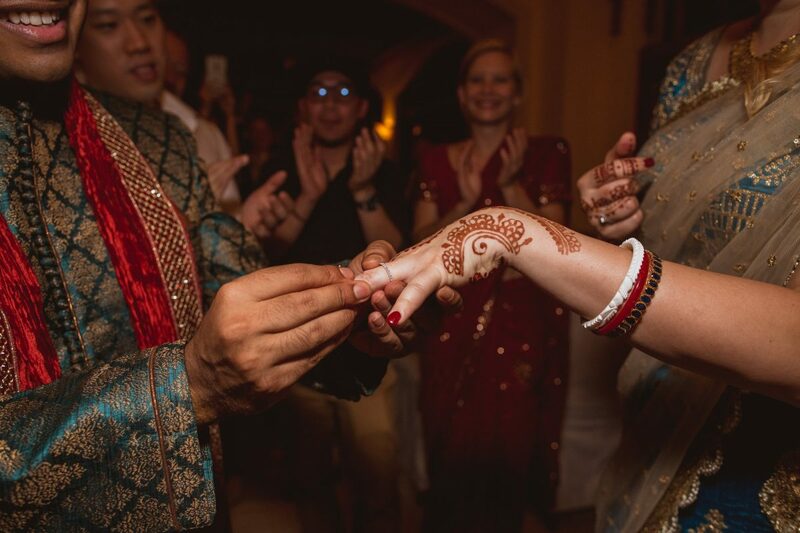 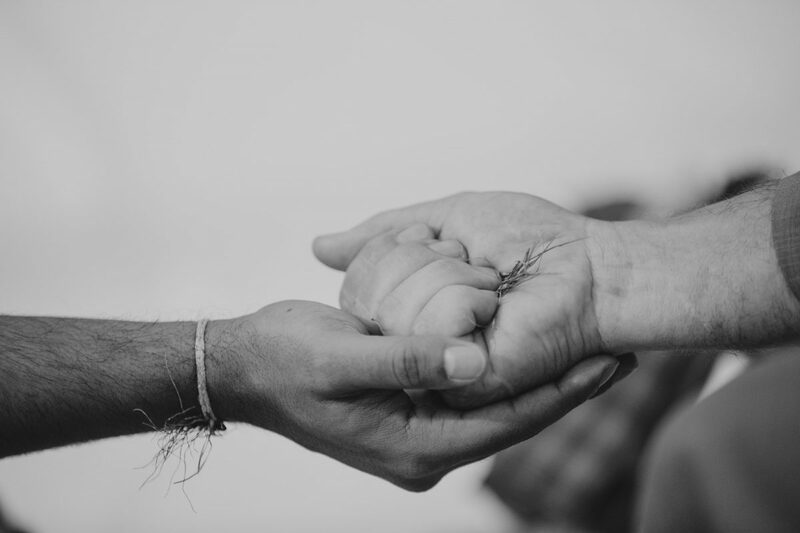 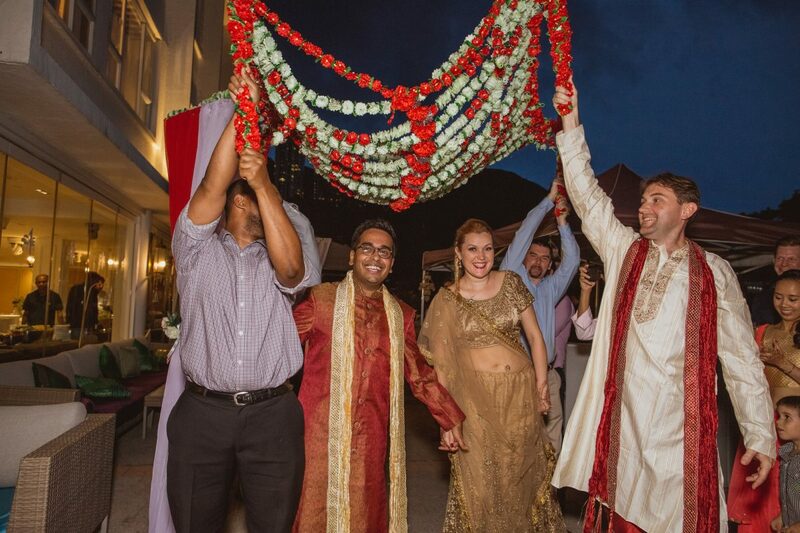 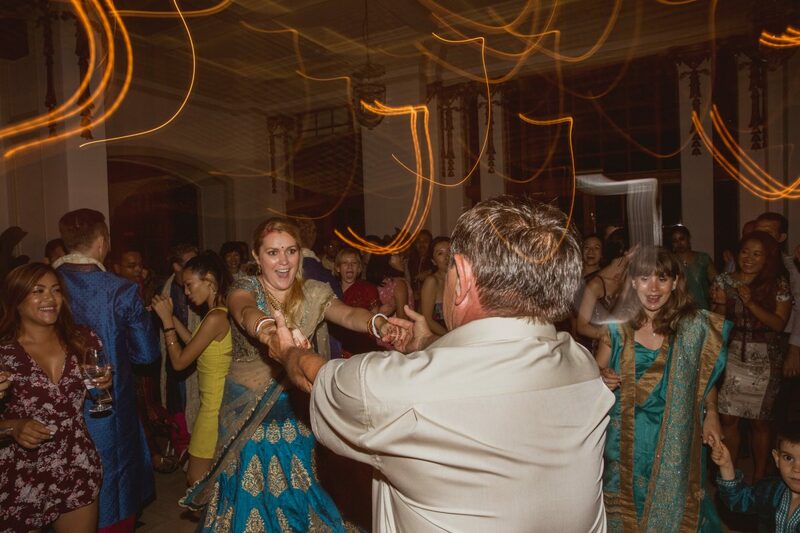 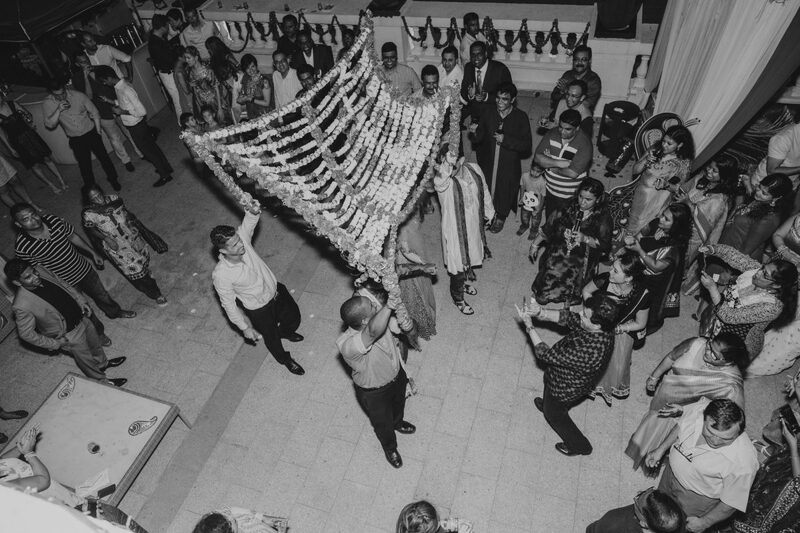 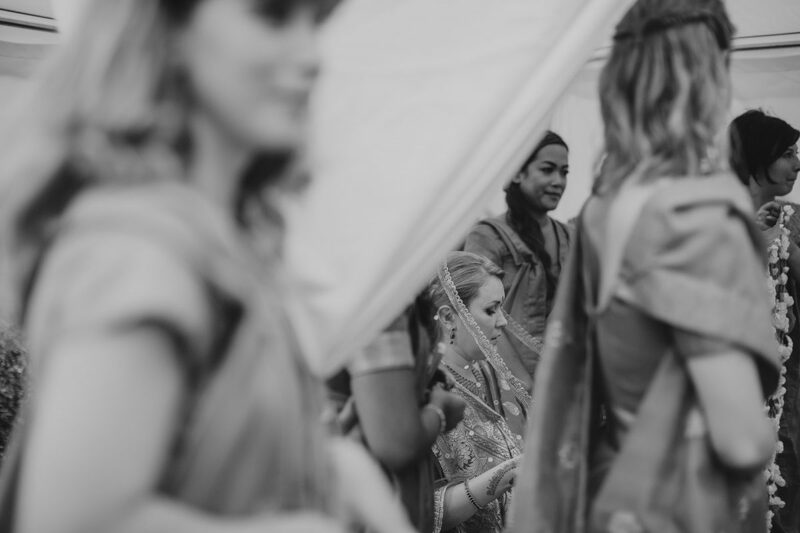 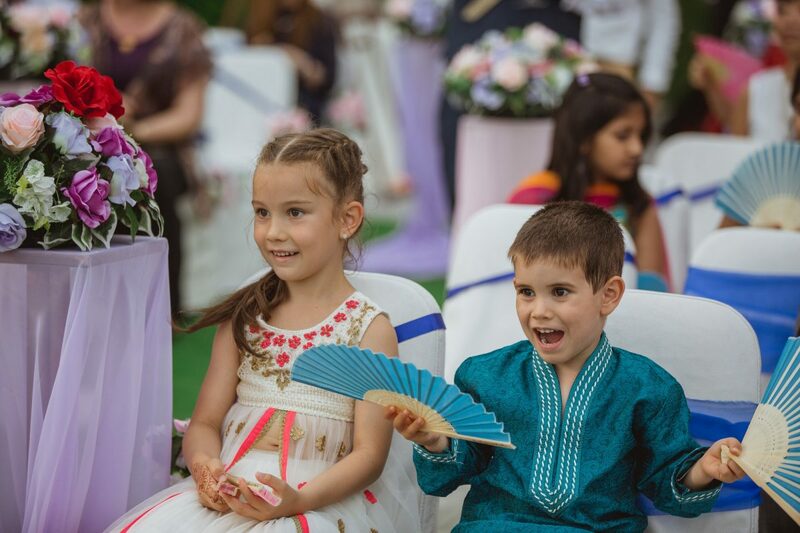 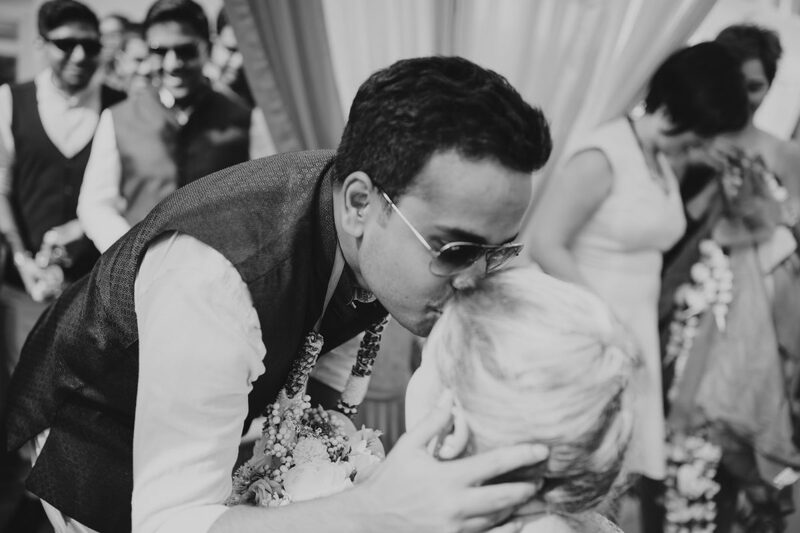 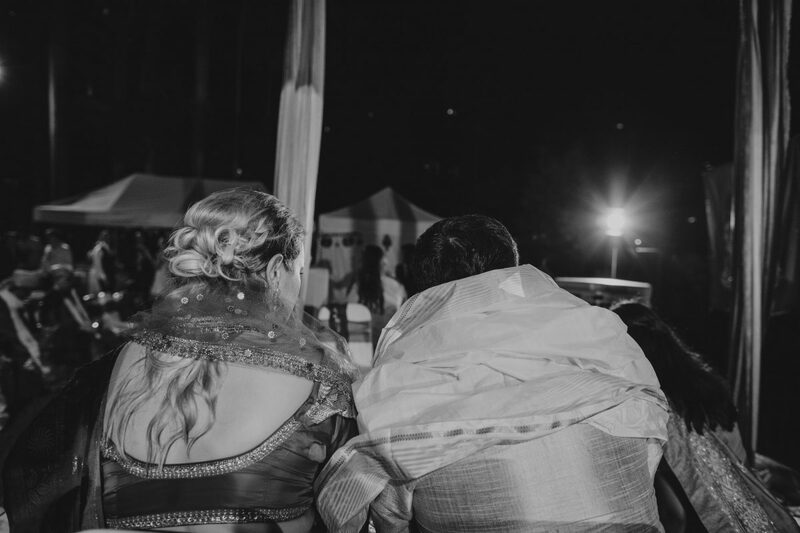 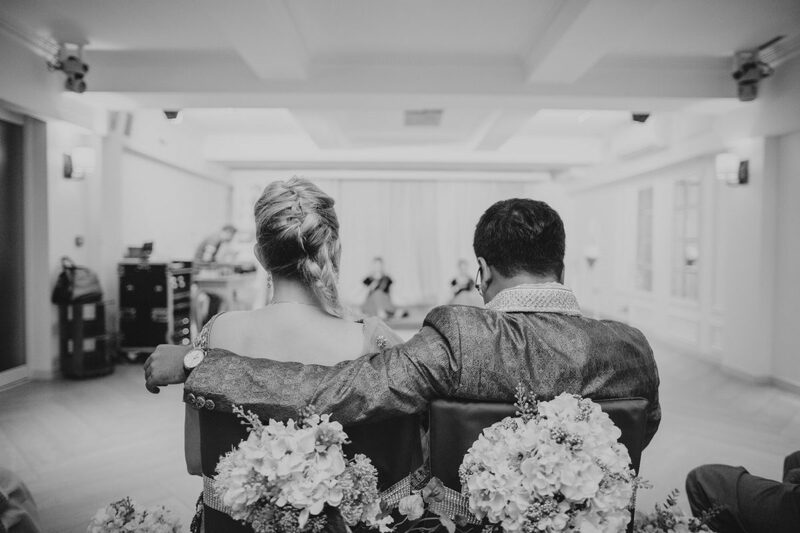 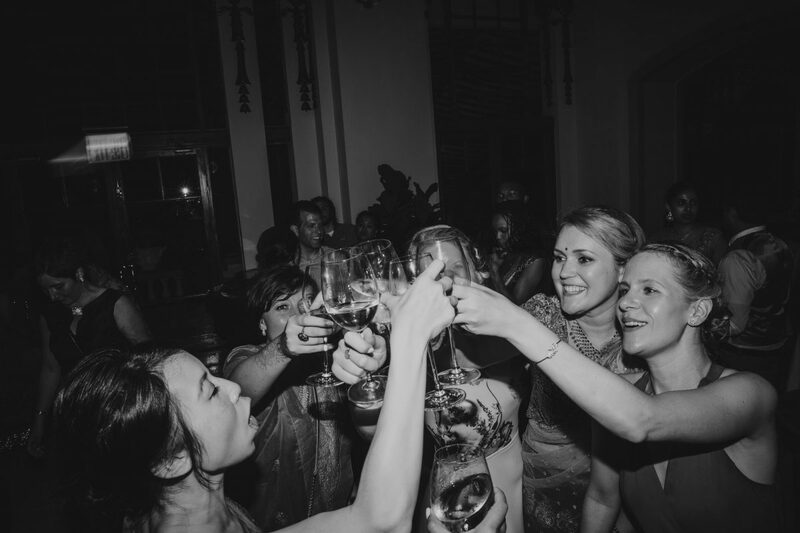 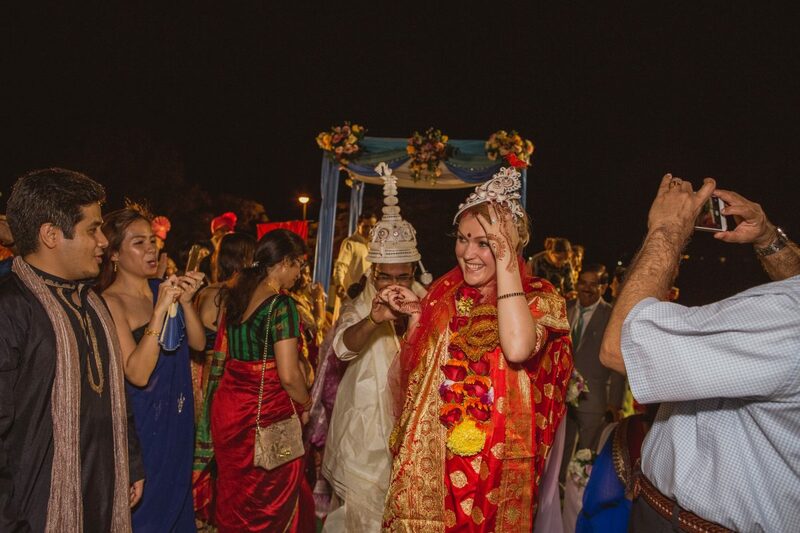 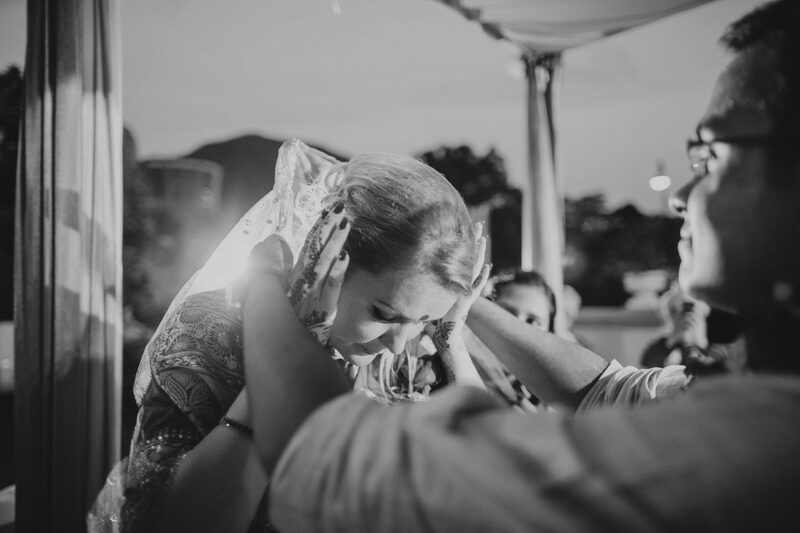 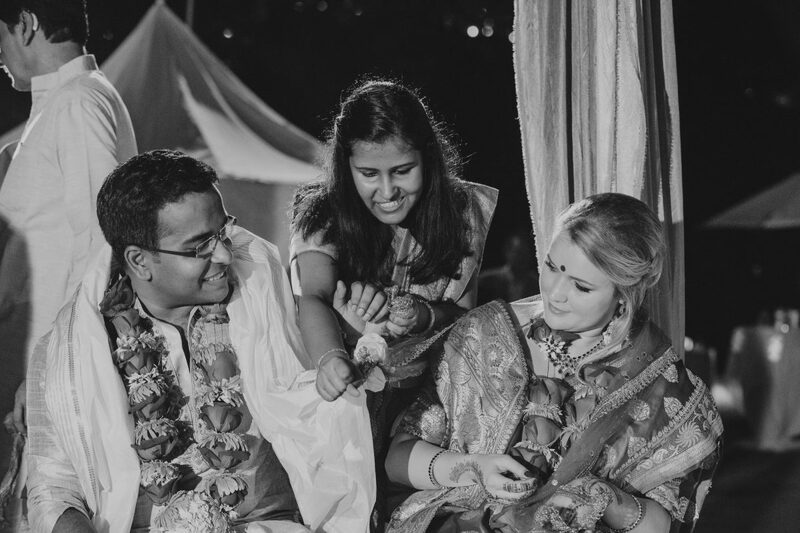 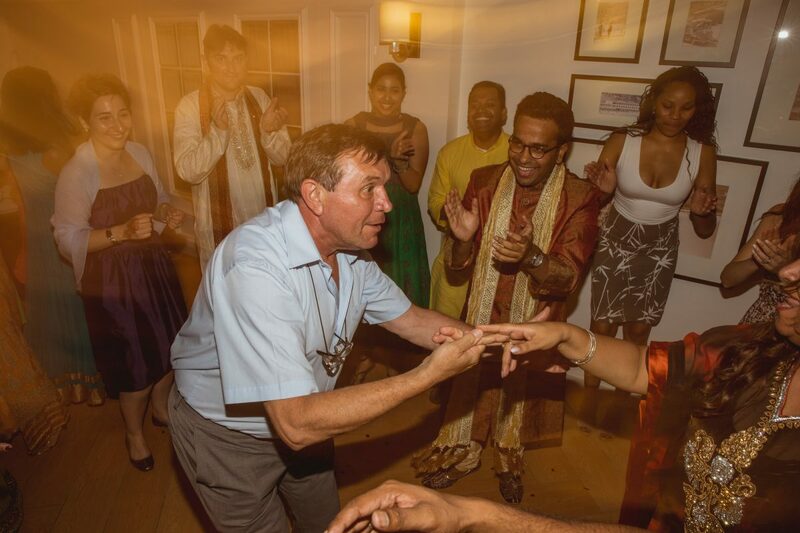 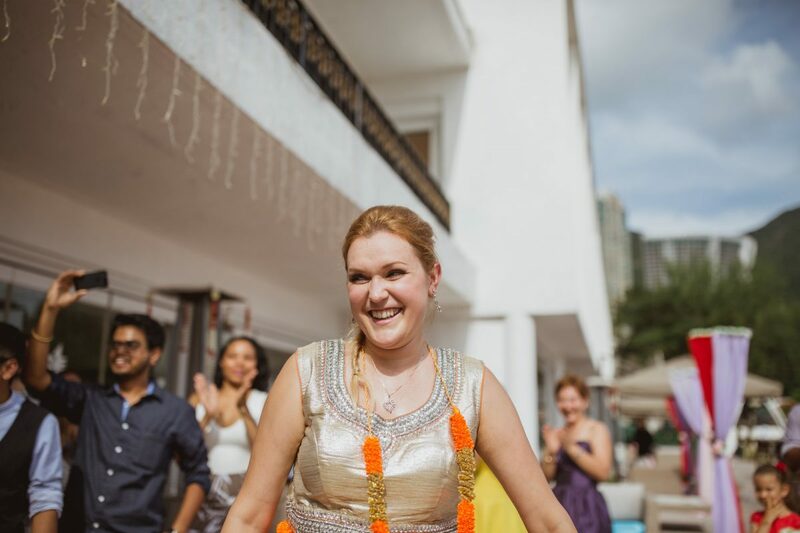 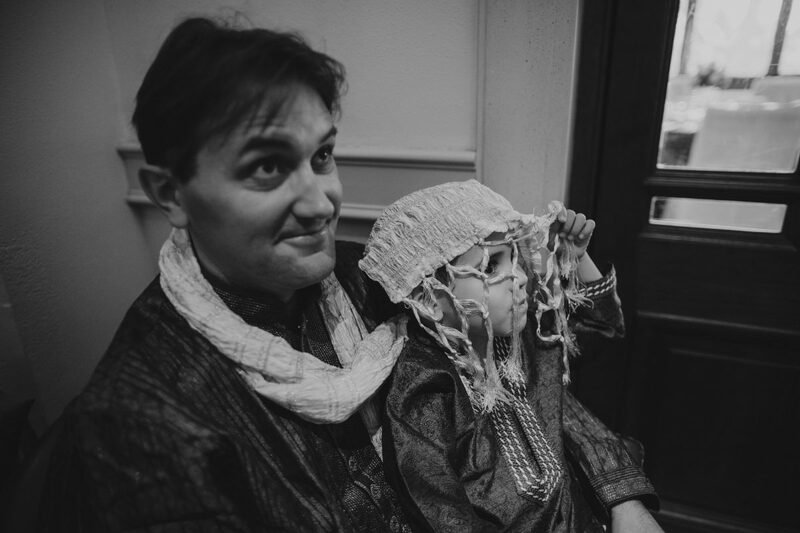 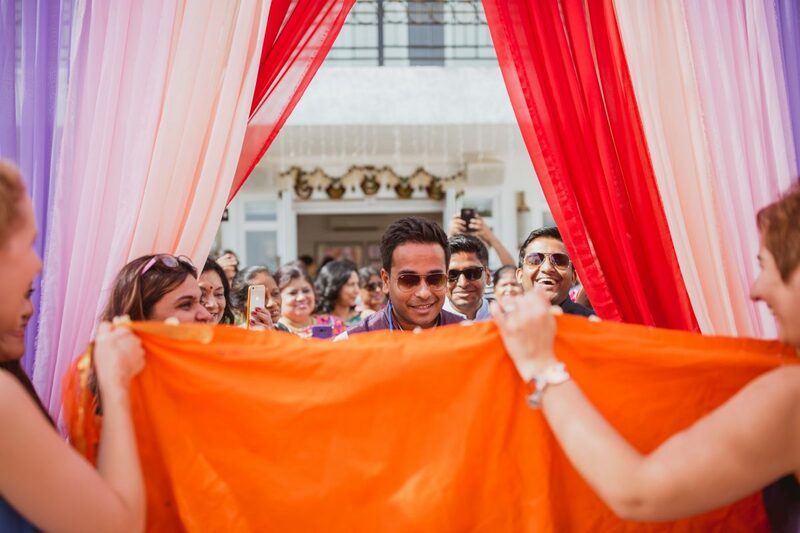 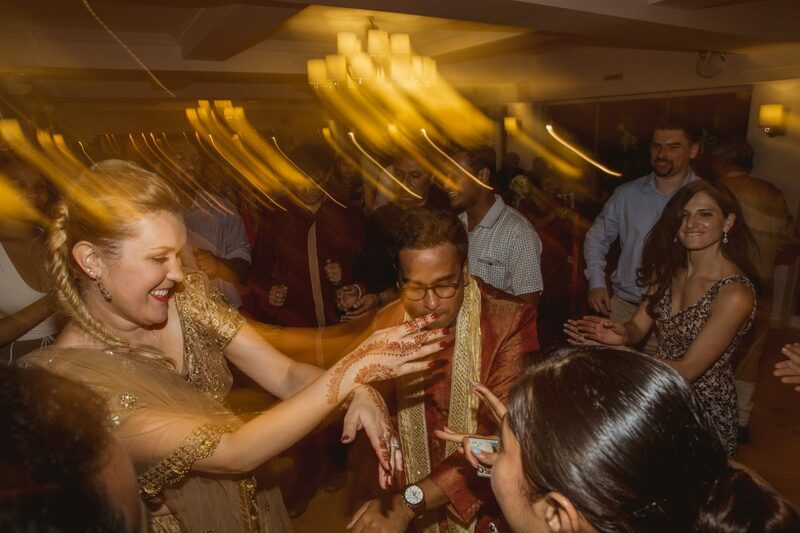 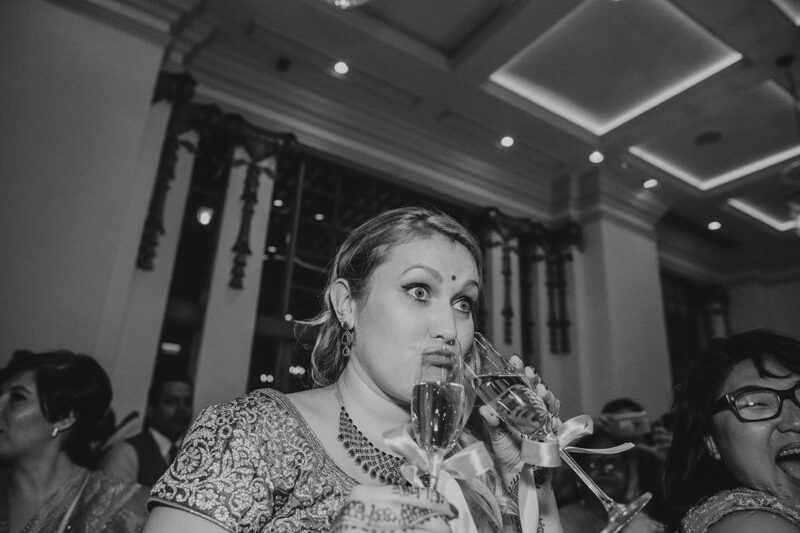 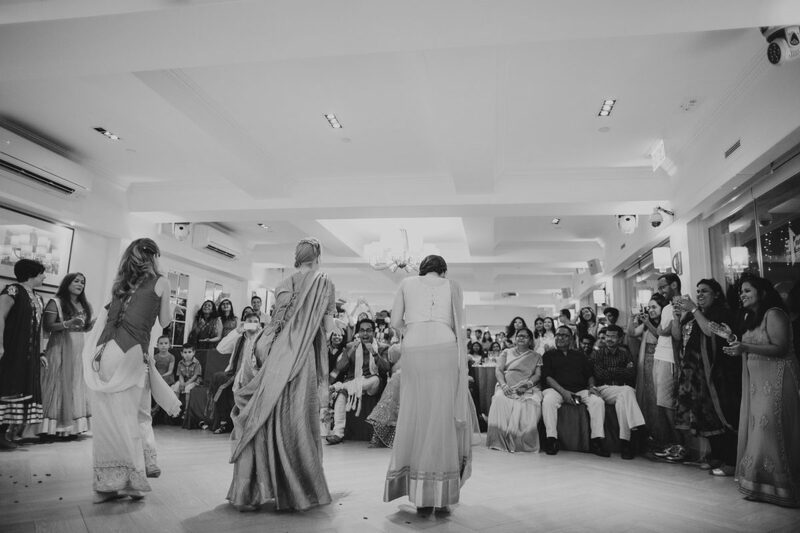 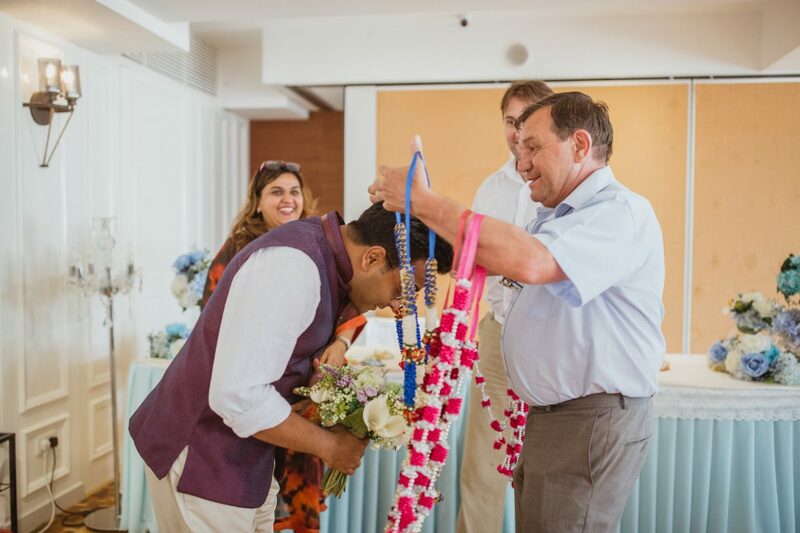 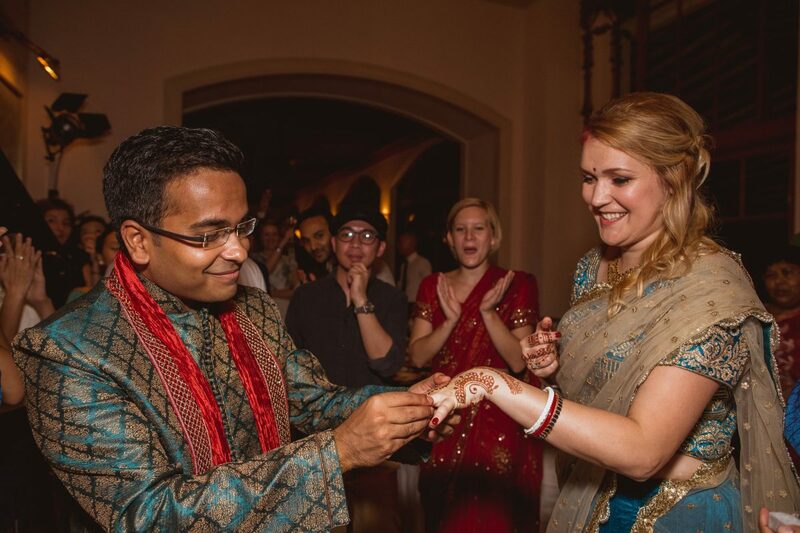 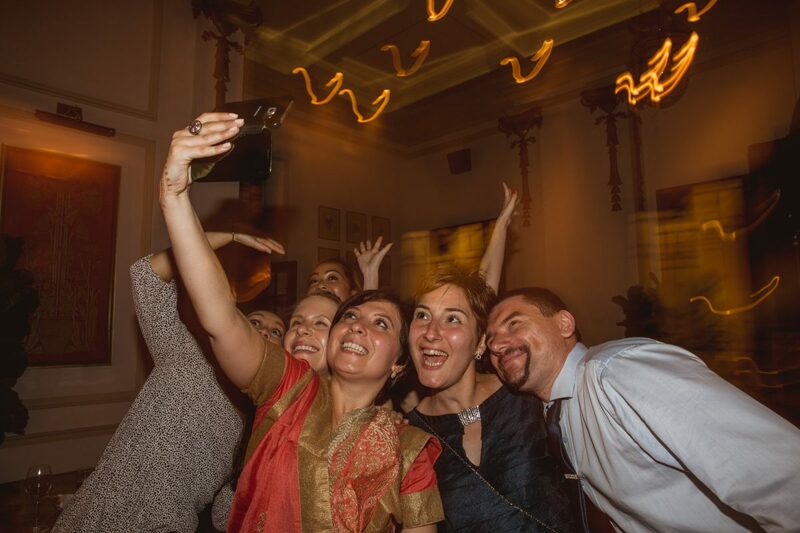 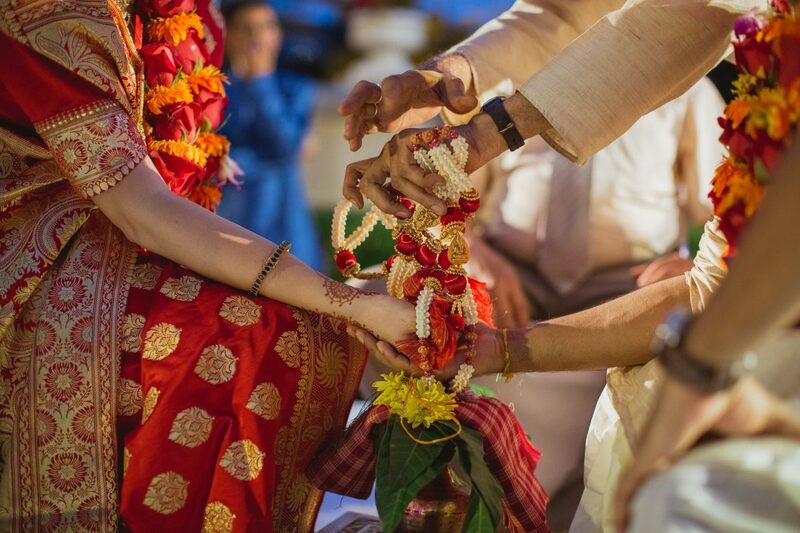 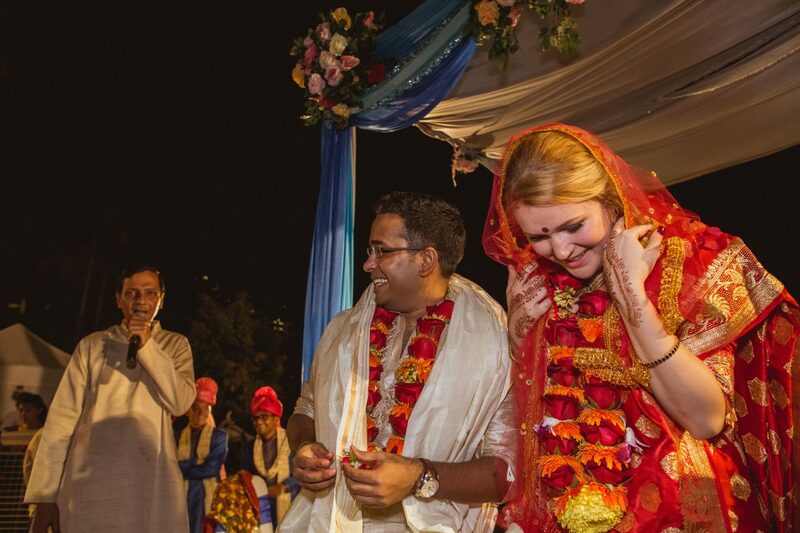 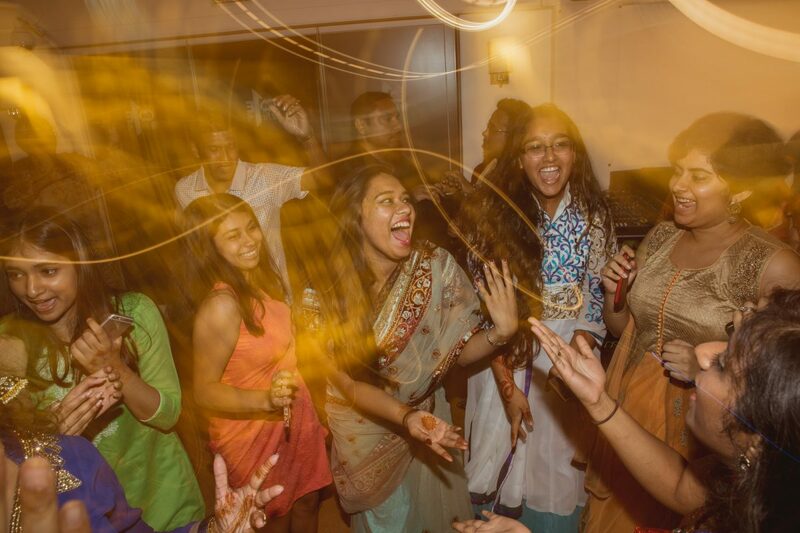 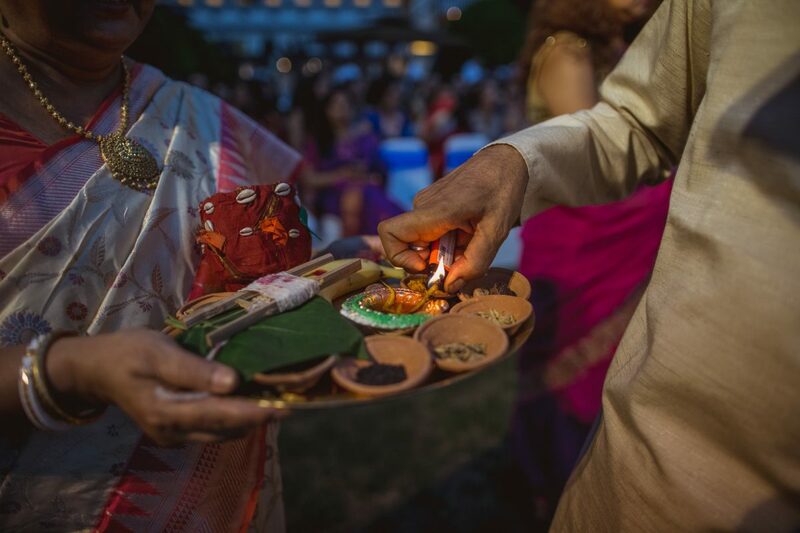 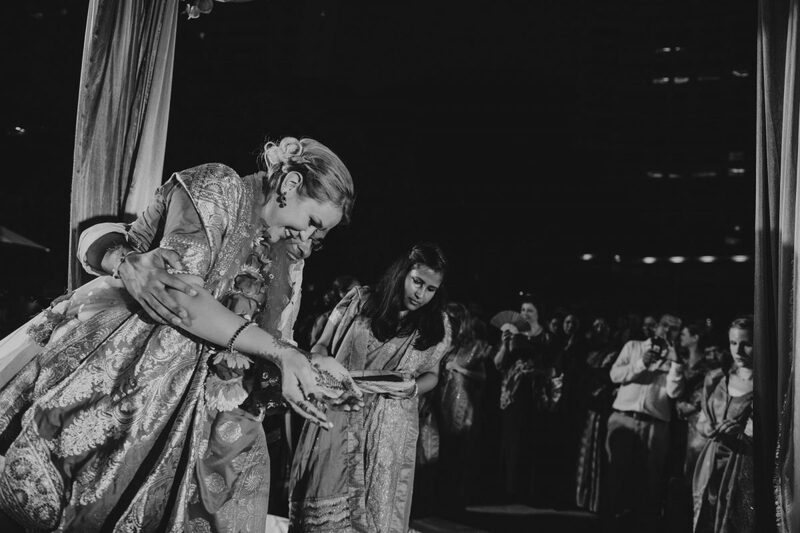 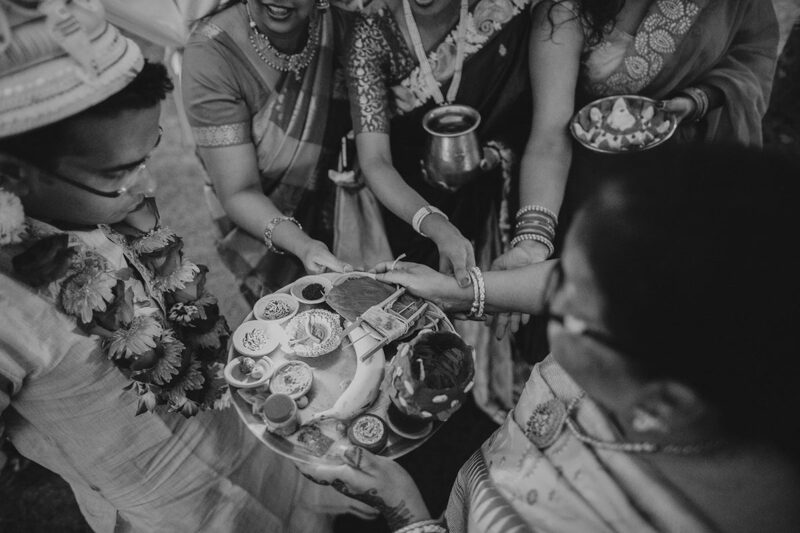 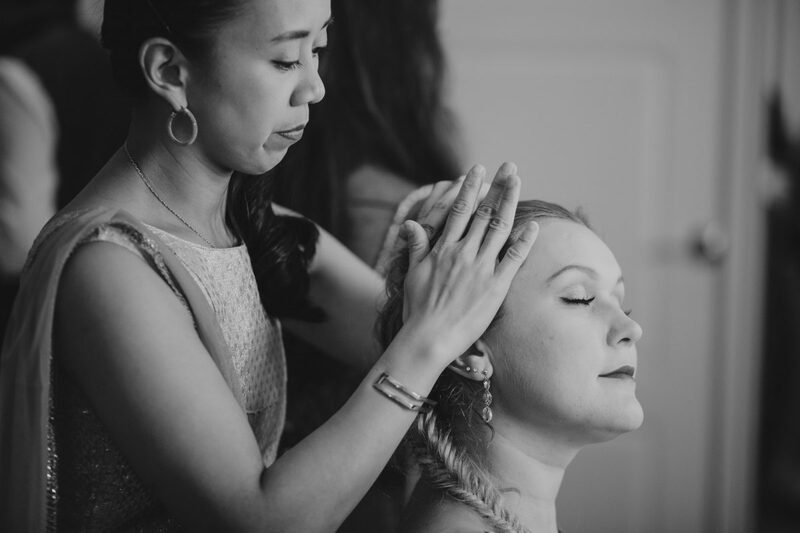 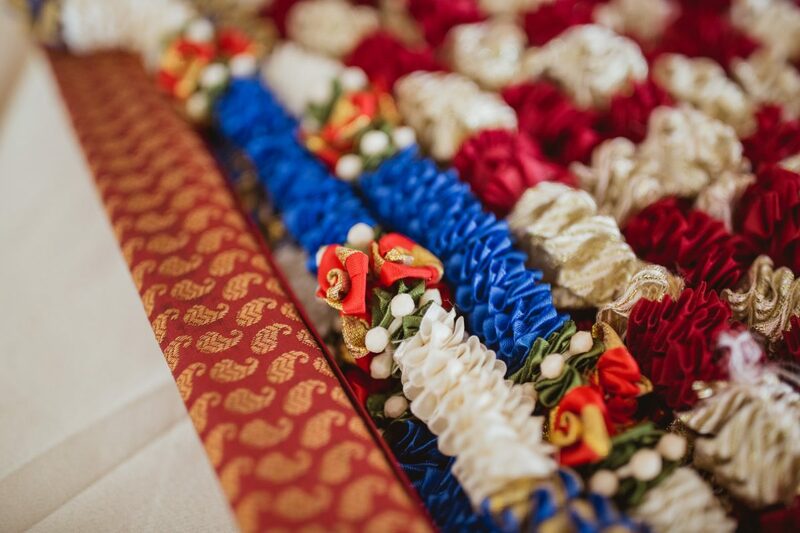 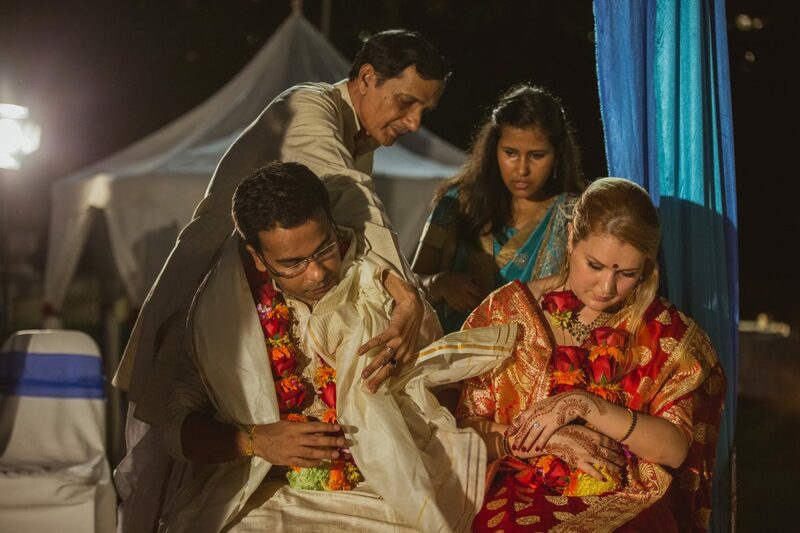 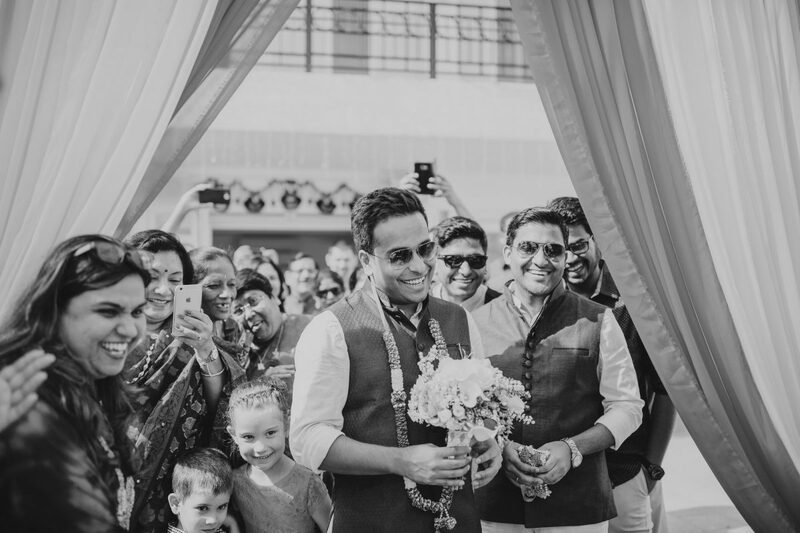 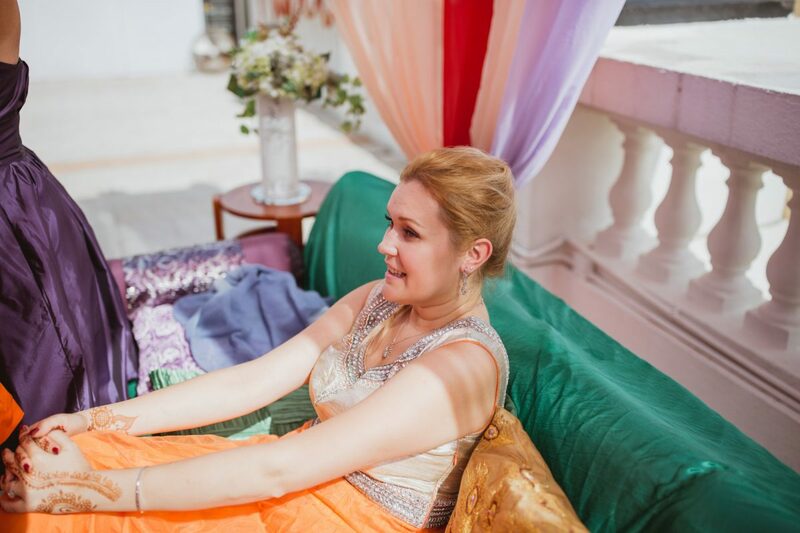 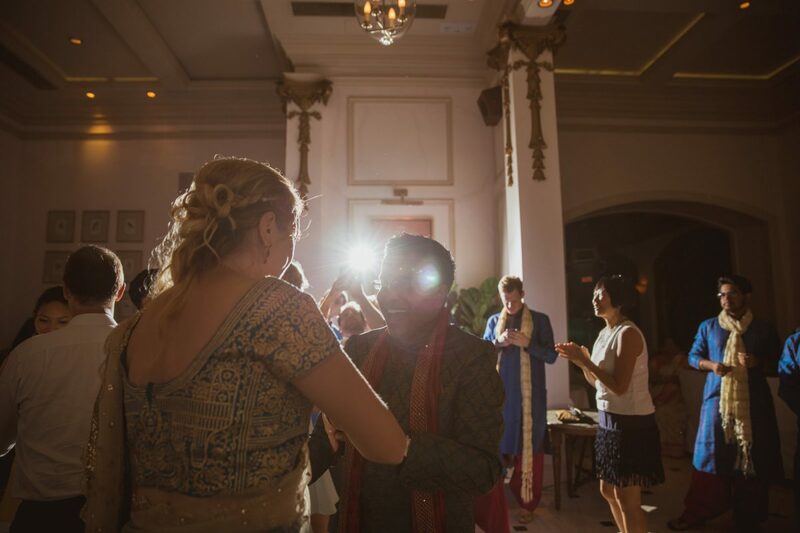 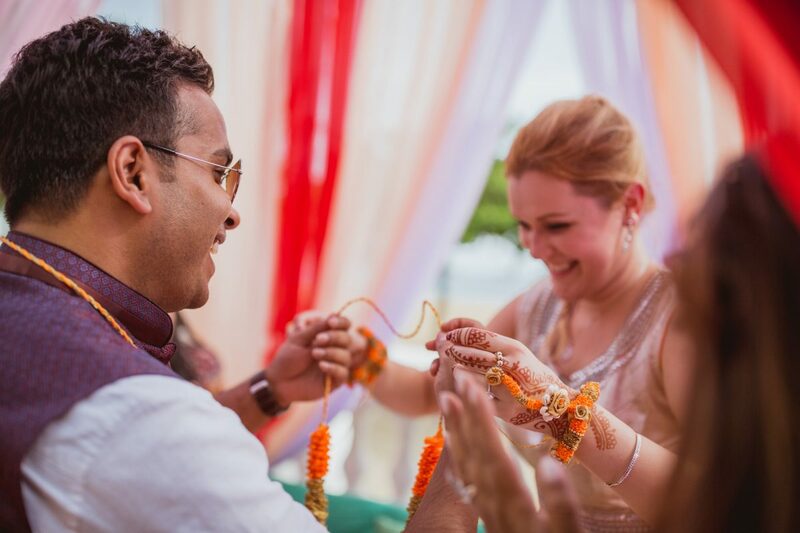 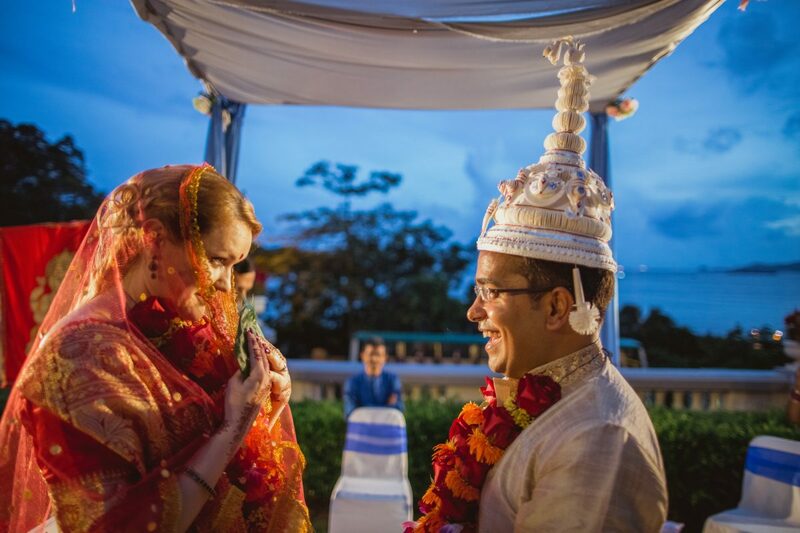 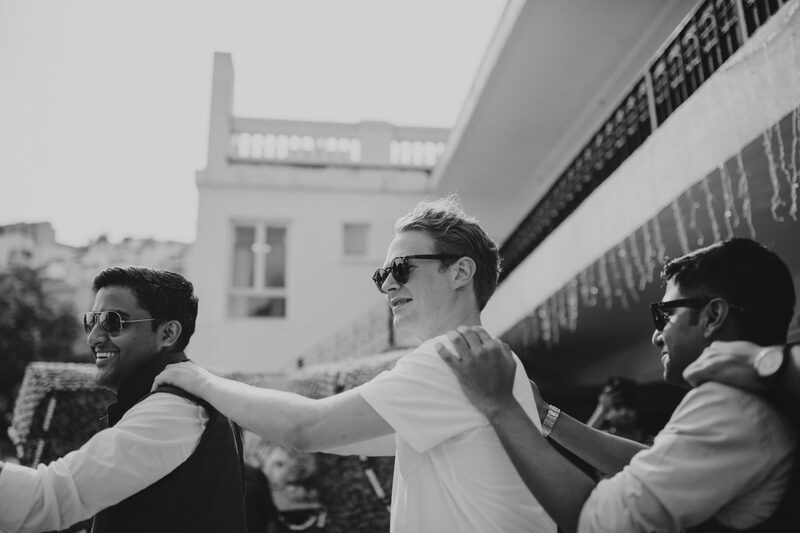 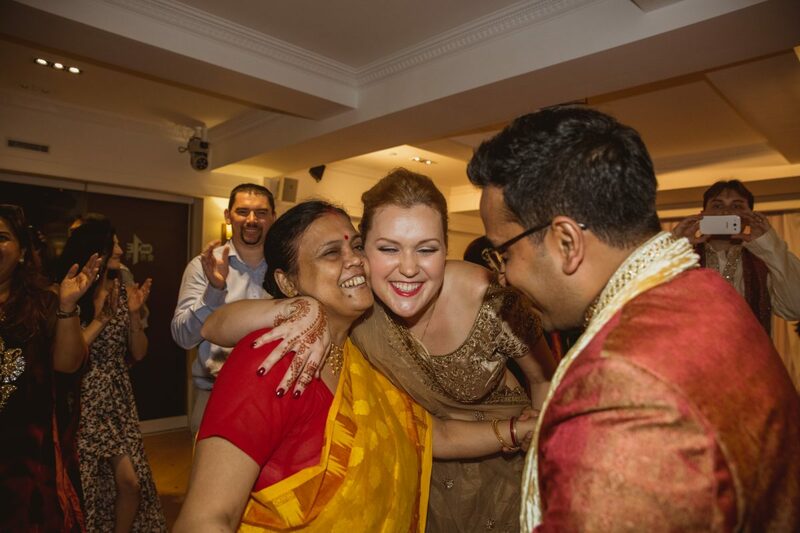 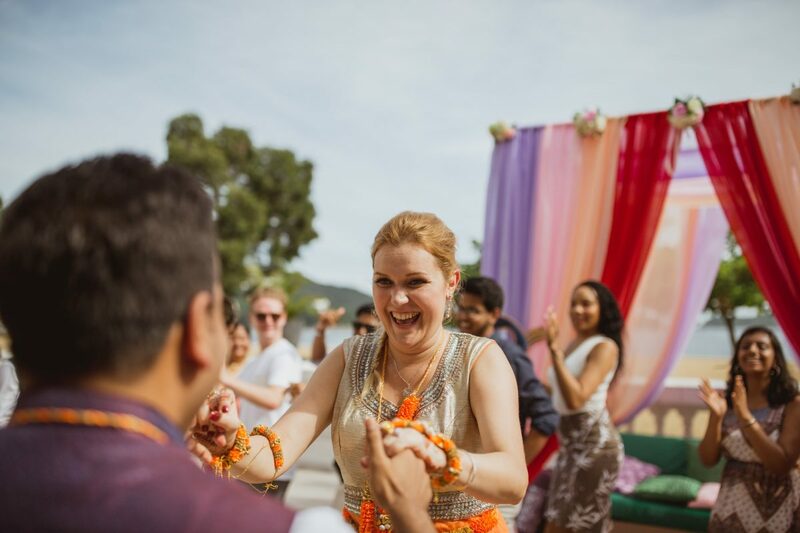 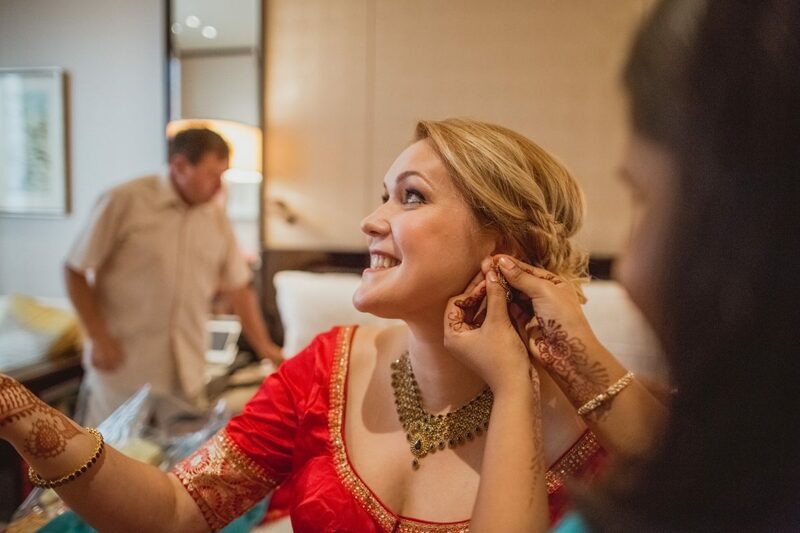 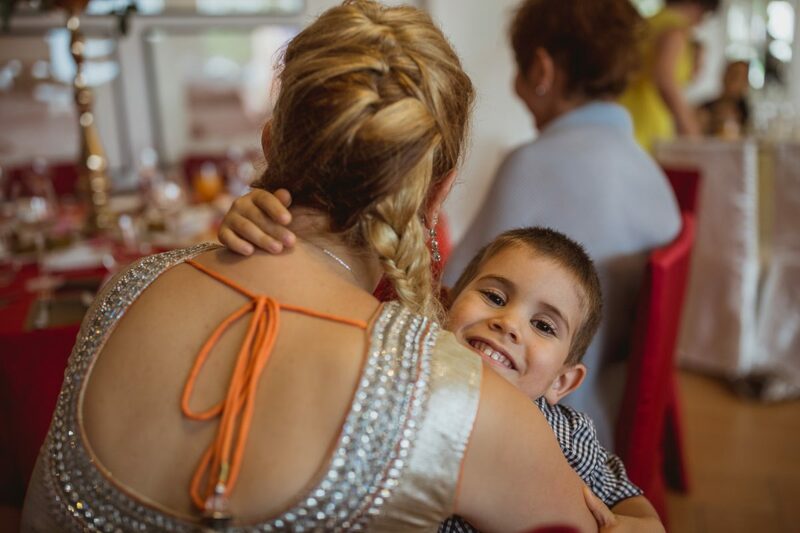 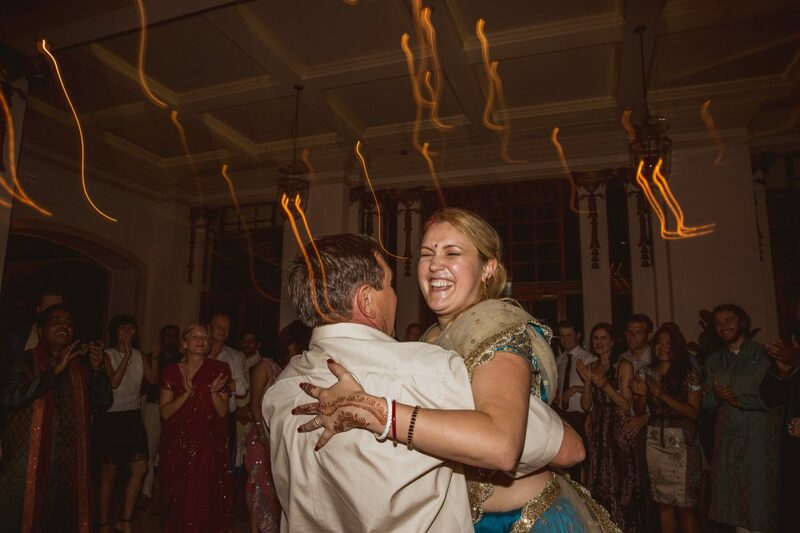 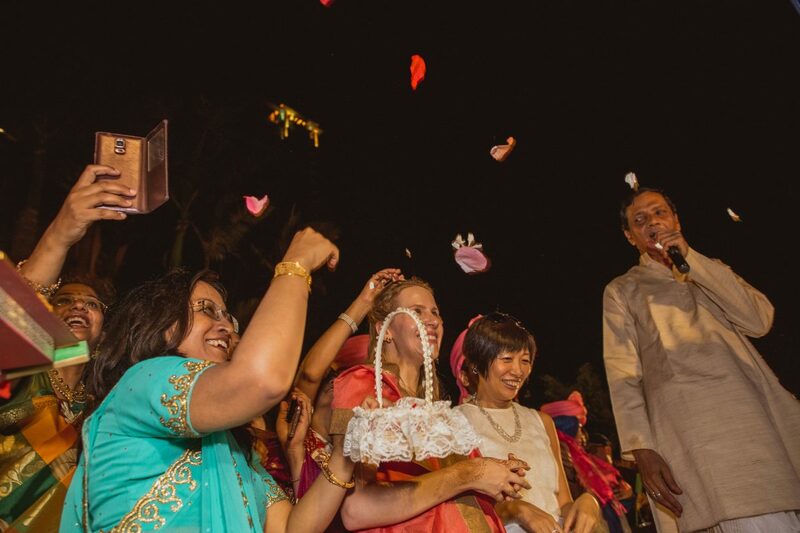 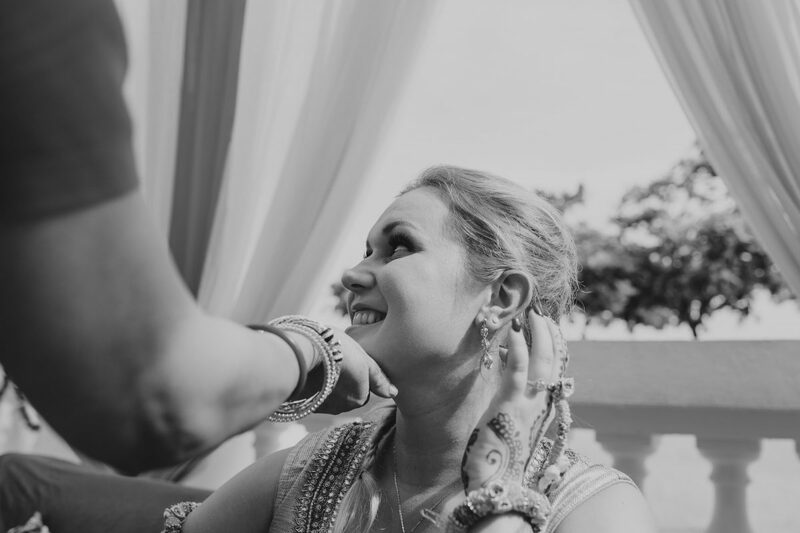 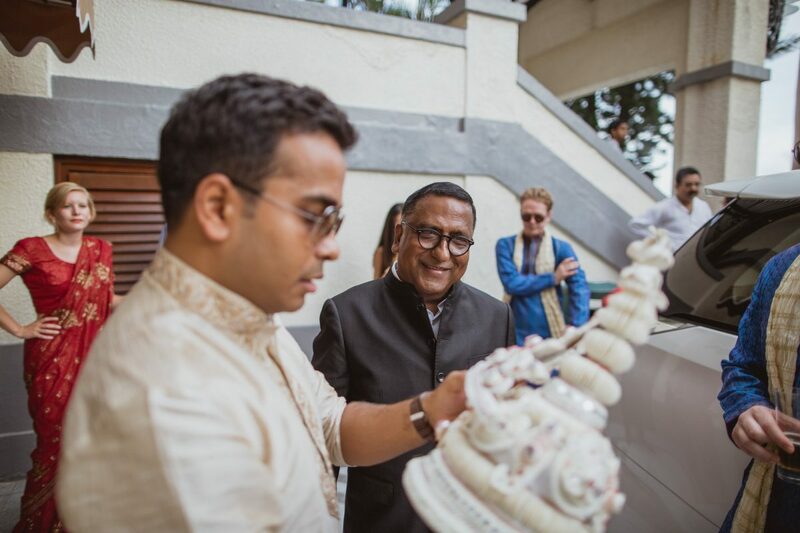 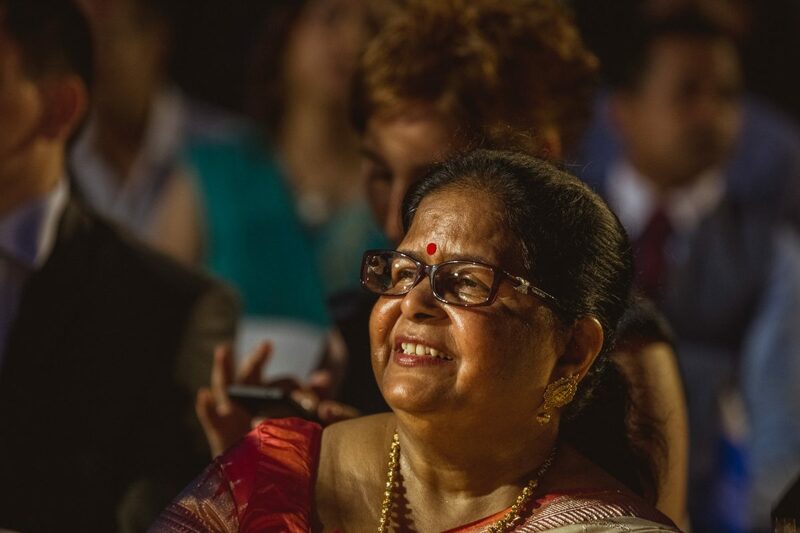 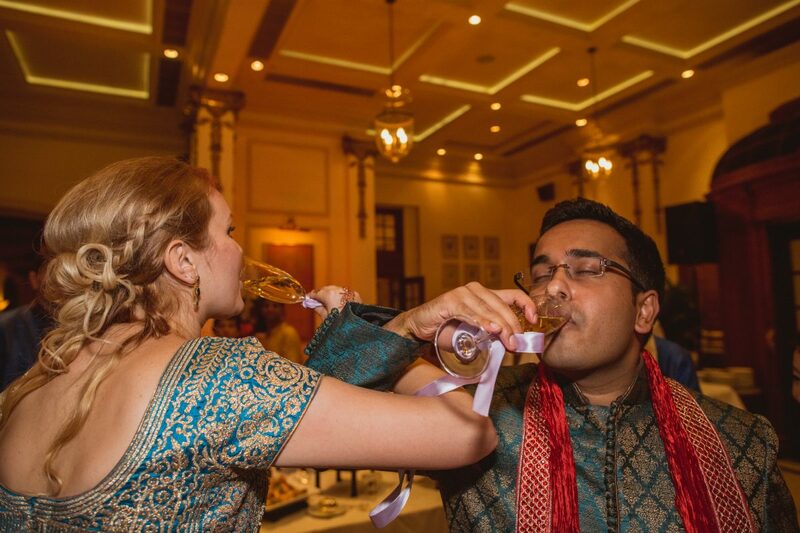 The first day was the Sangeet, which is a celebration held before the Hindu wedding day and focuses on the bride and her family. 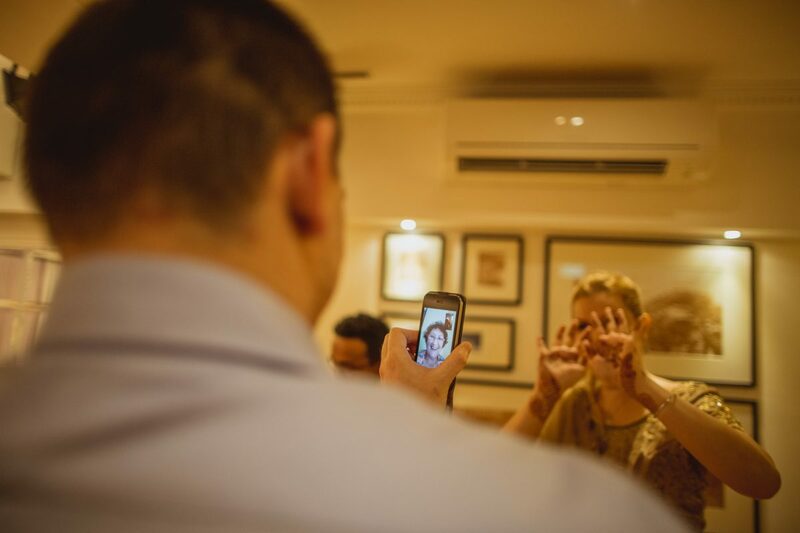 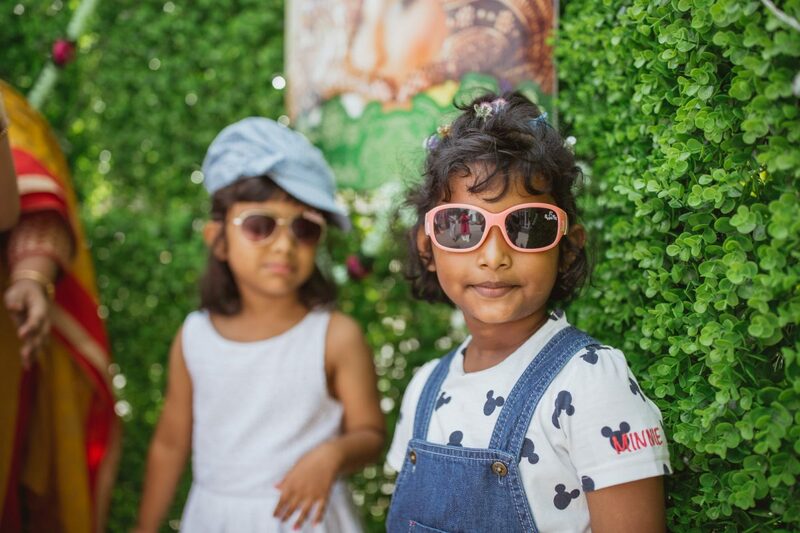 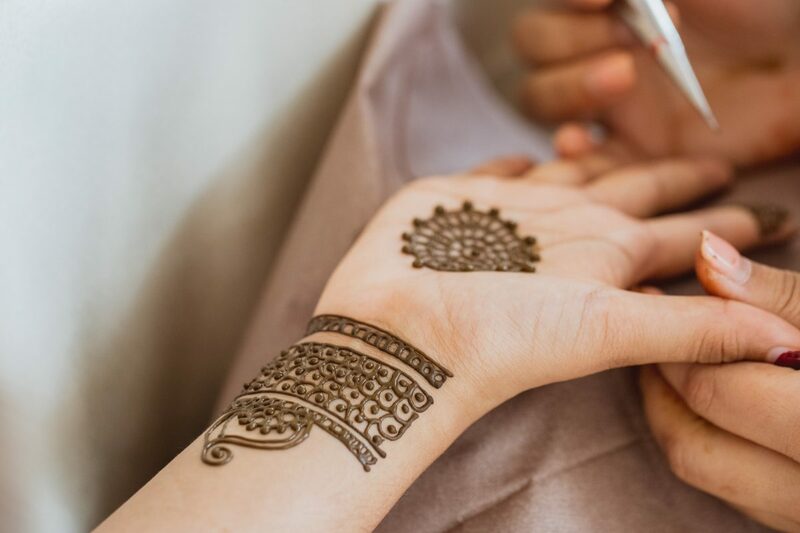 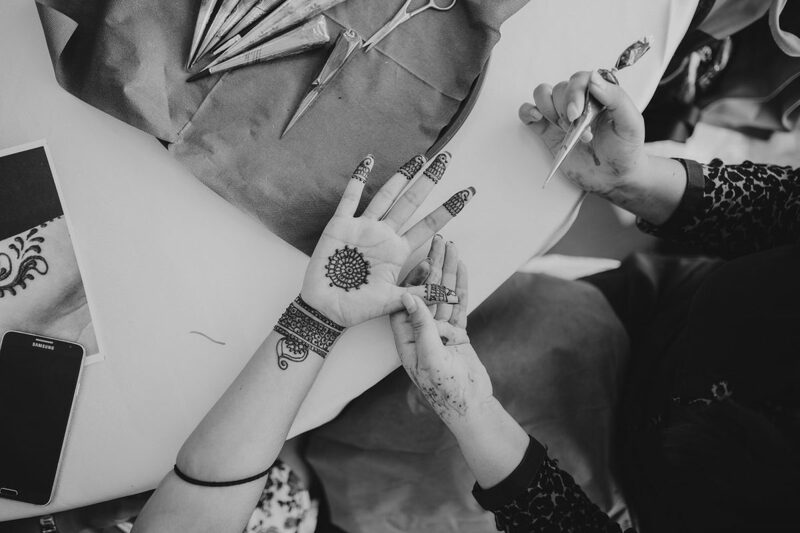 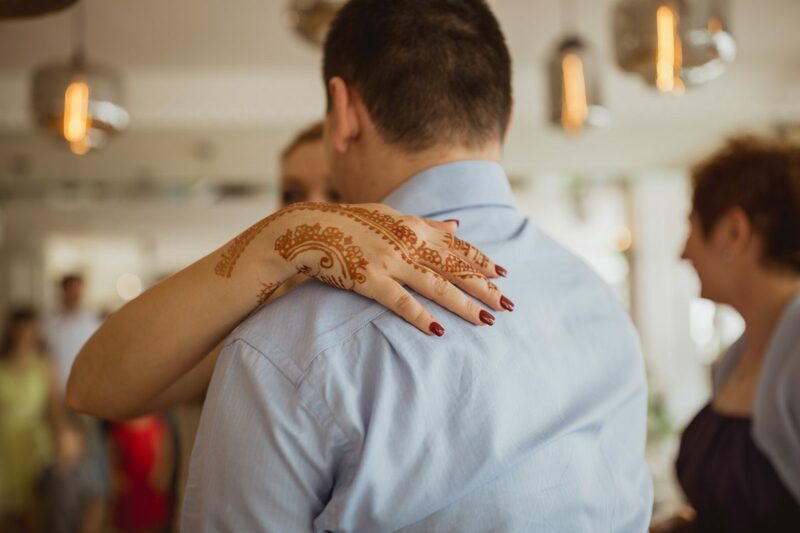 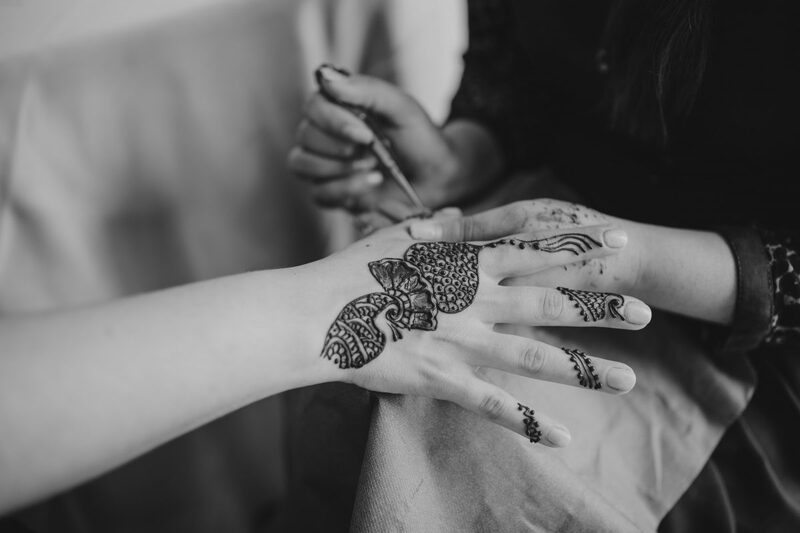 This involved all the ladies getting their traditional Mehndi henna tattoos done and a chance for all the family to meet up and have a great pre wedding party. 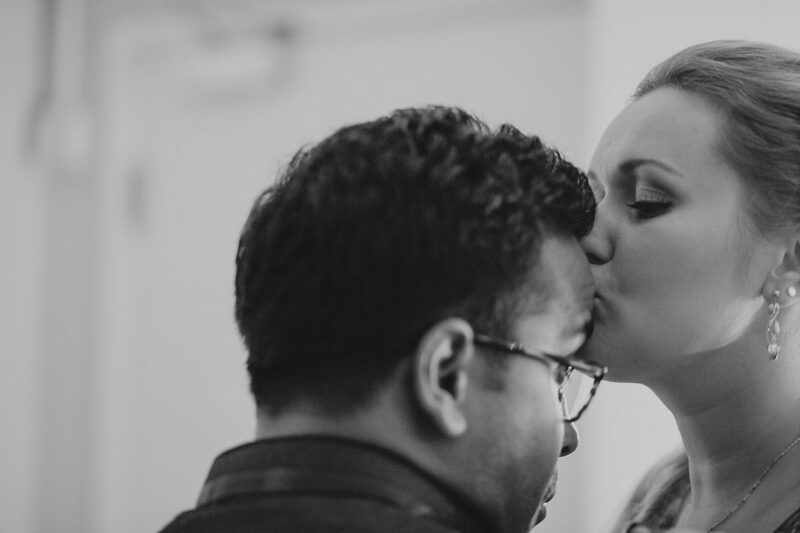 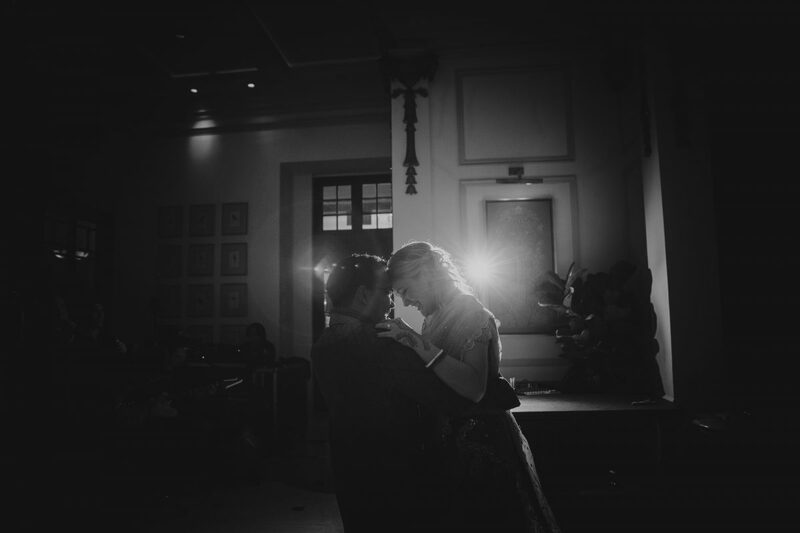 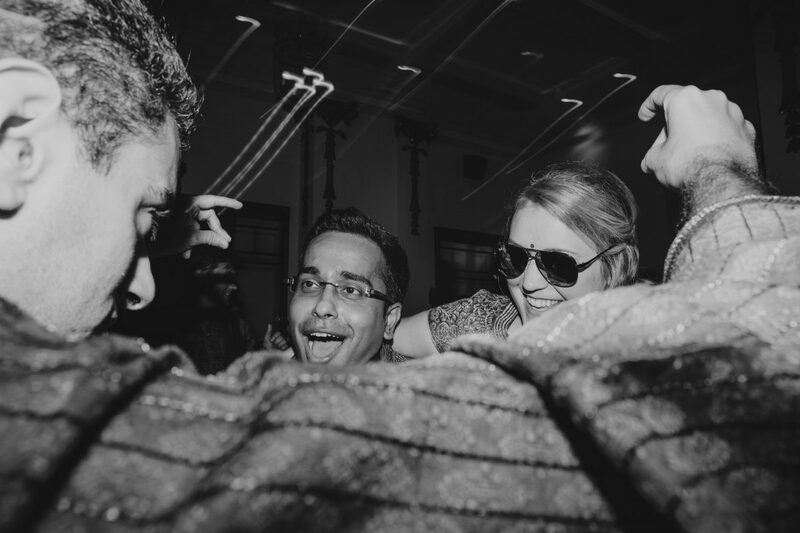 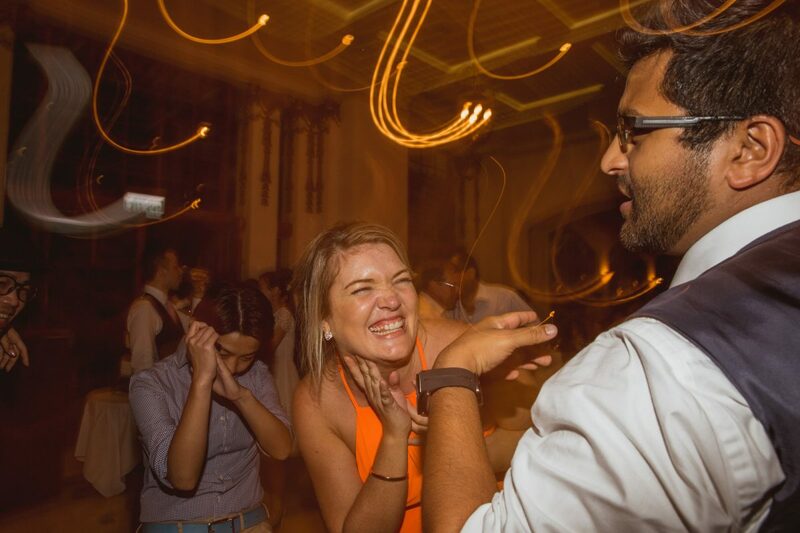 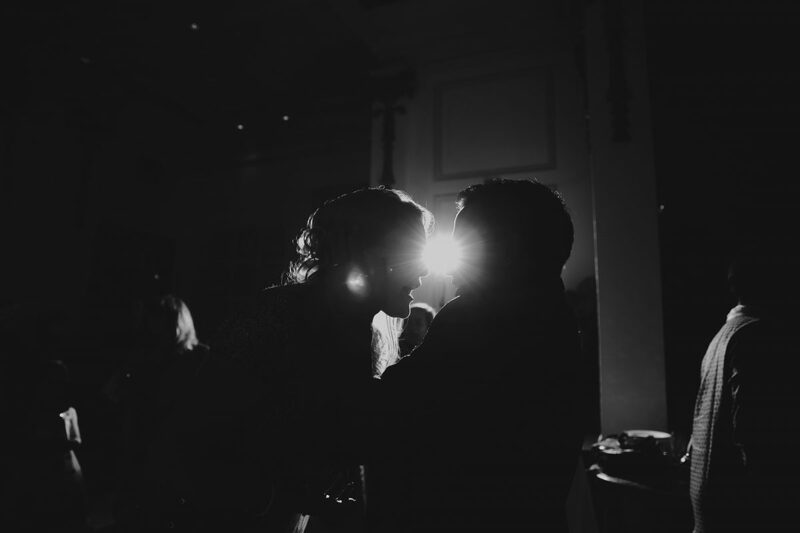 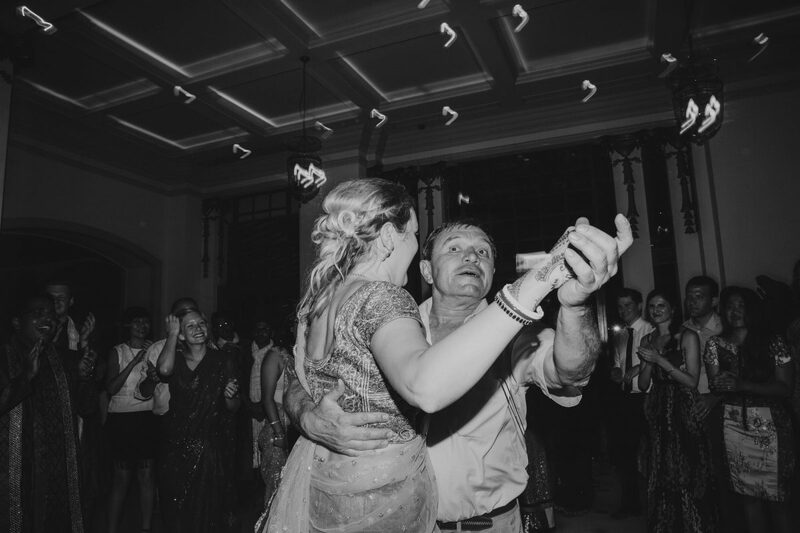 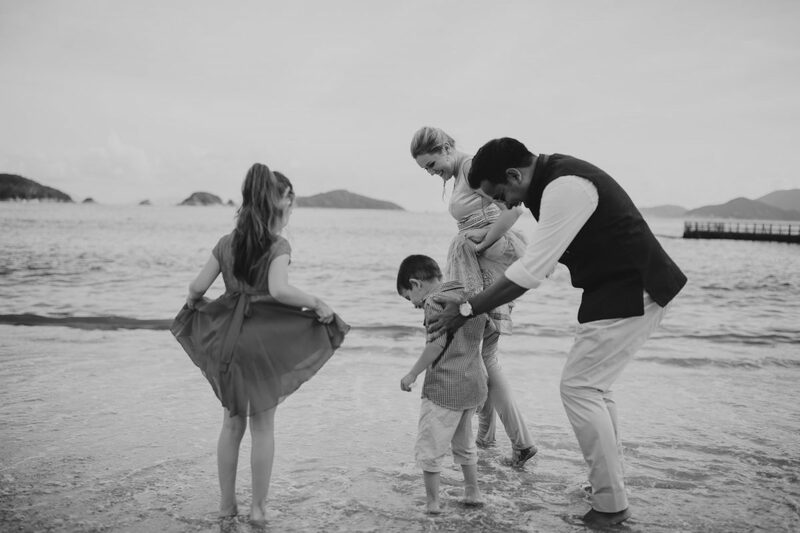 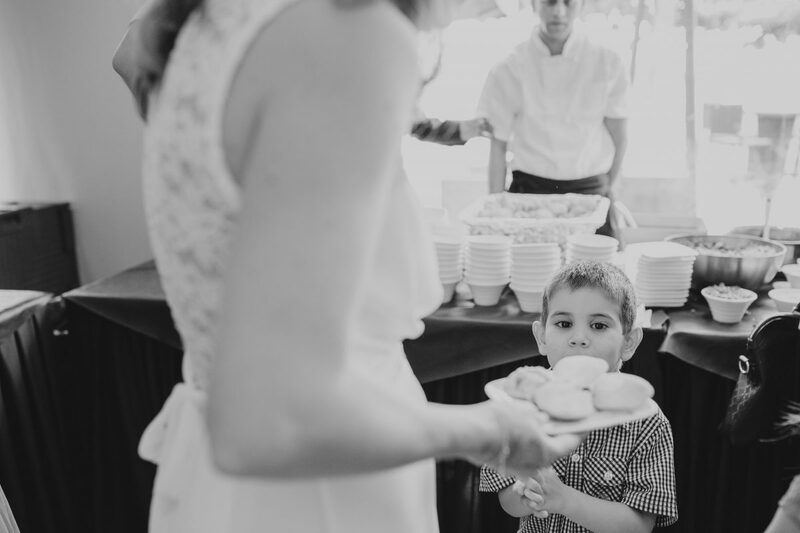 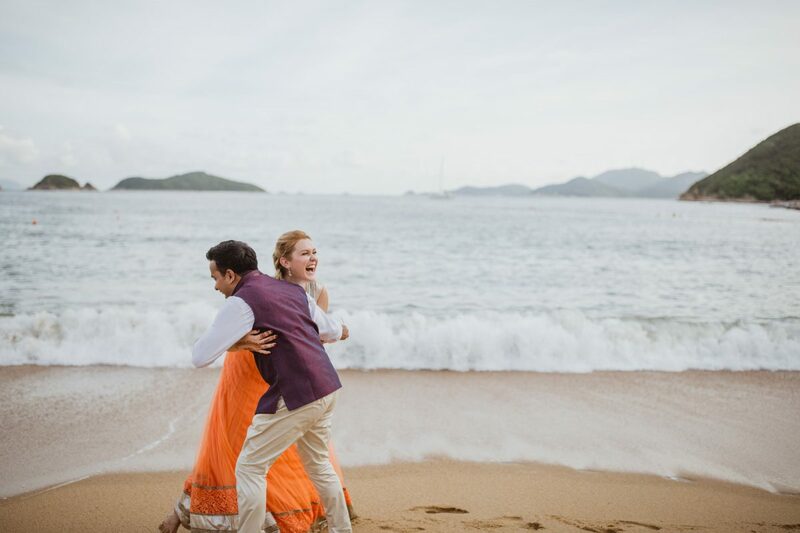 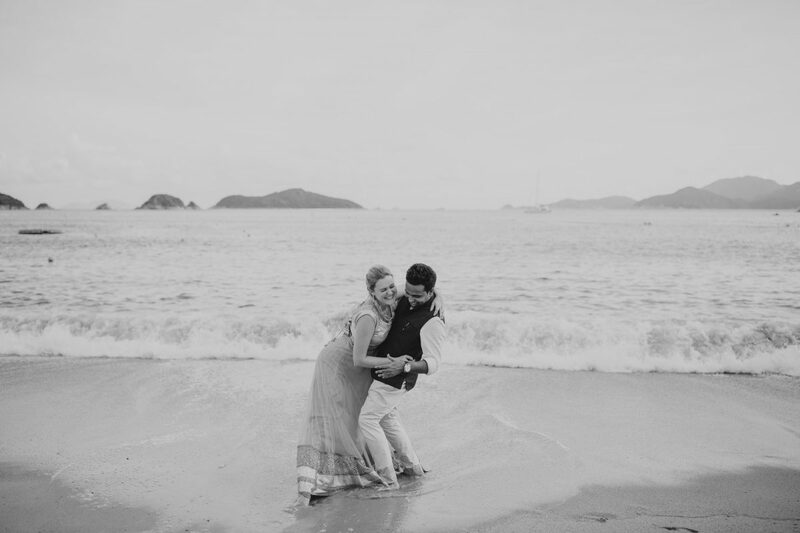 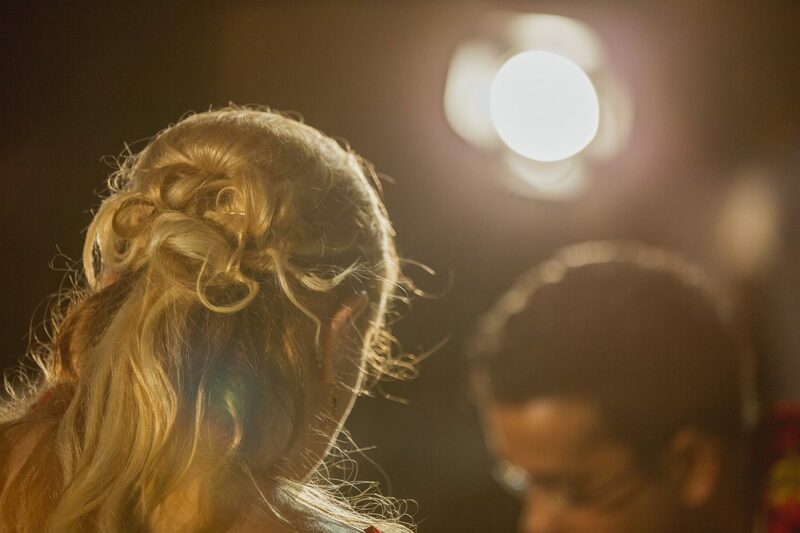 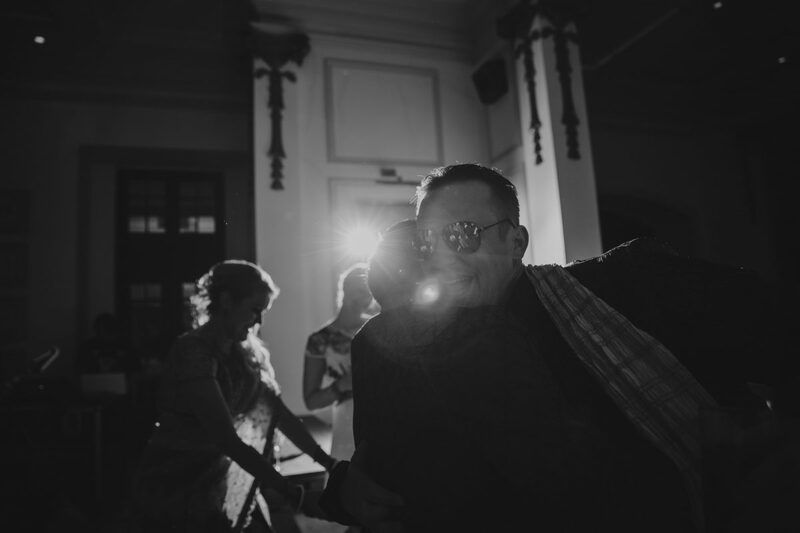 Got some lovely shots of Kate & Raj on the beach and then headed inside for dancing into the evening. 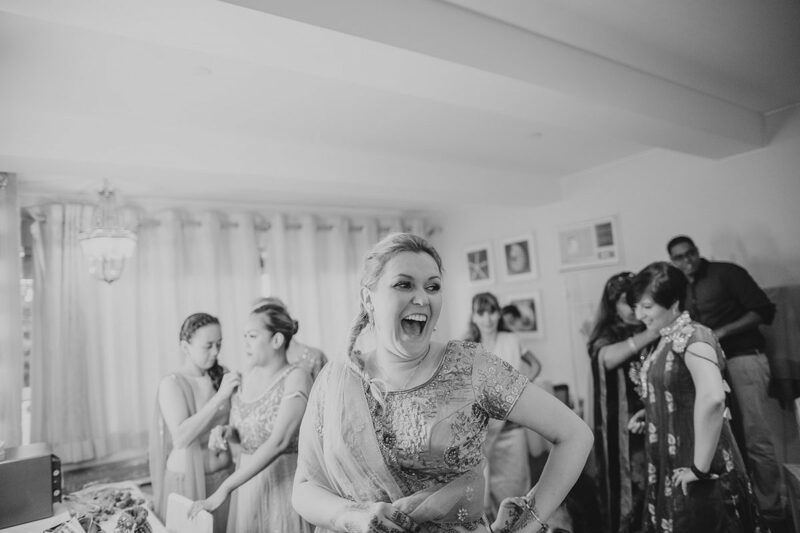 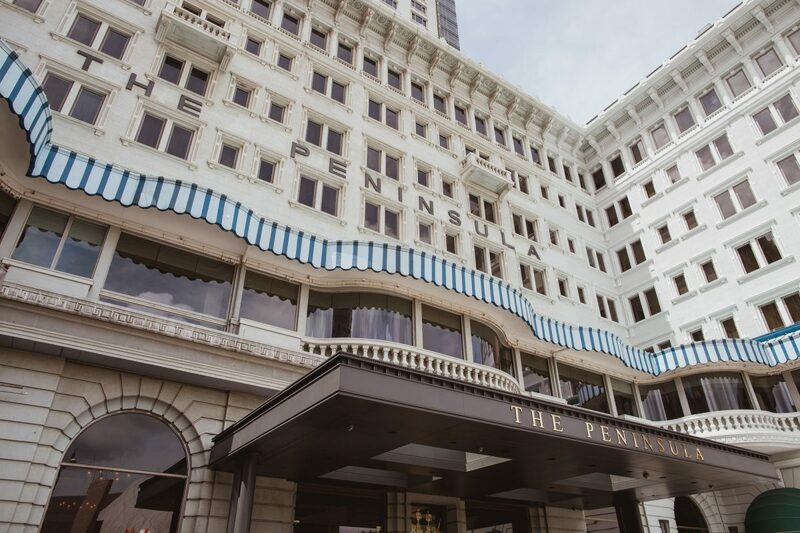 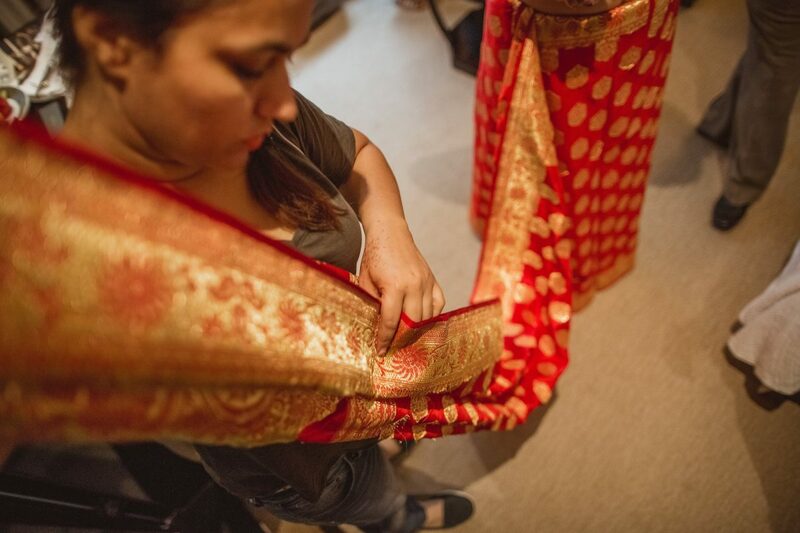 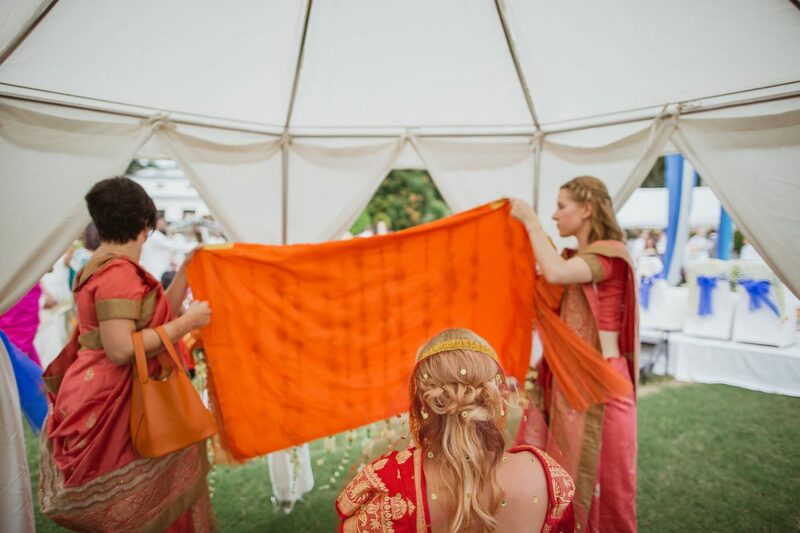 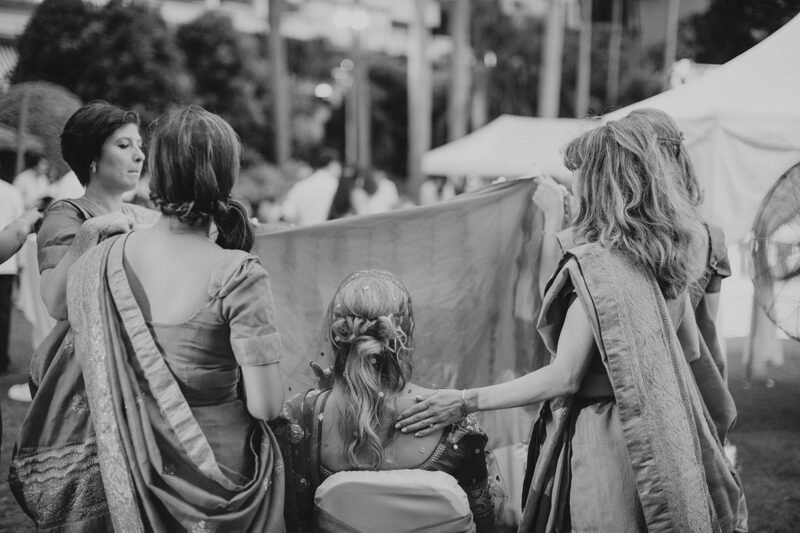 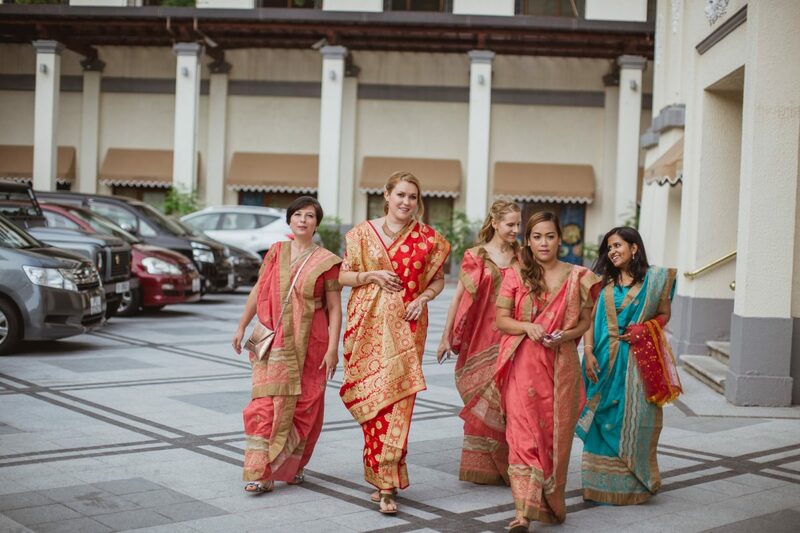 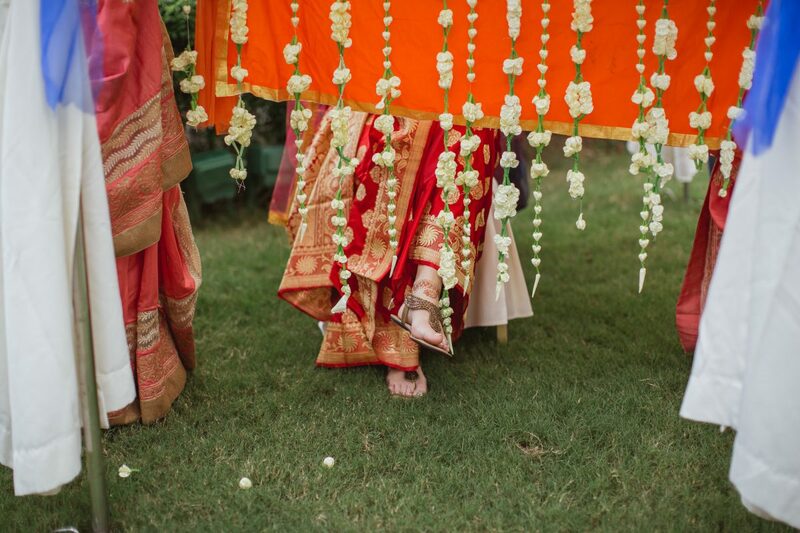 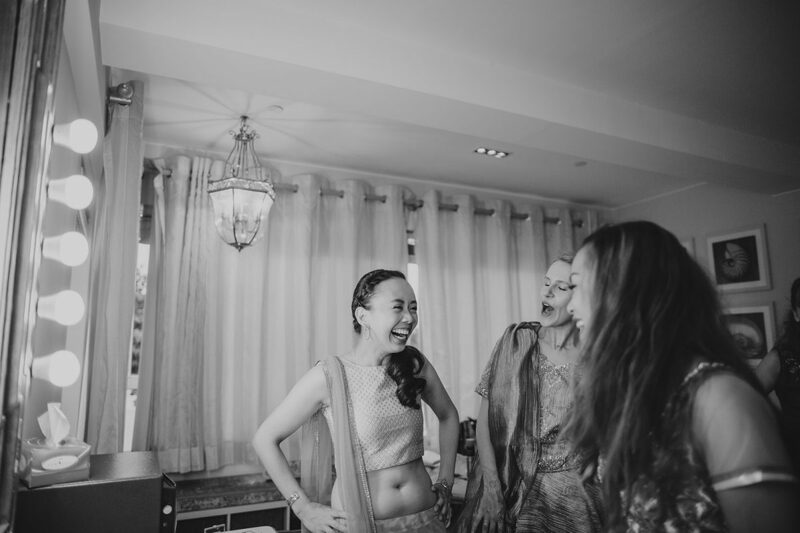 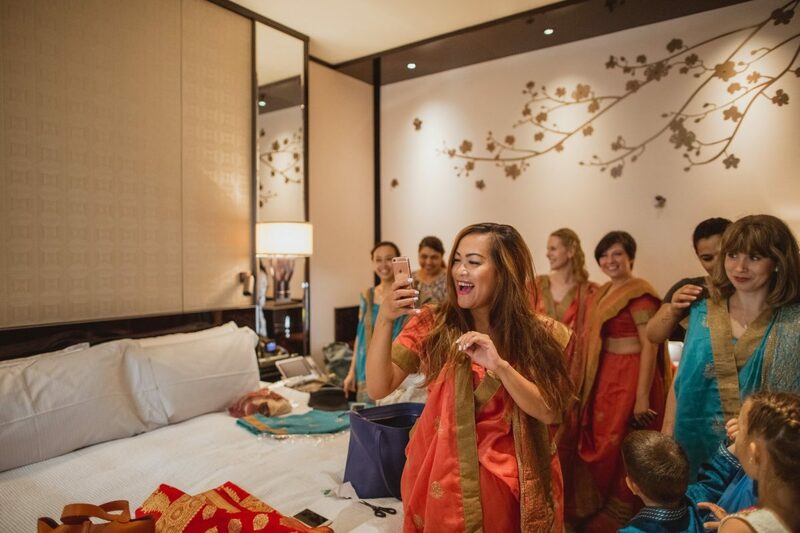 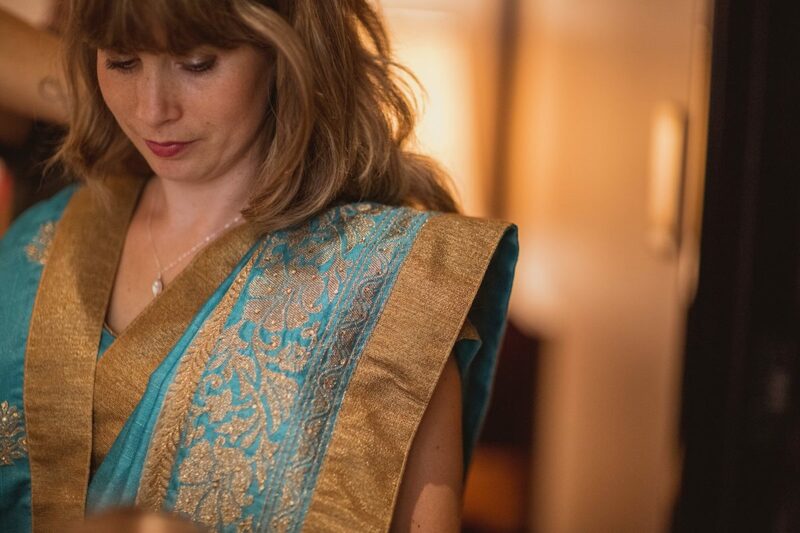 On the wedding day I met Kate and her bridesmaids at The Peninsula for bridal prep – the colours of the girls saree’s was stunning. 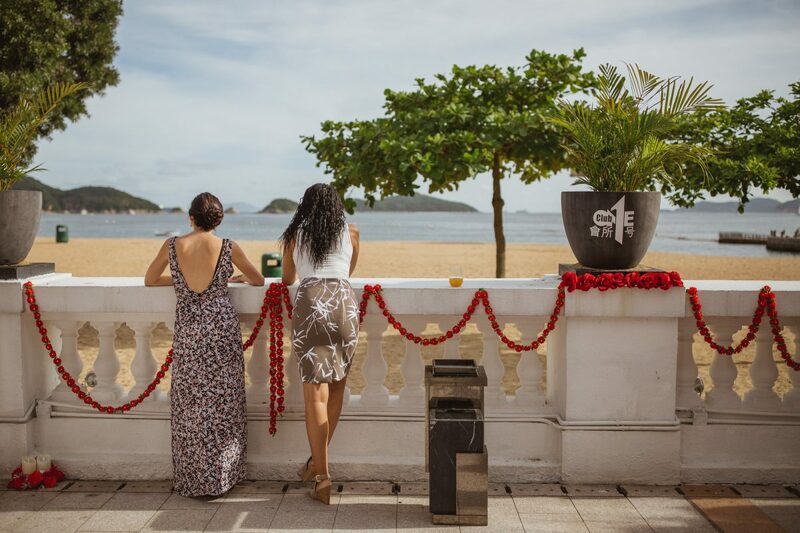 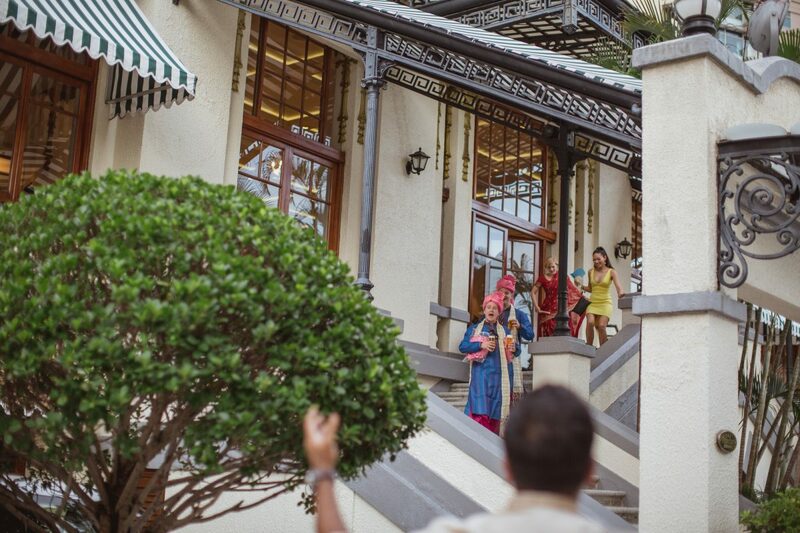 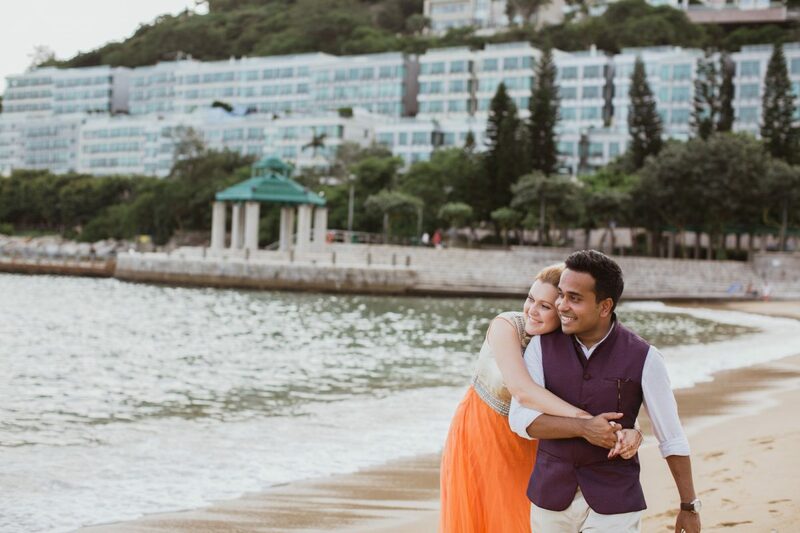 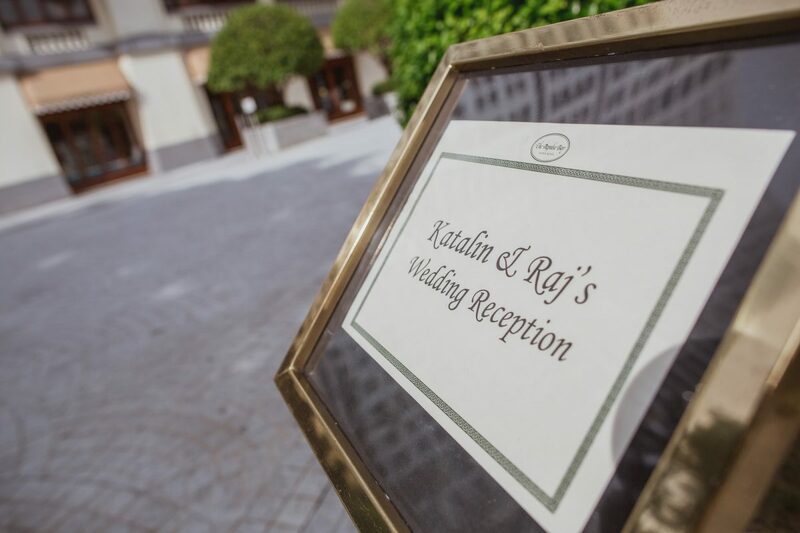 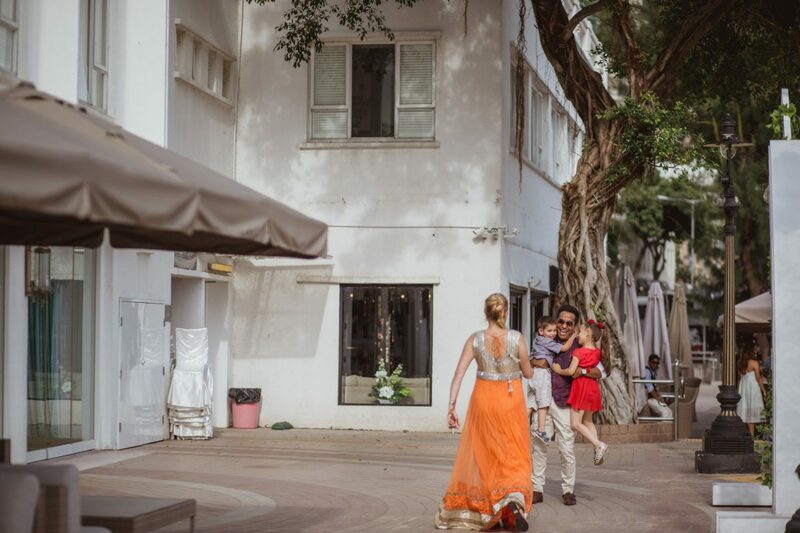 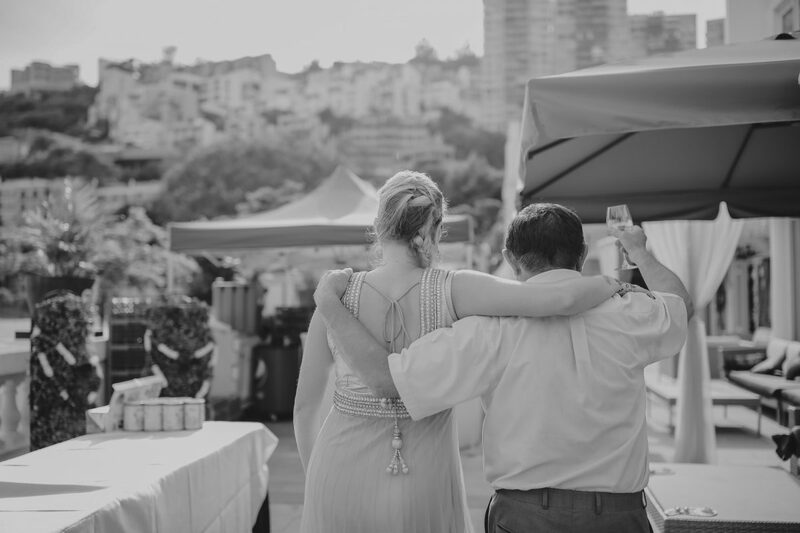 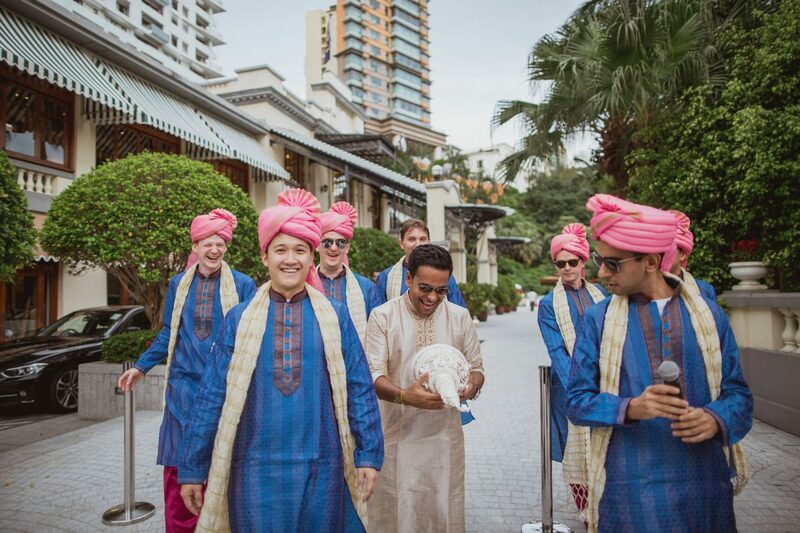 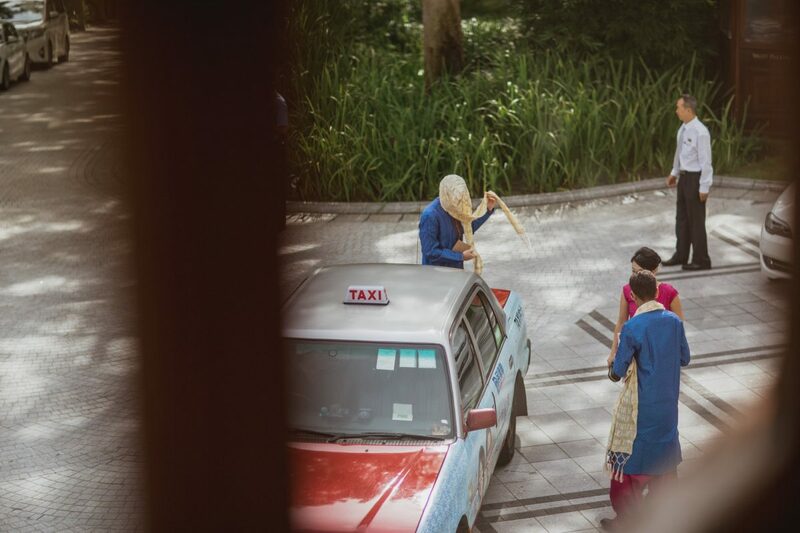 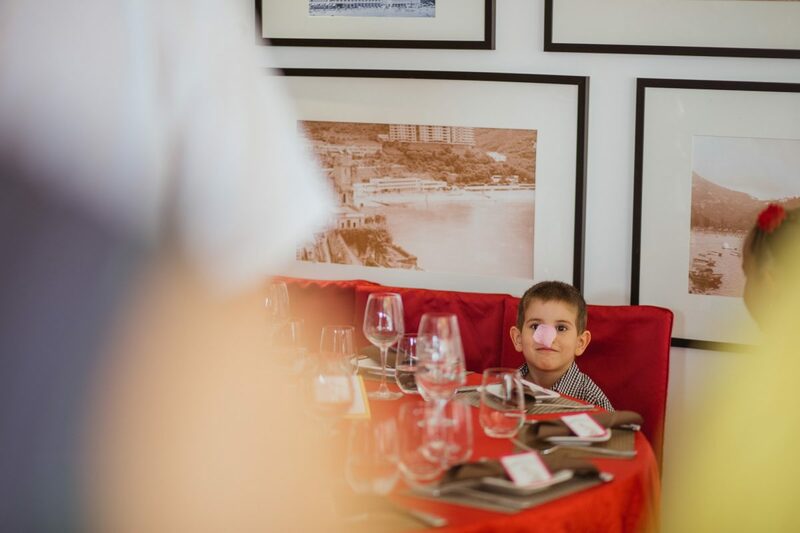 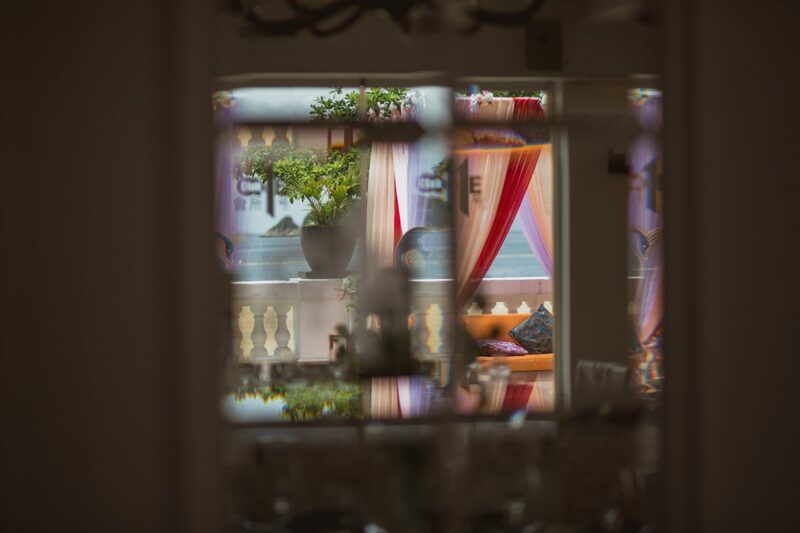 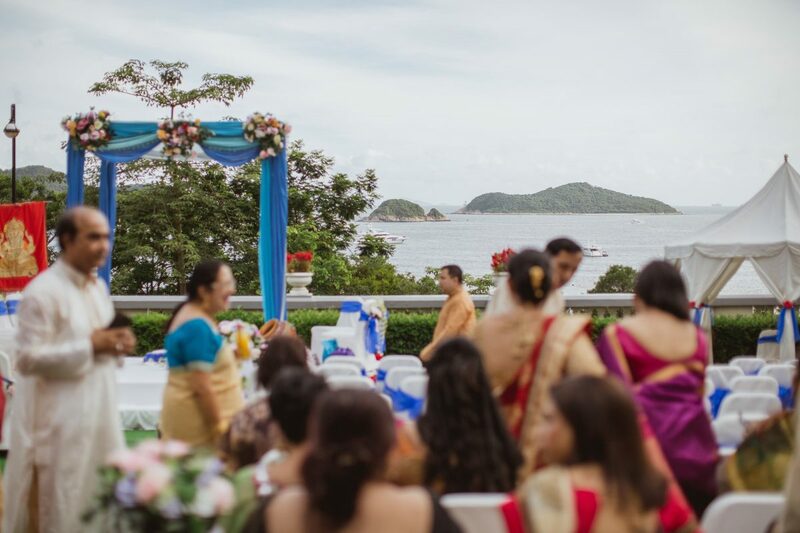 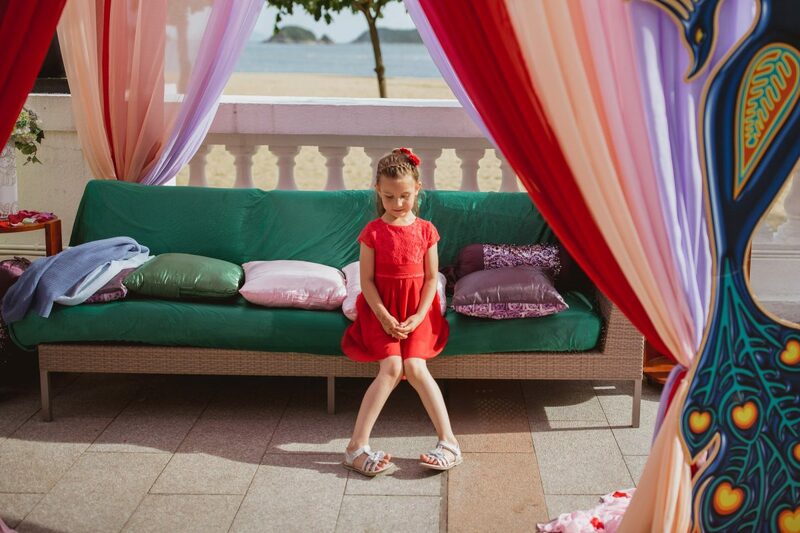 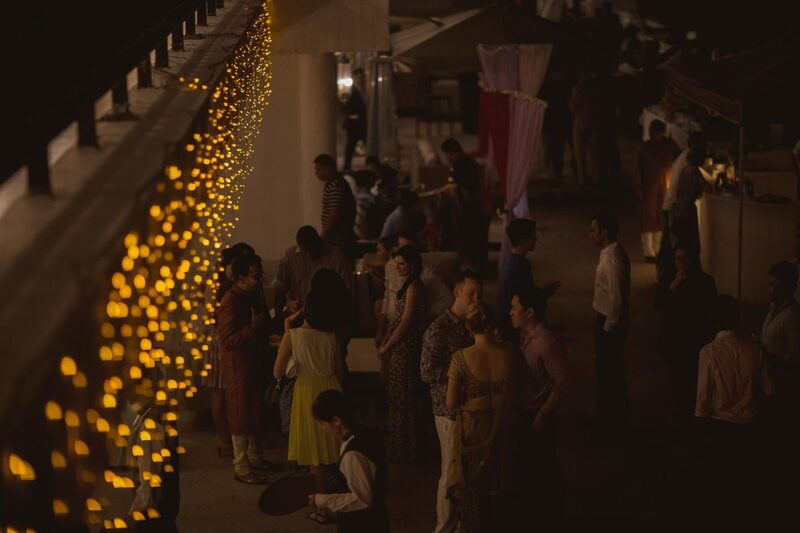 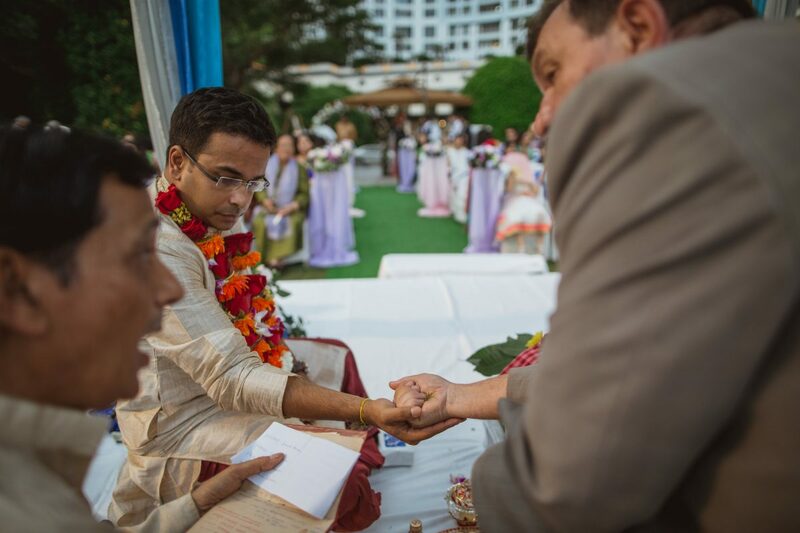 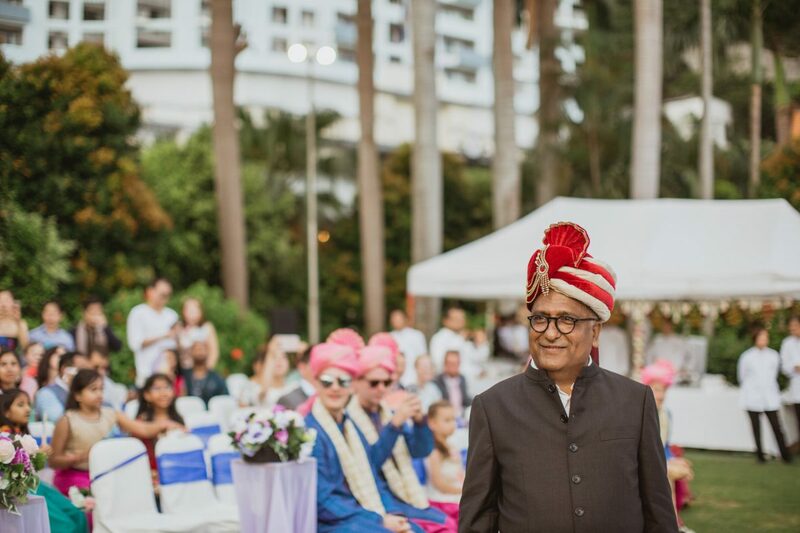 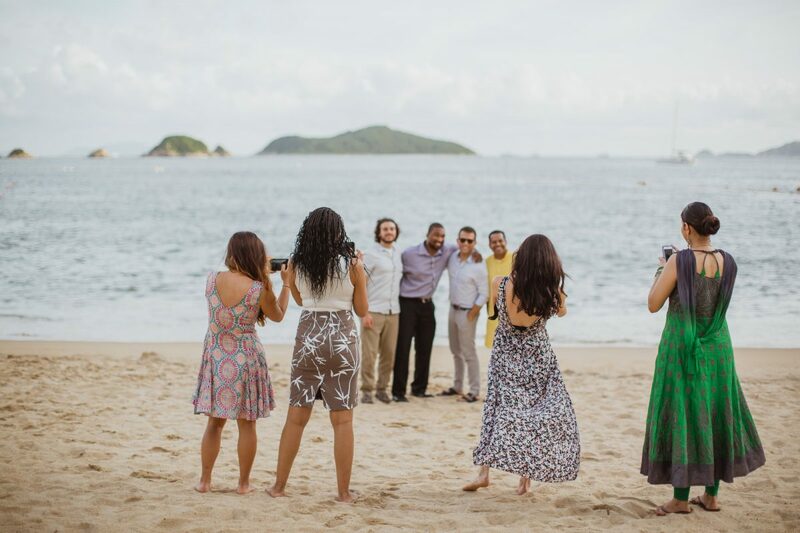 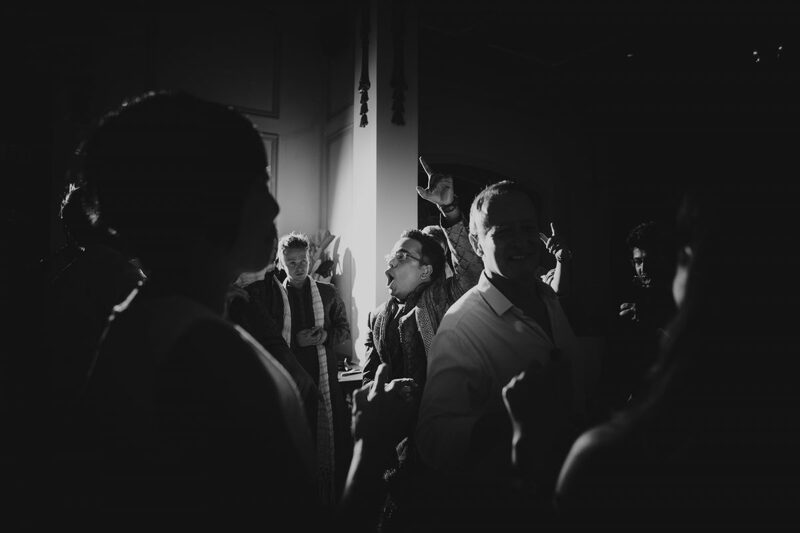 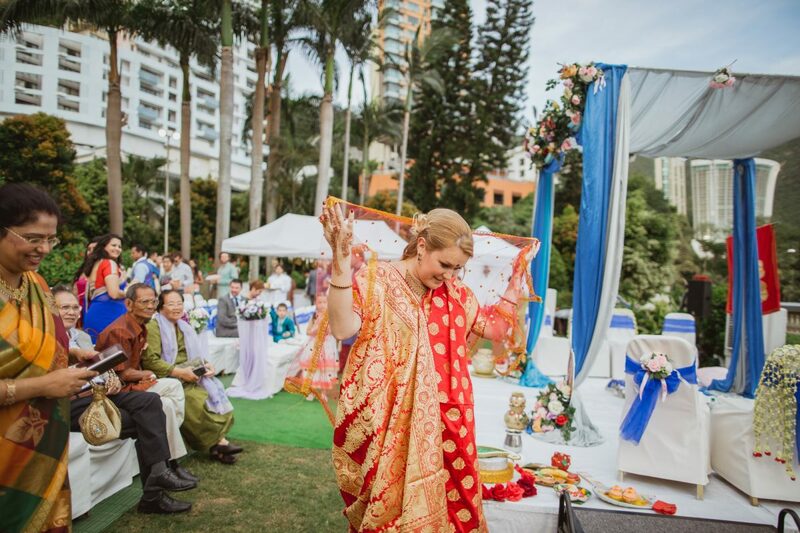 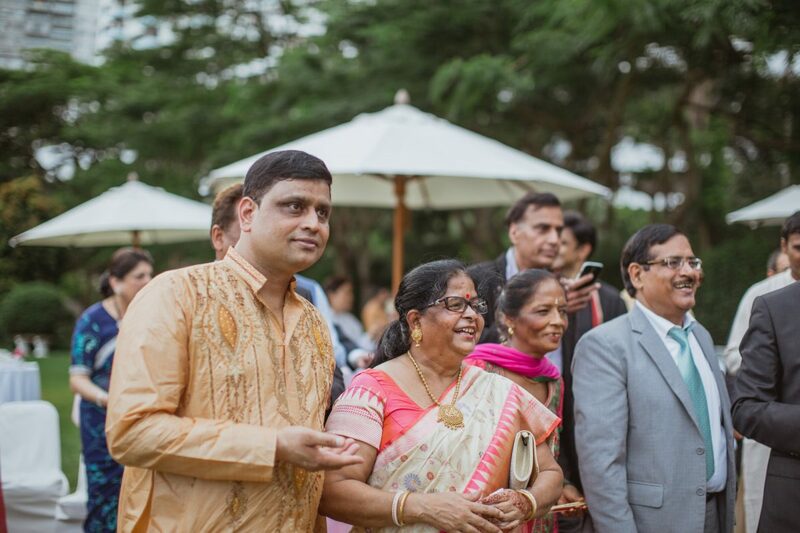 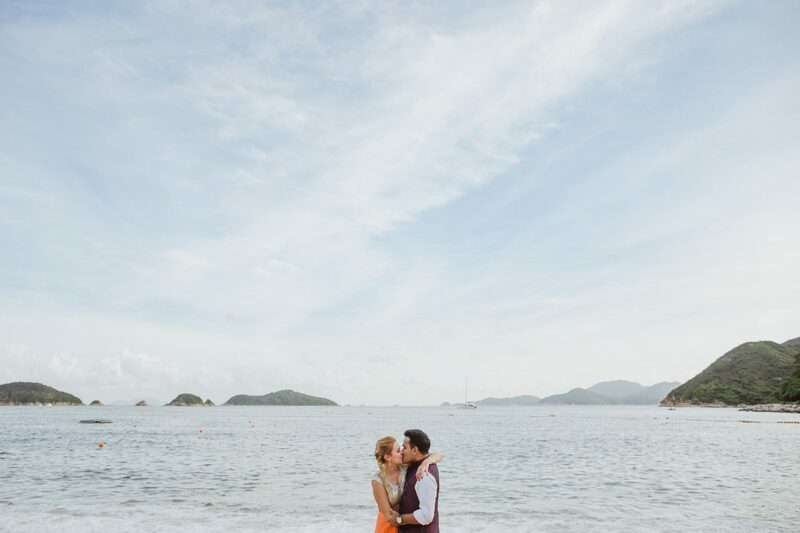 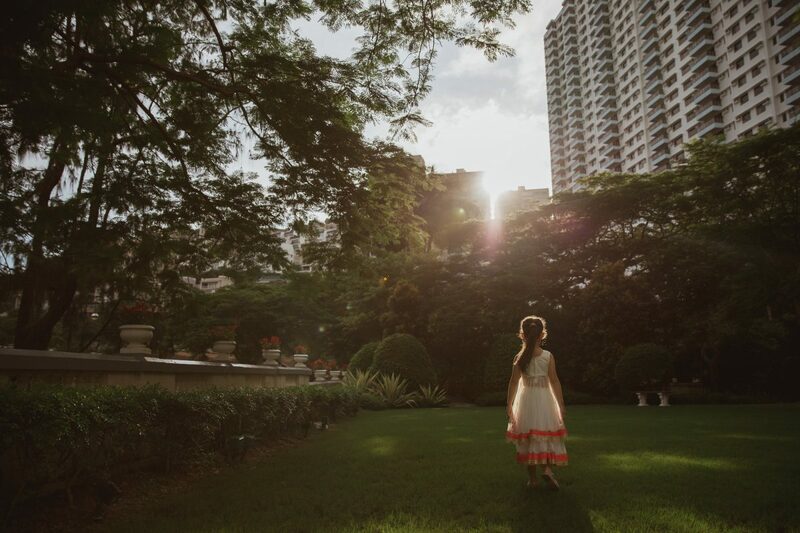 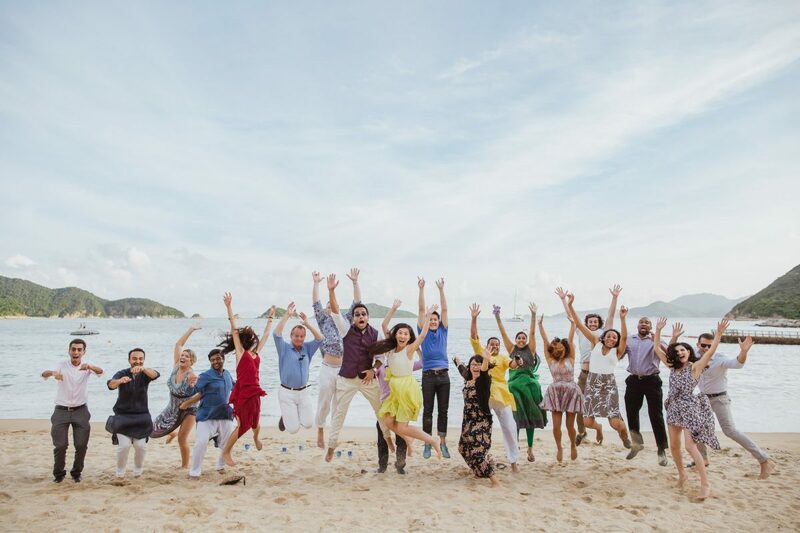 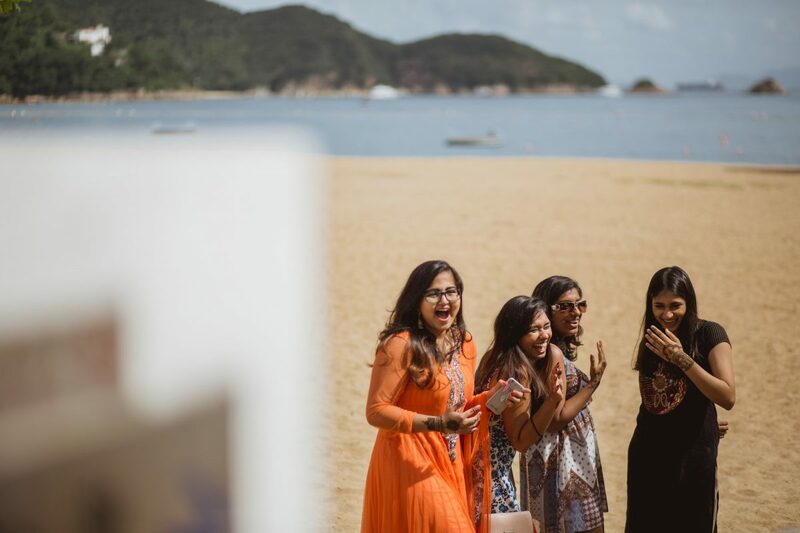 The ceremony itself was at The Verandah Repulse Bay under the setting sun. 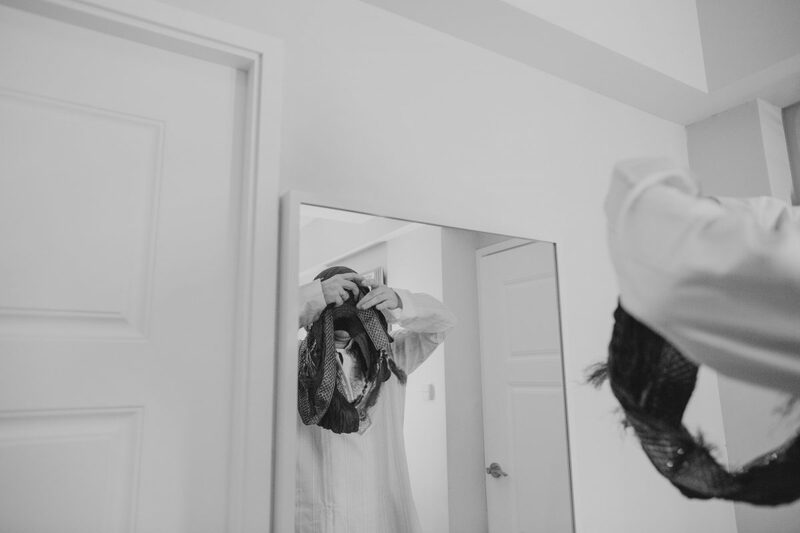 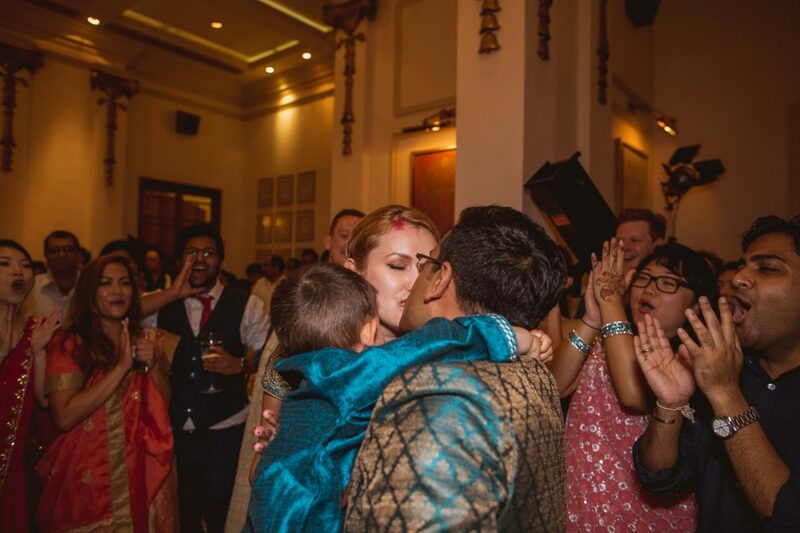 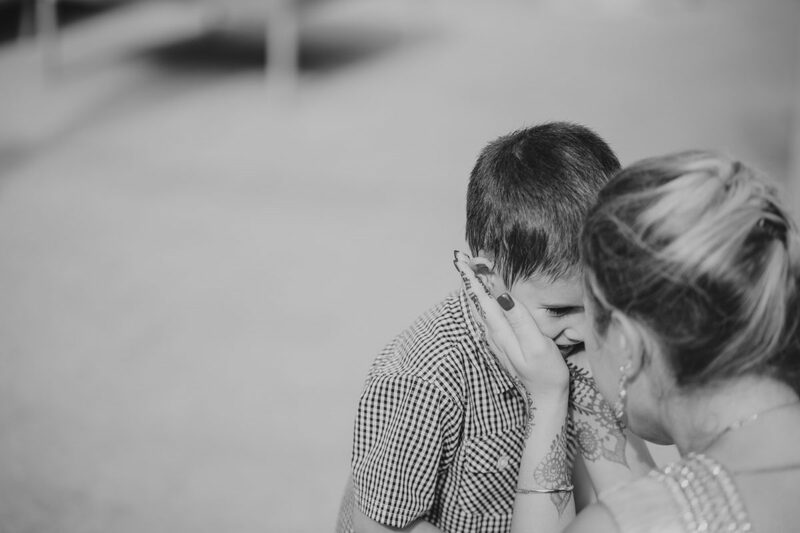 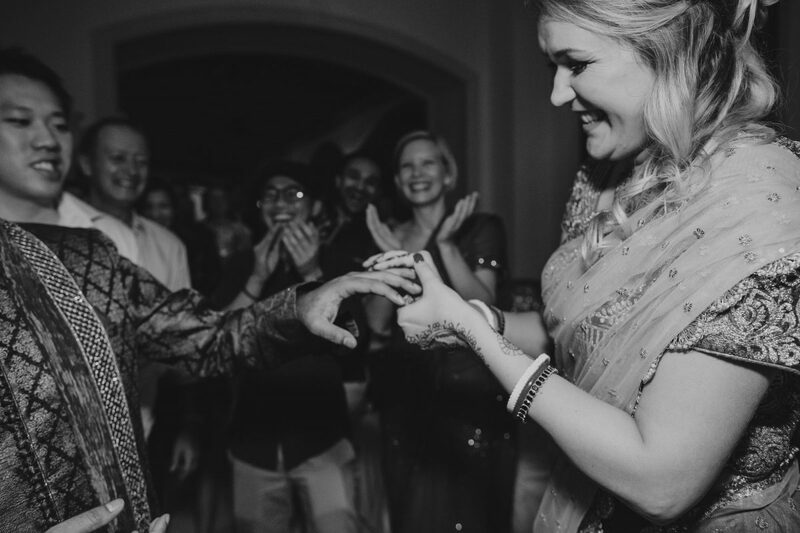 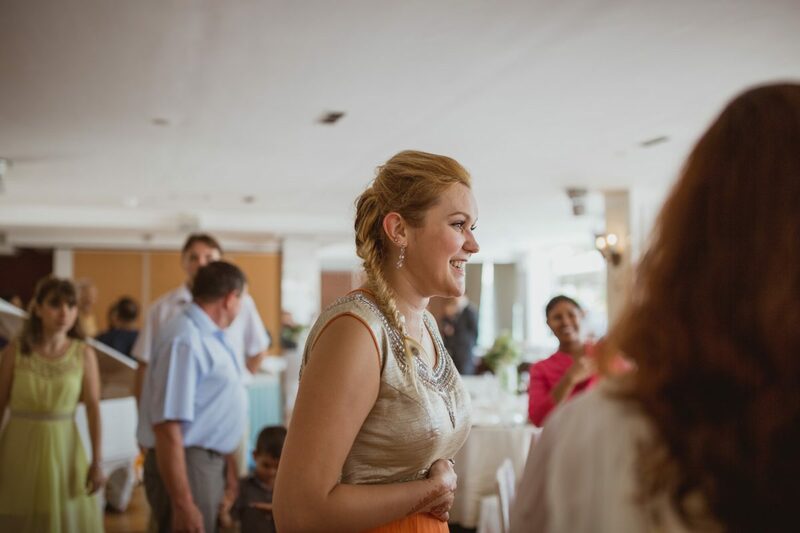 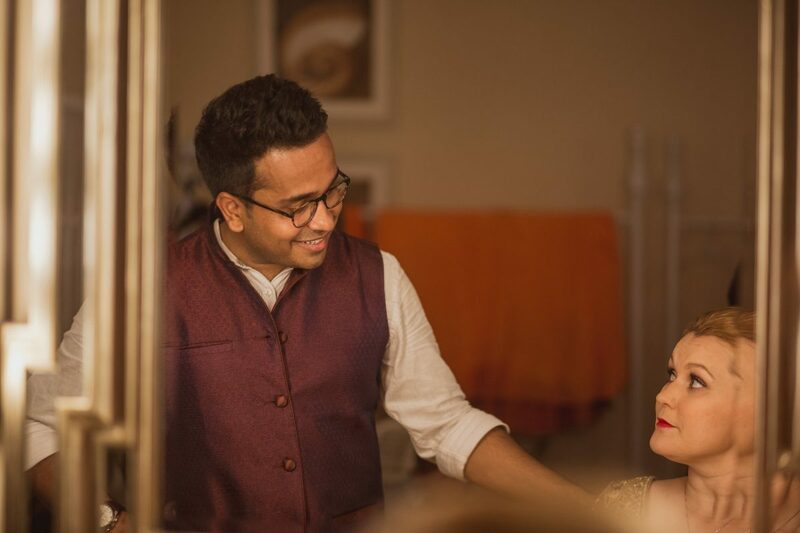 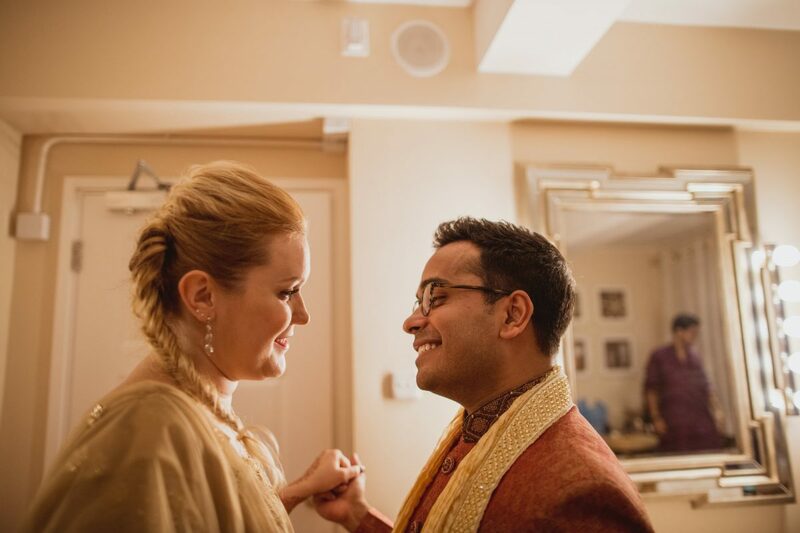 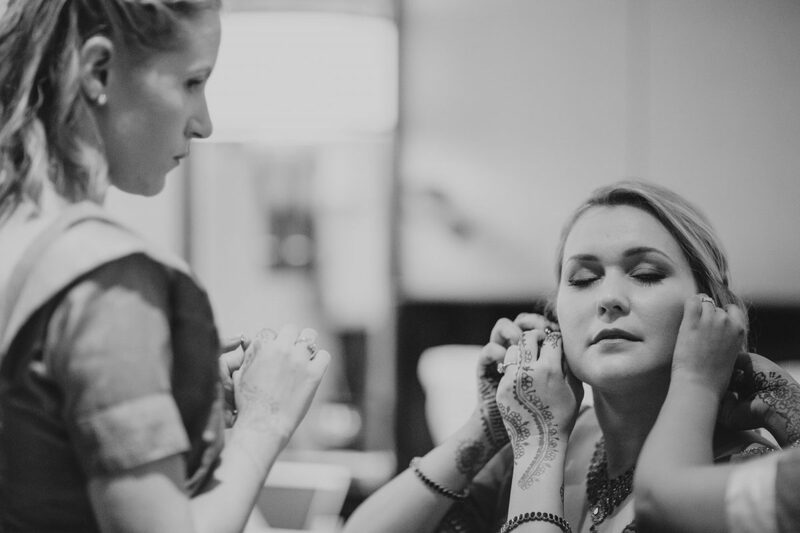 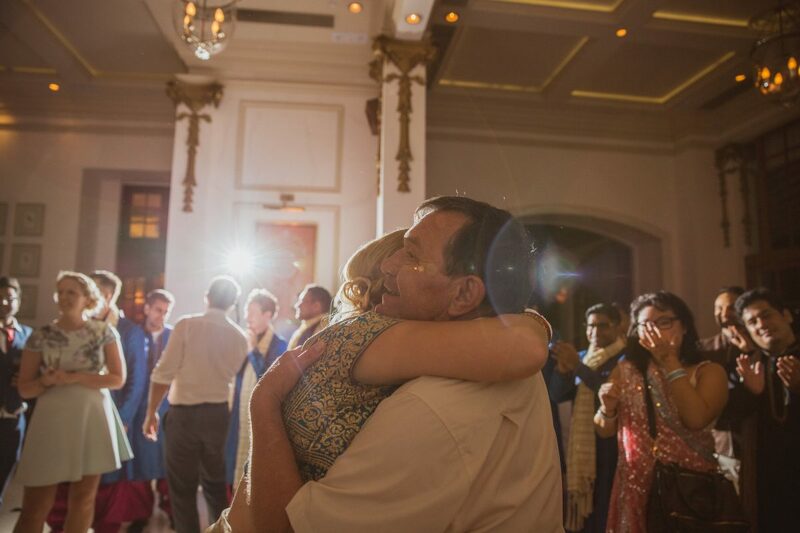 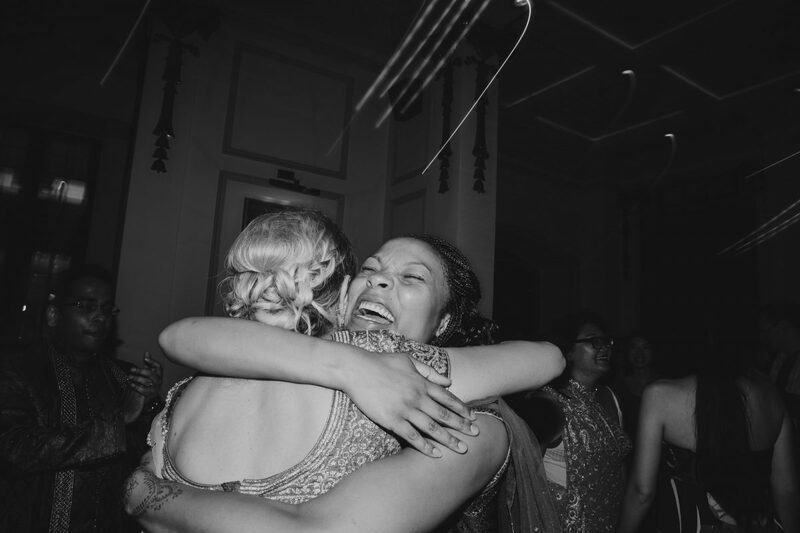 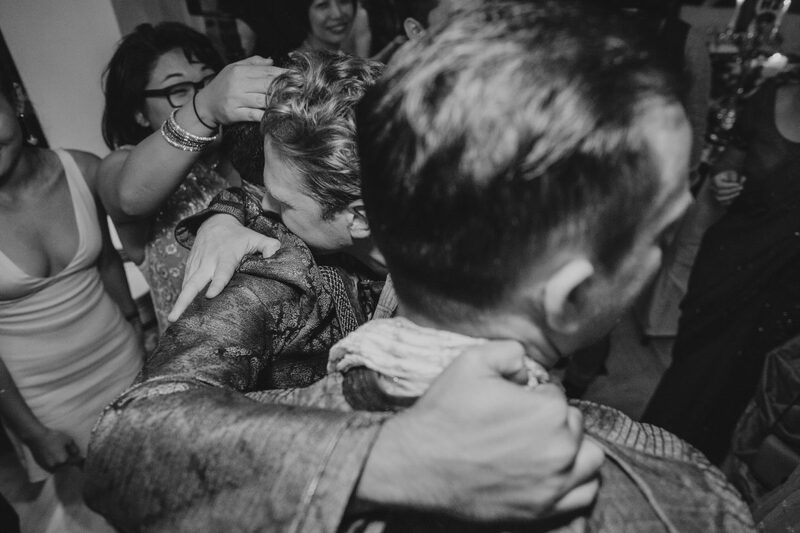 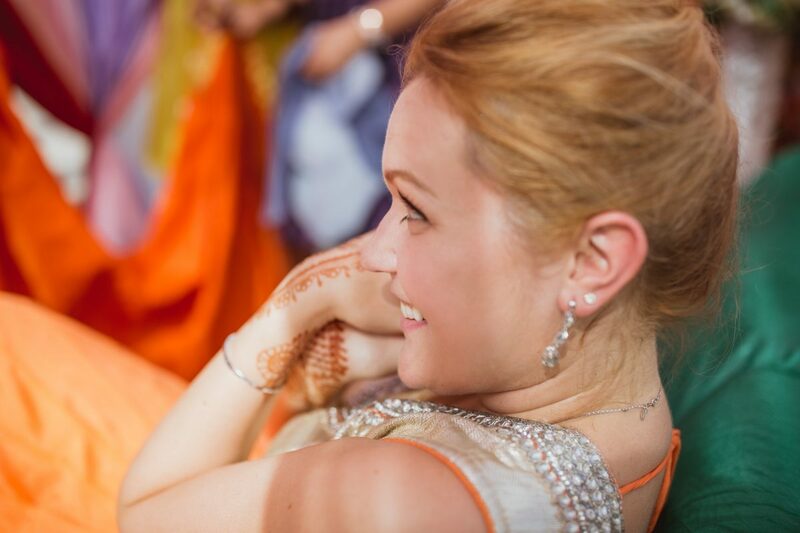 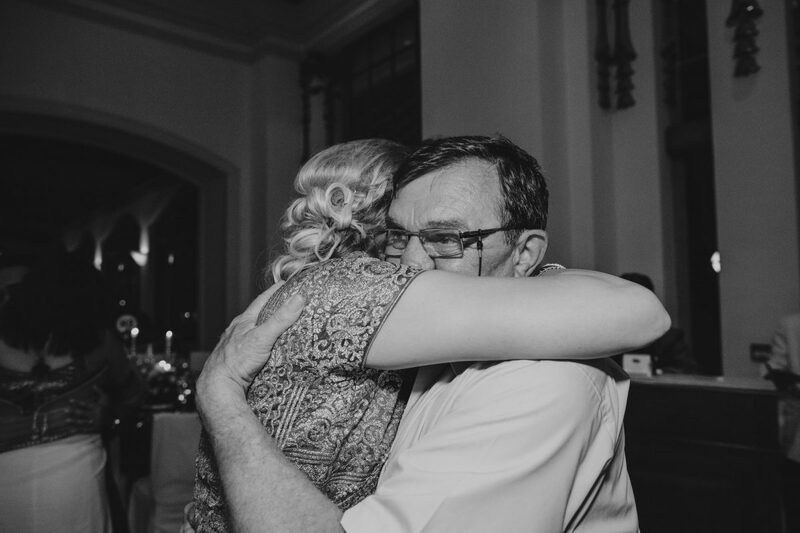 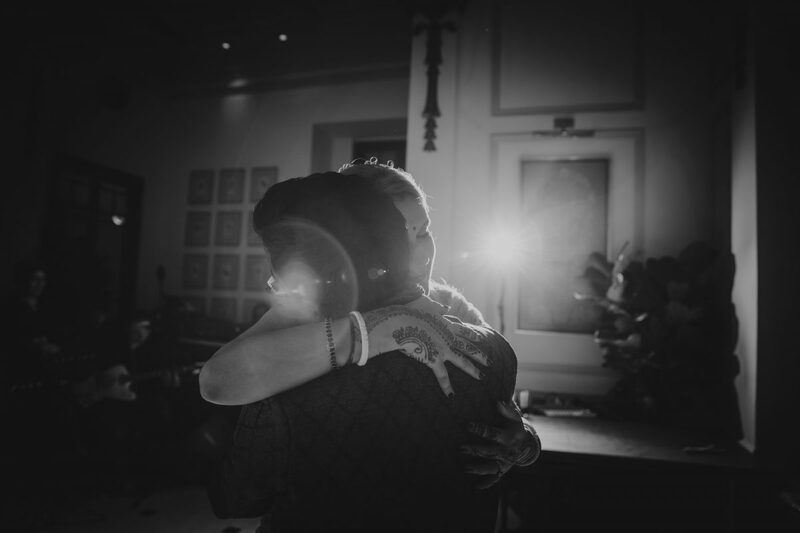 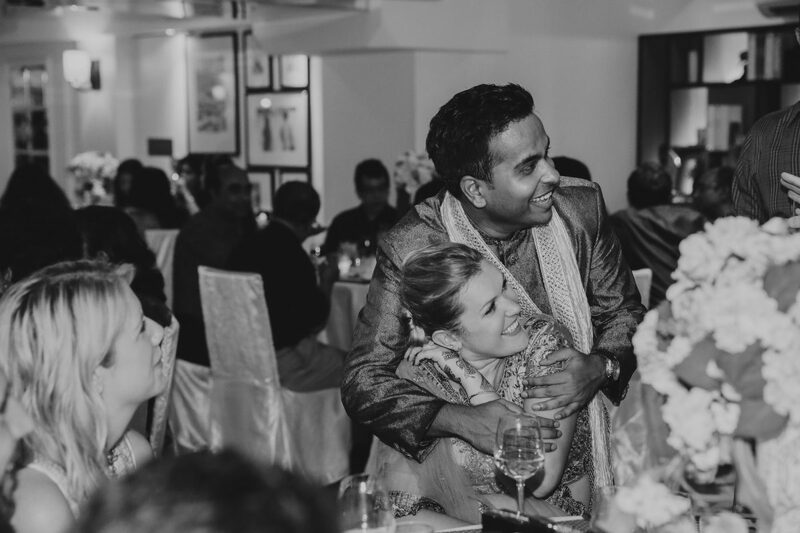 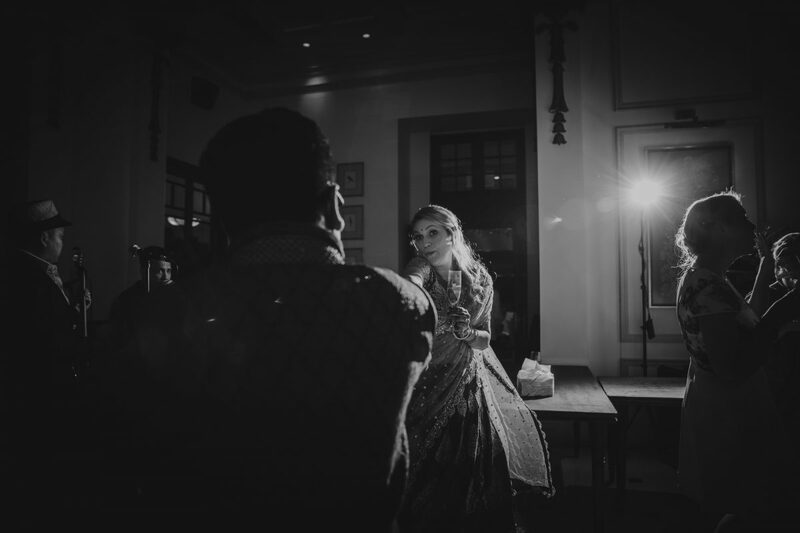 Some photos from the ceremony that stand out for me is during the Saat paak where Kate circles Raj seven times before they get to see each other. 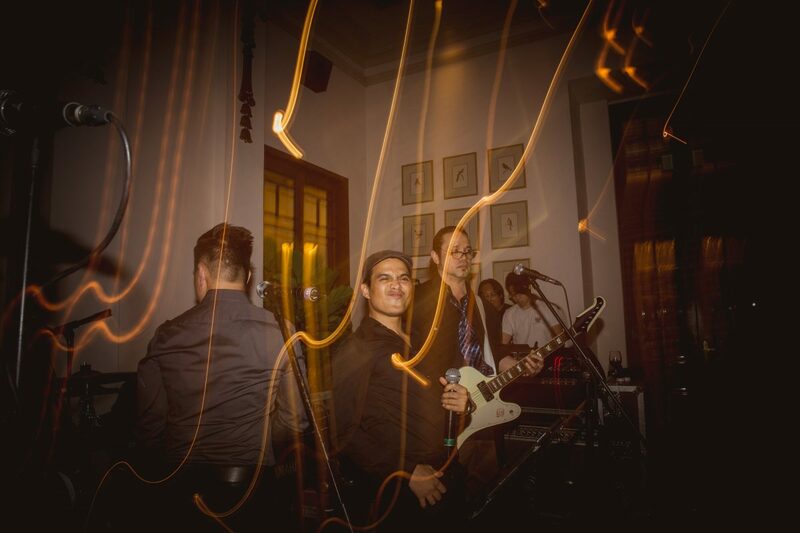 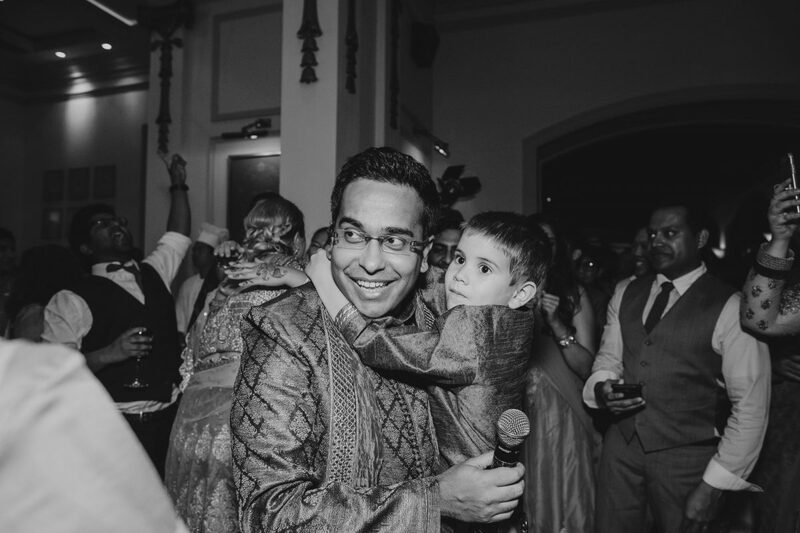 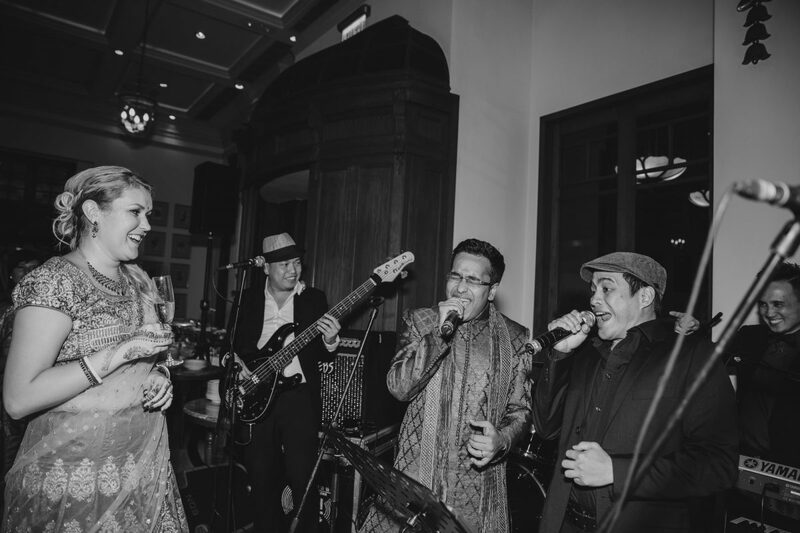 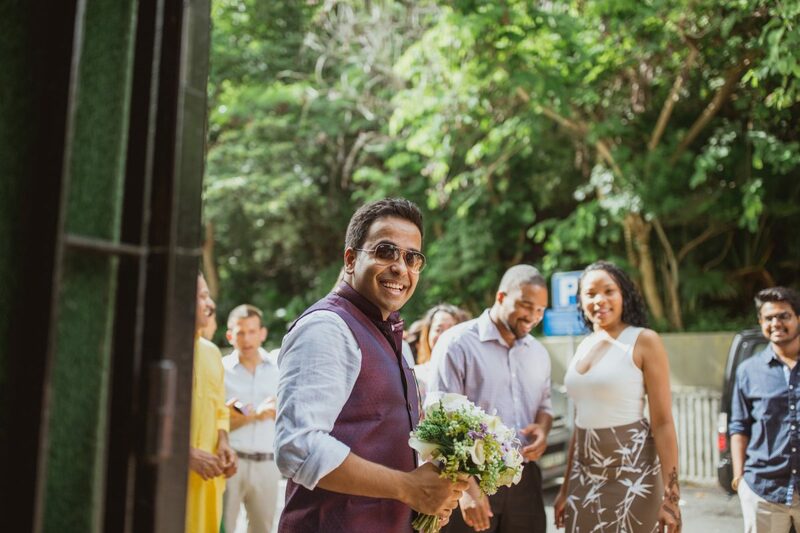 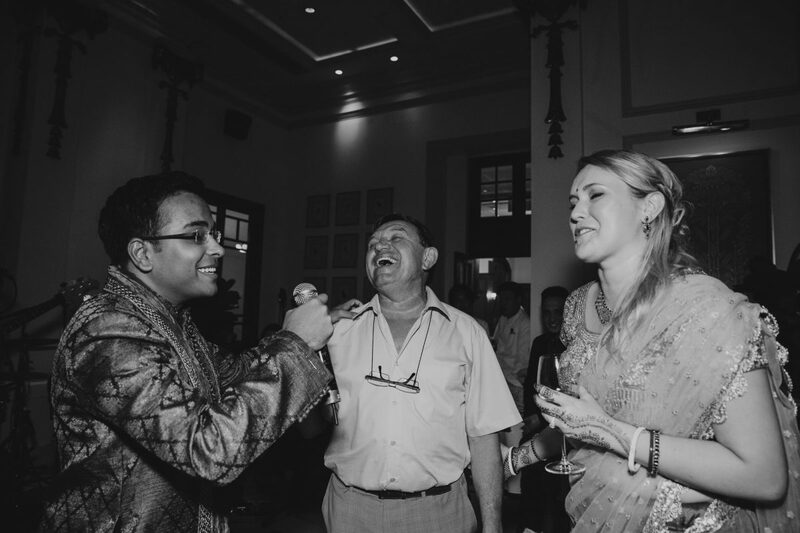 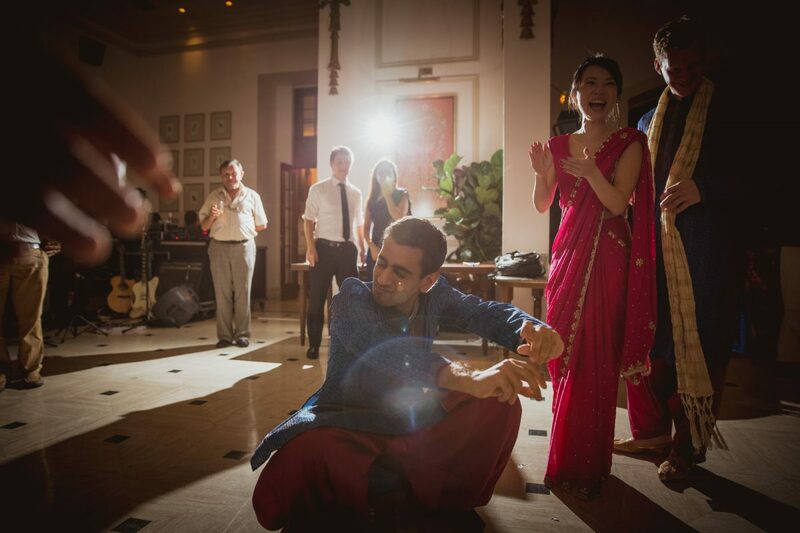 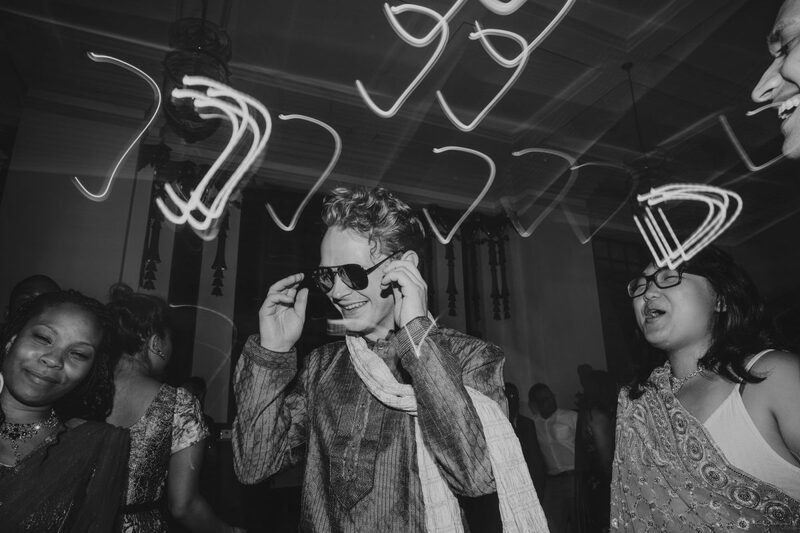 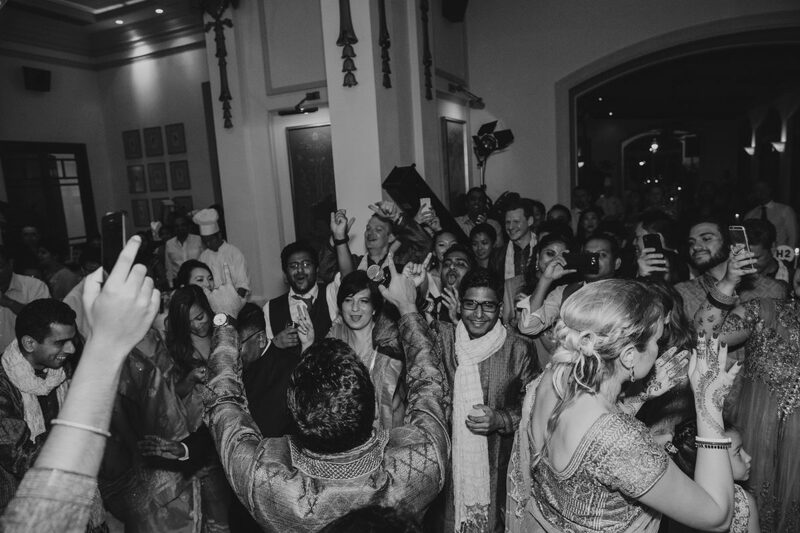 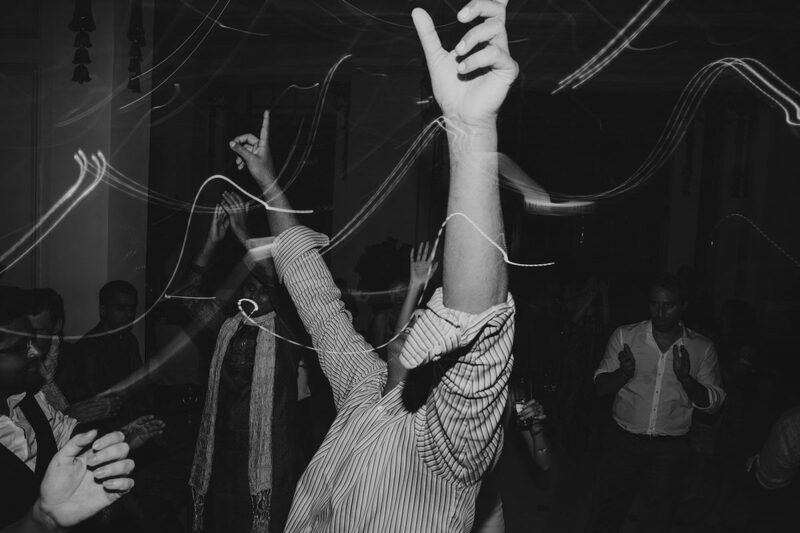 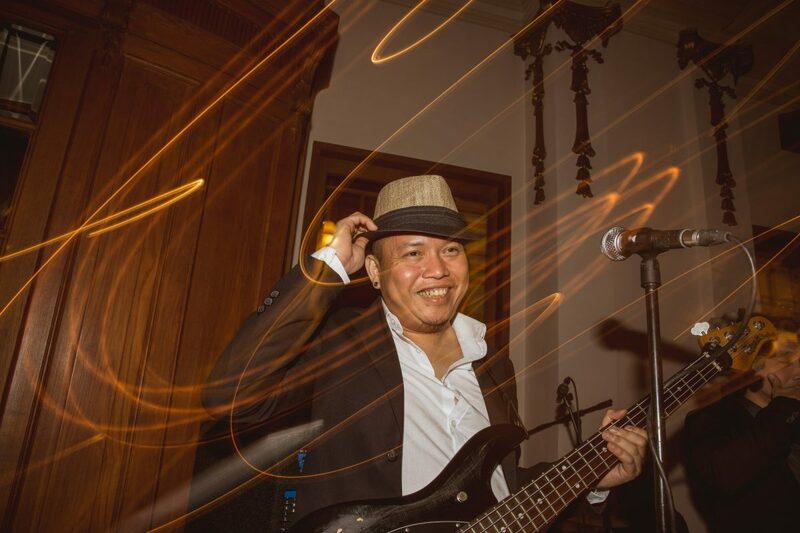 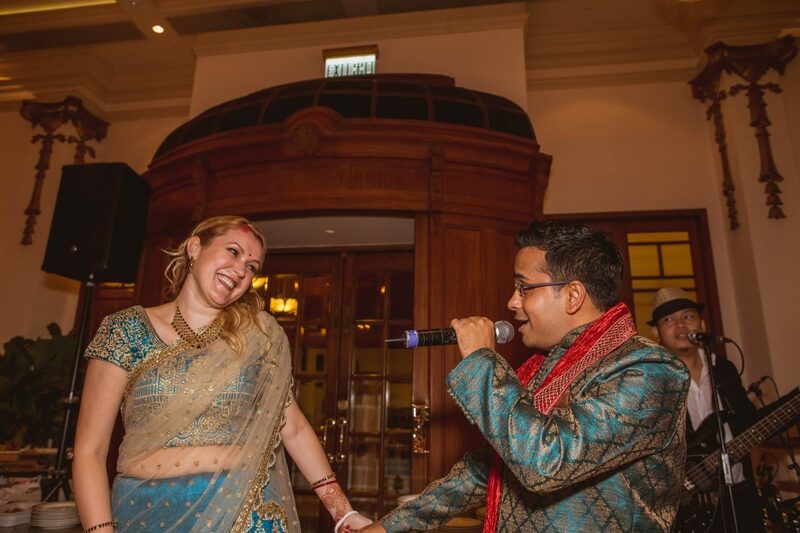 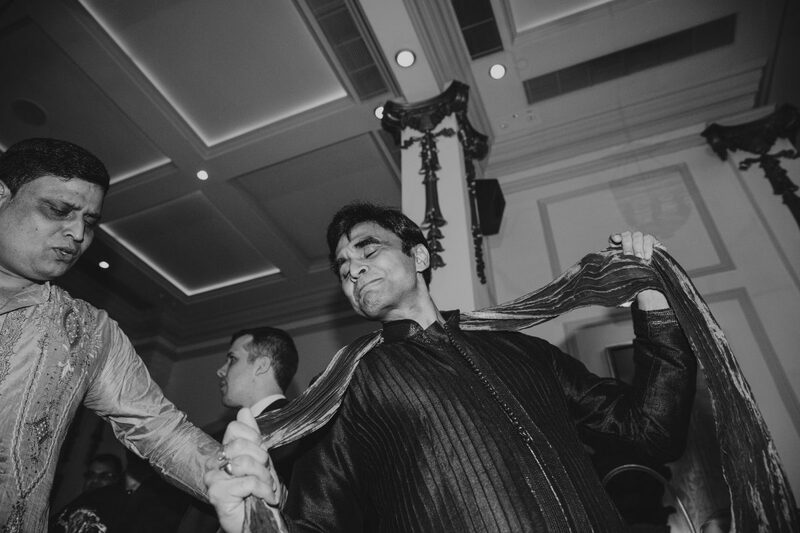 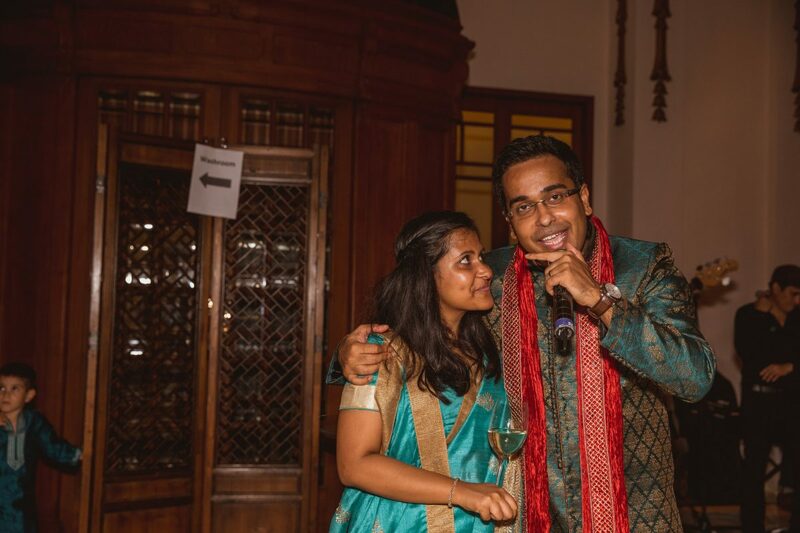 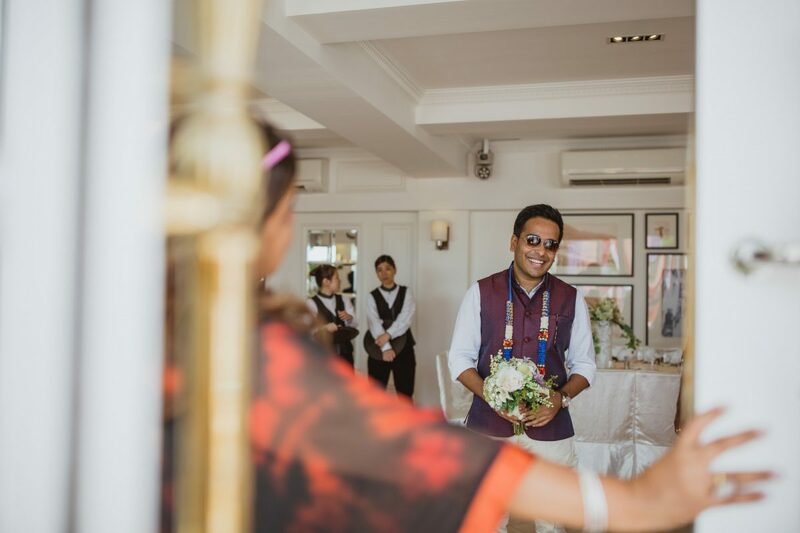 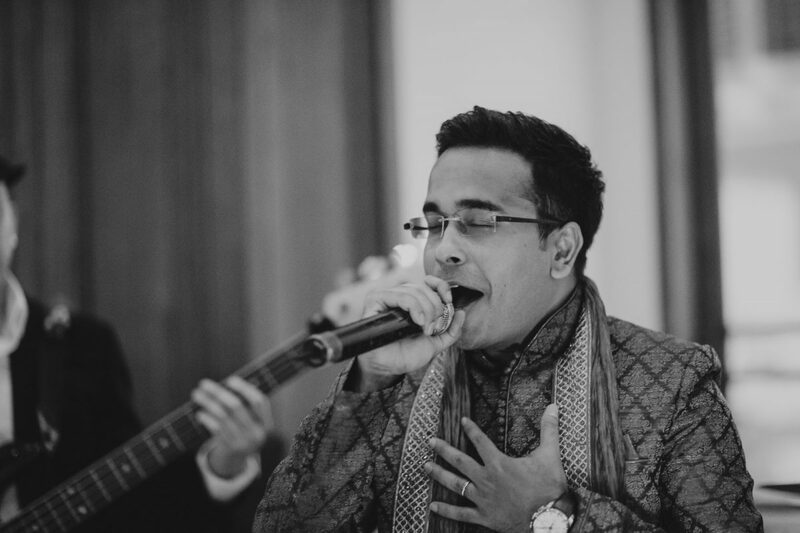 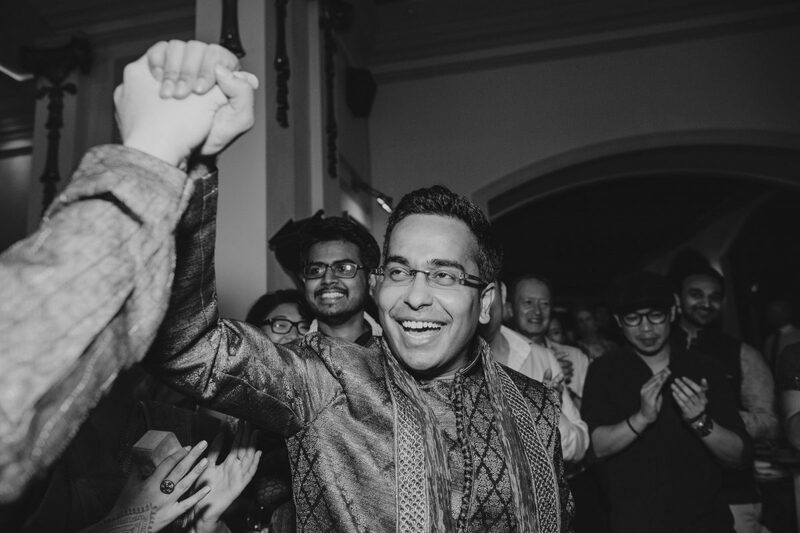 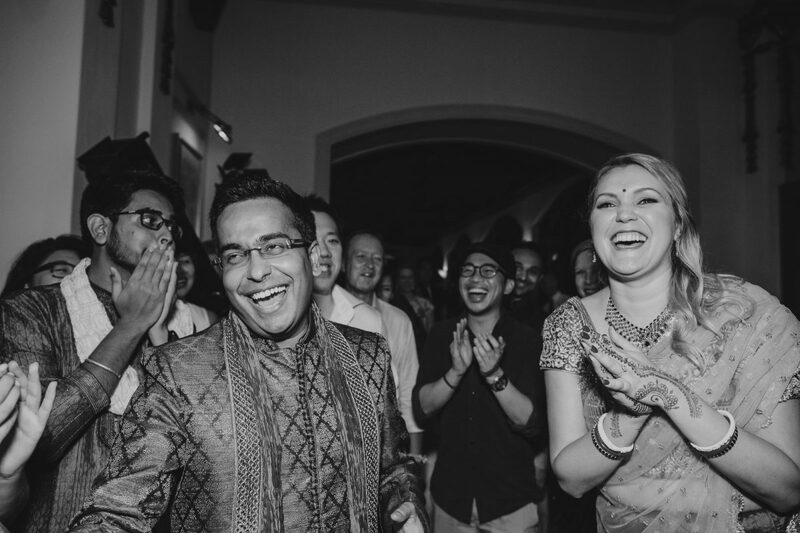 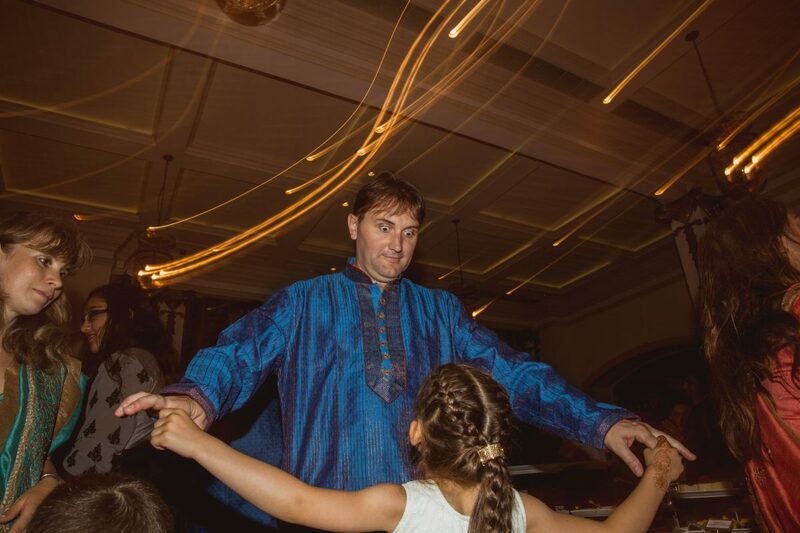 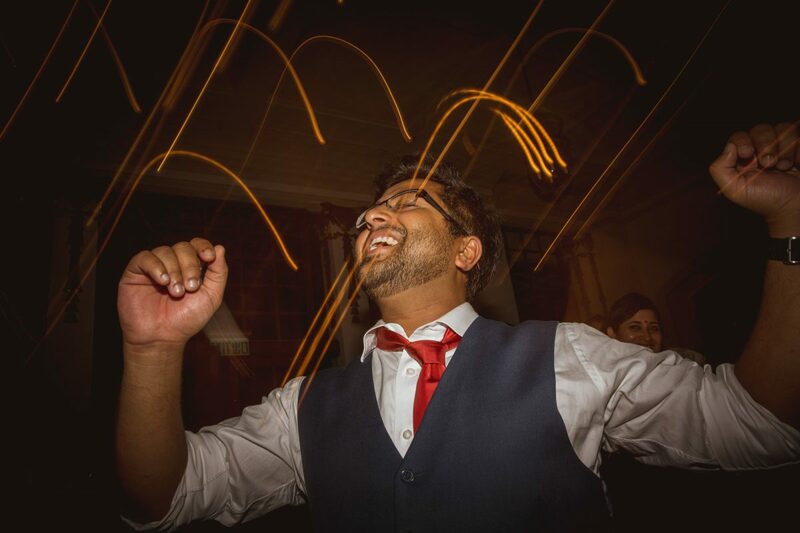 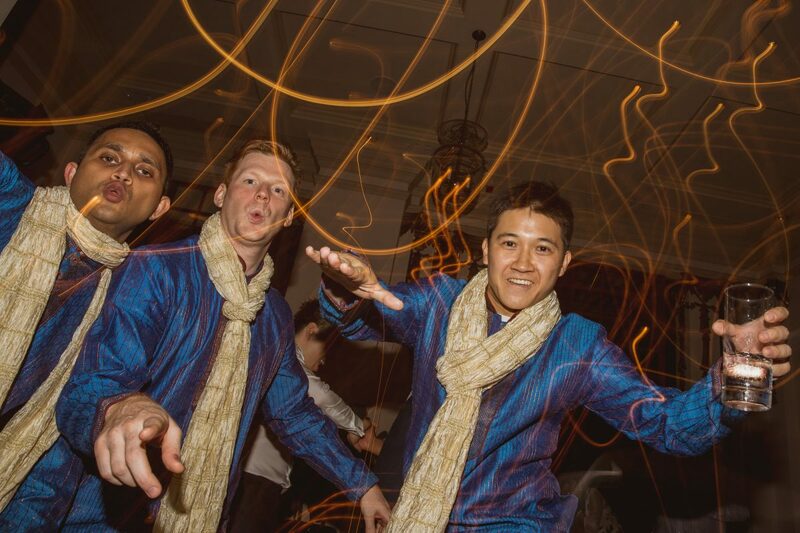 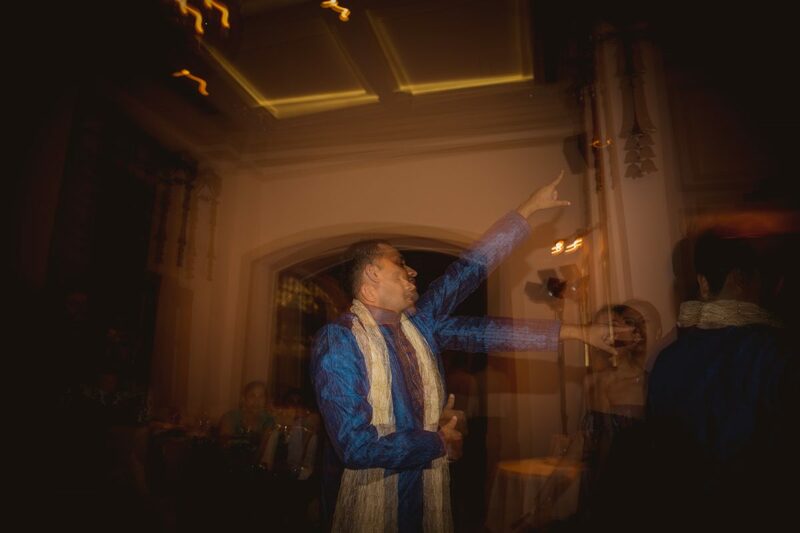 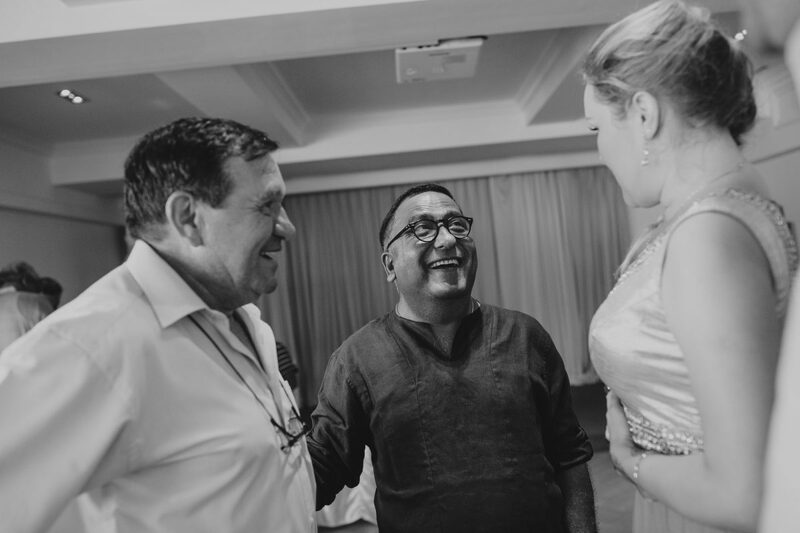 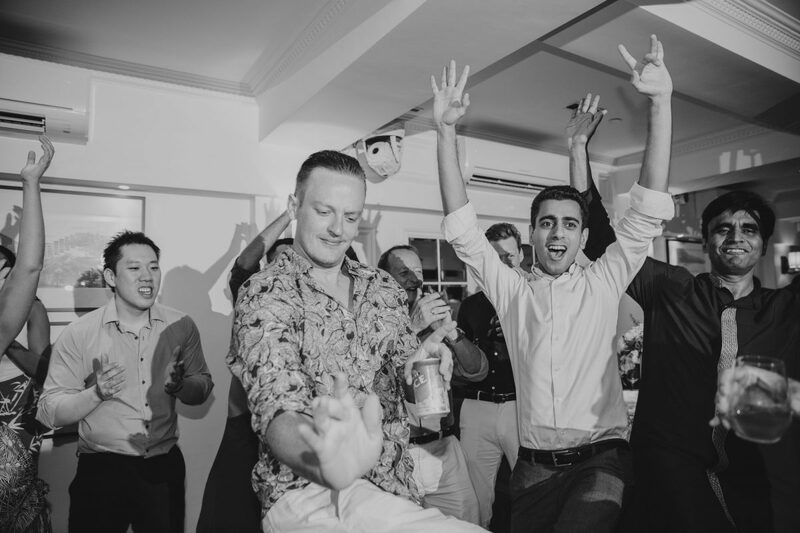 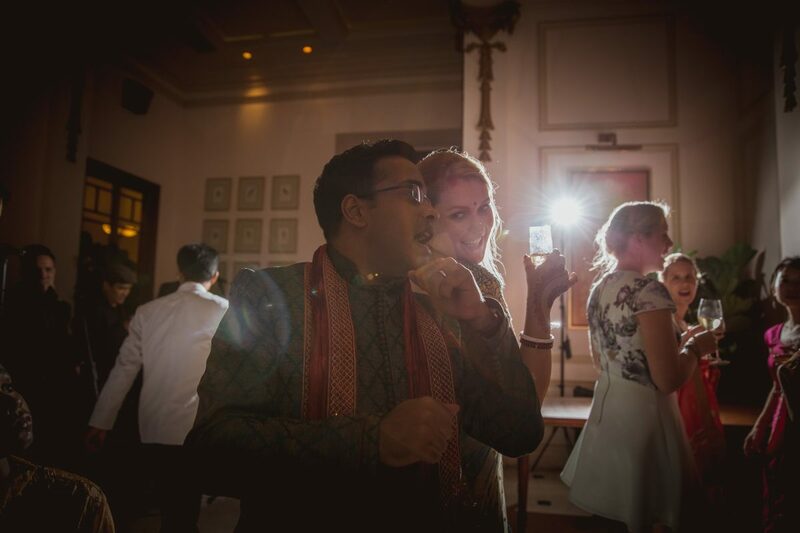 After the ceremony we headed inside for some excellent food and crazy dancing, kicked off by Raj with a little number on the mic – a man of many talents!